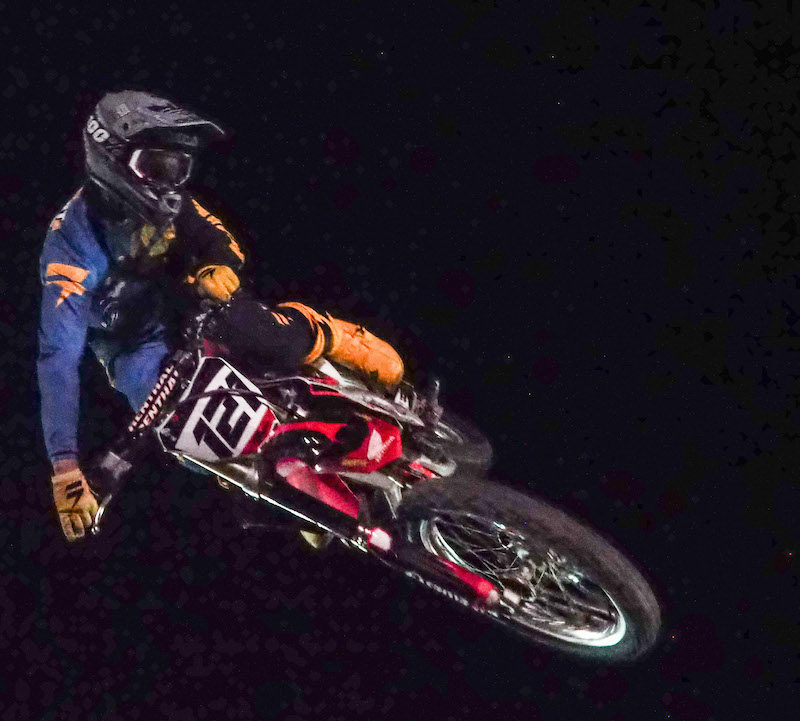 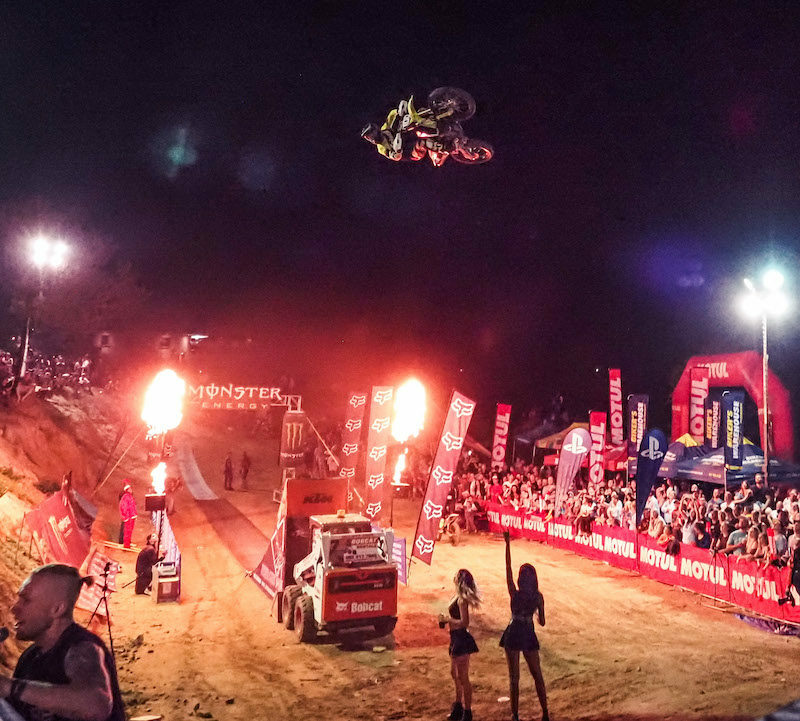 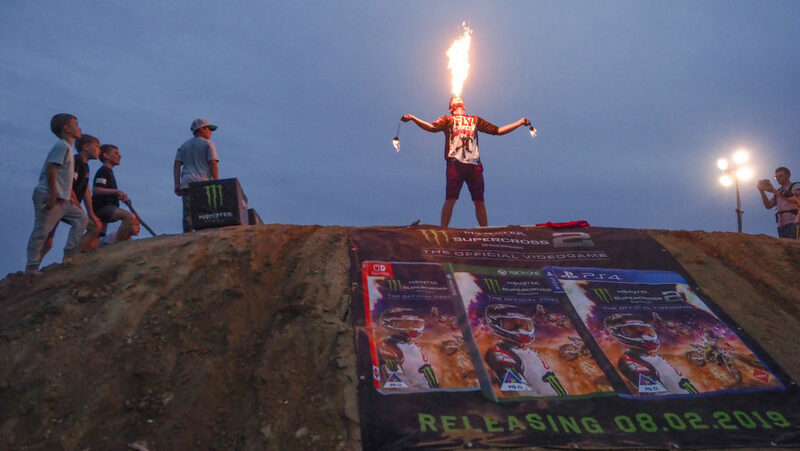 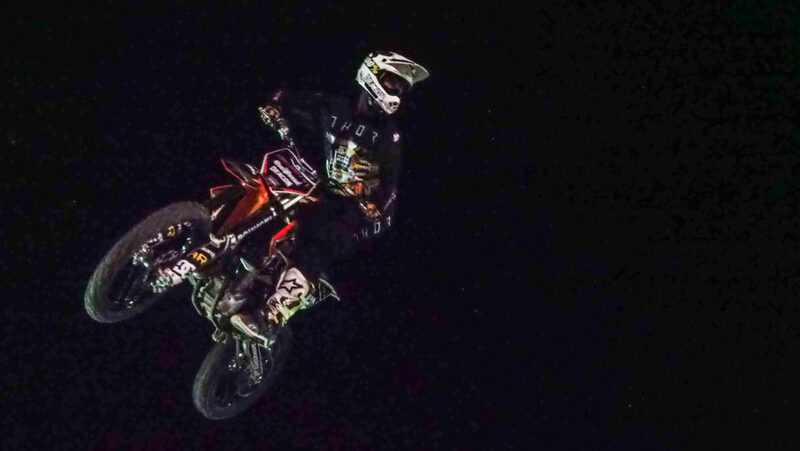 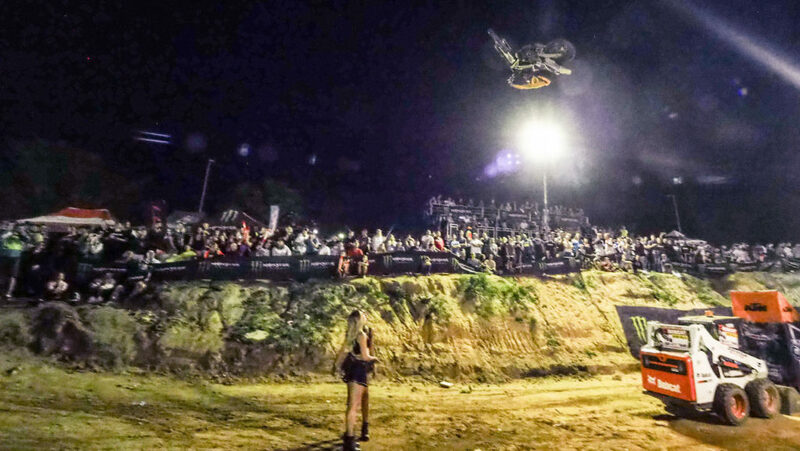 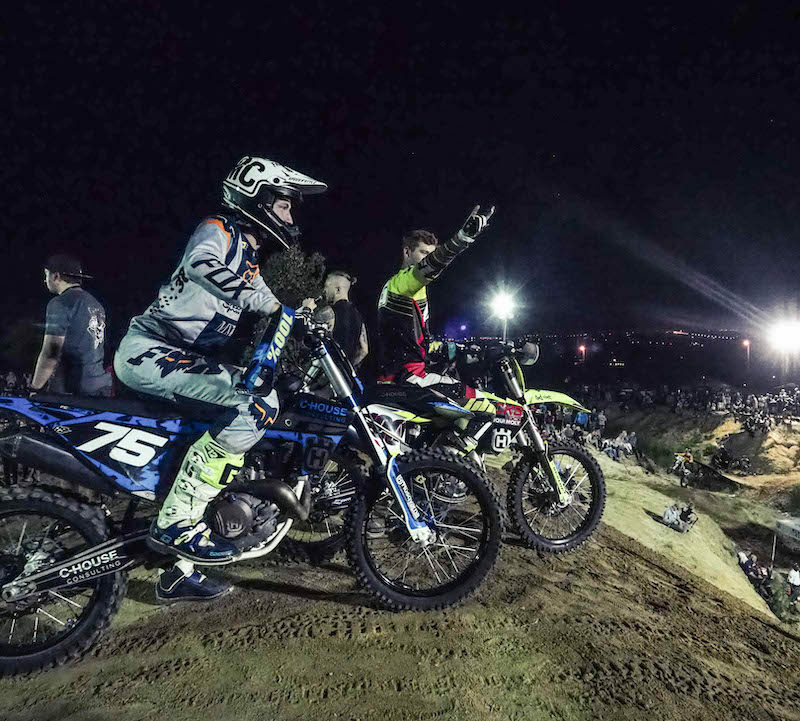 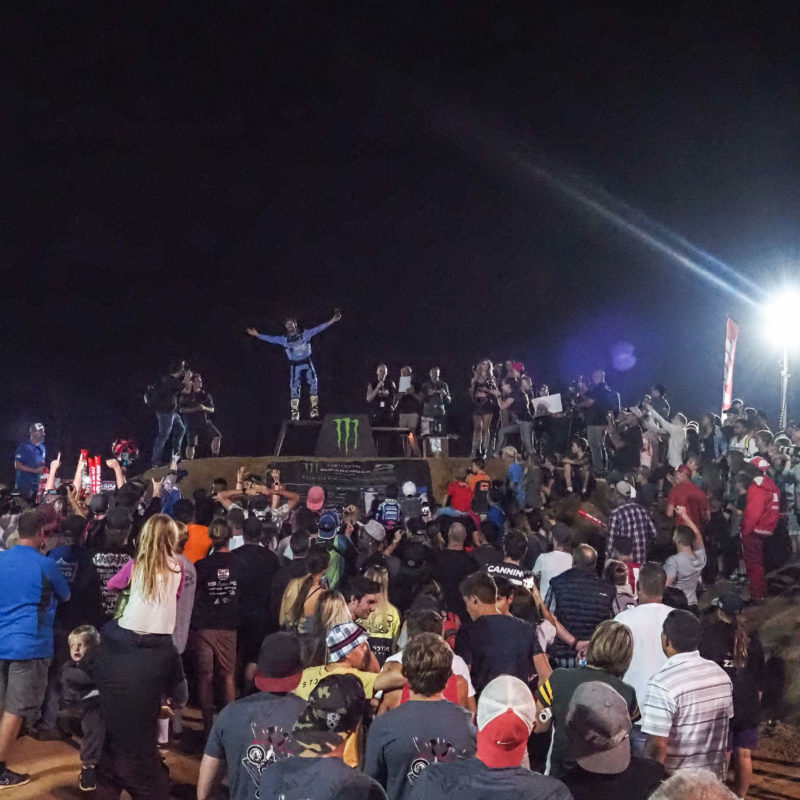 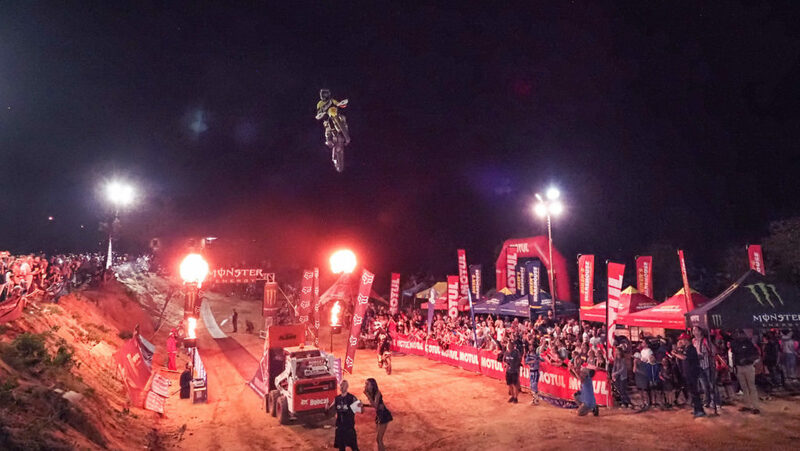 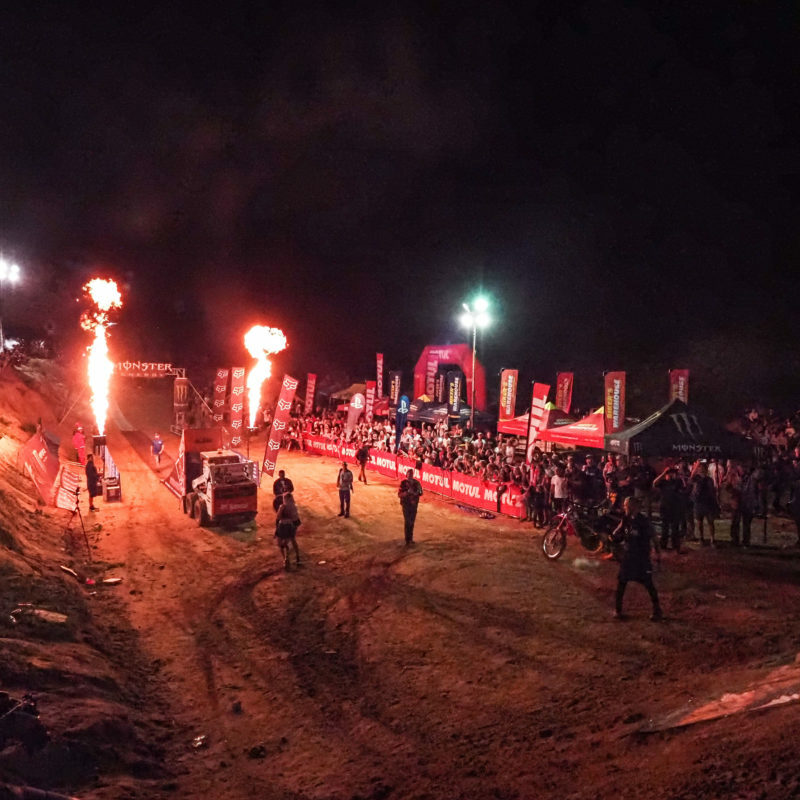 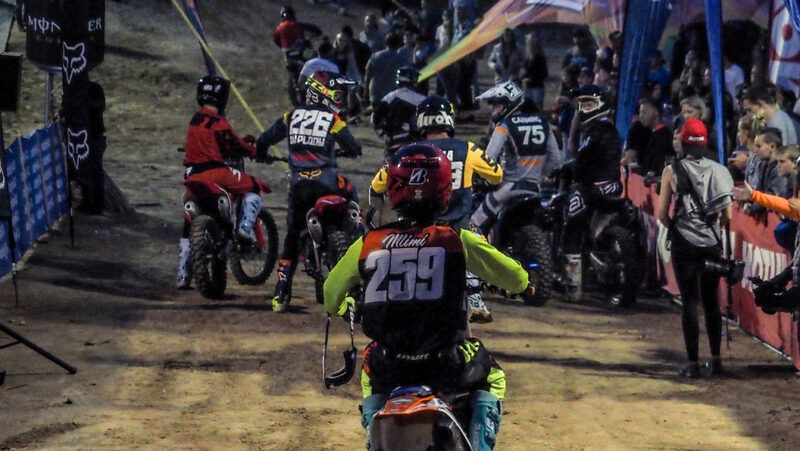 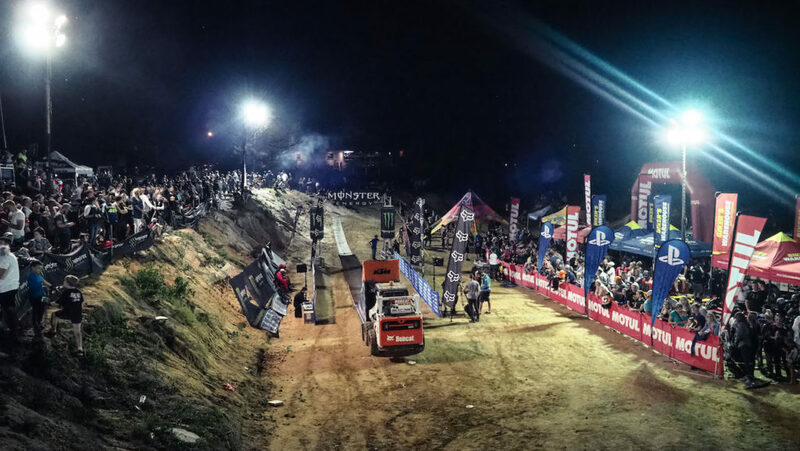 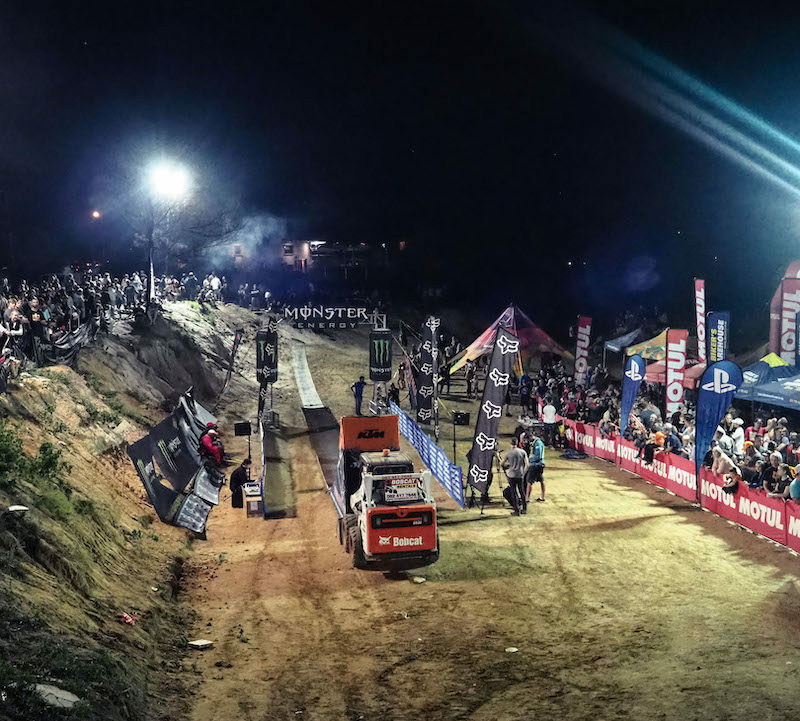 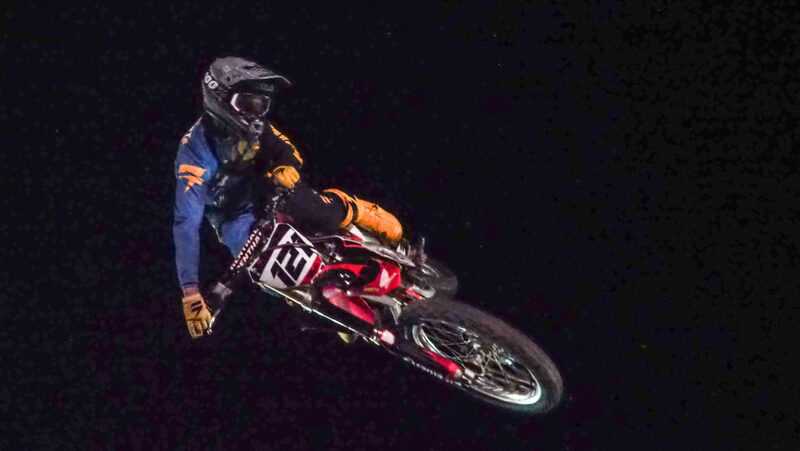 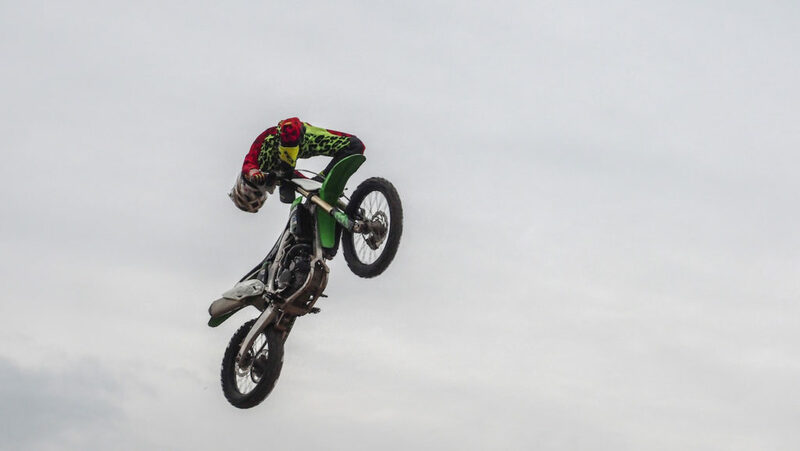 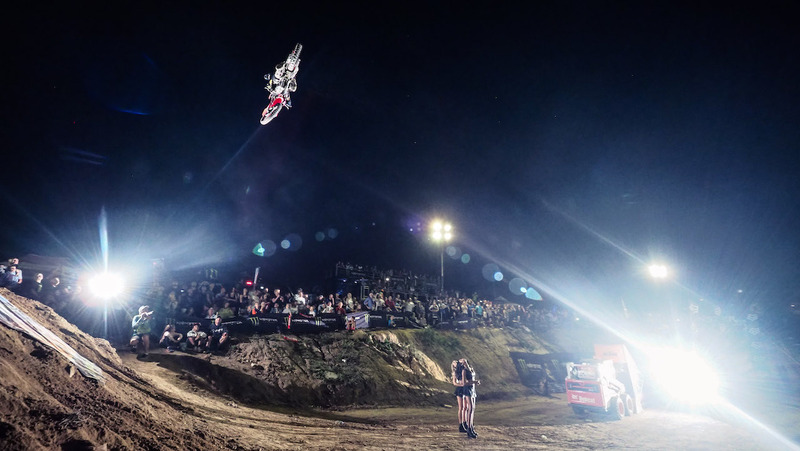 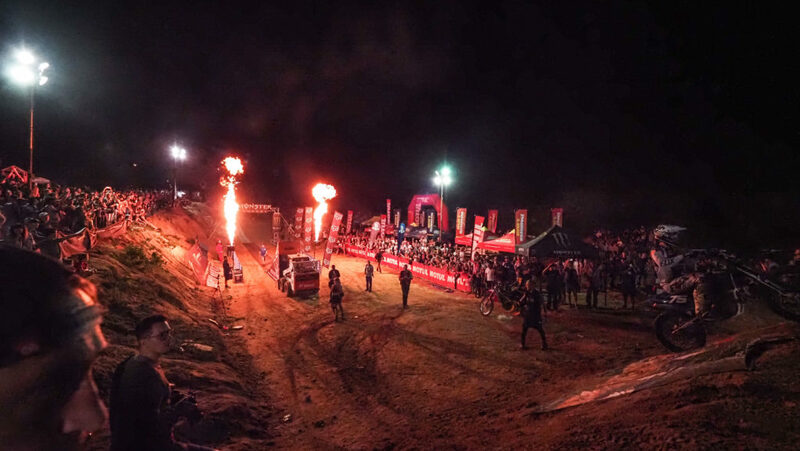 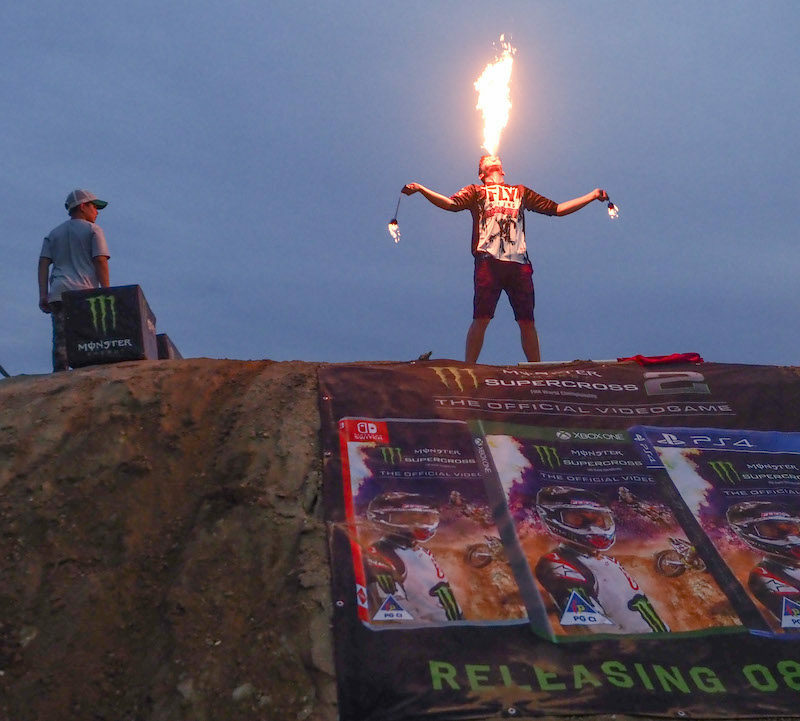 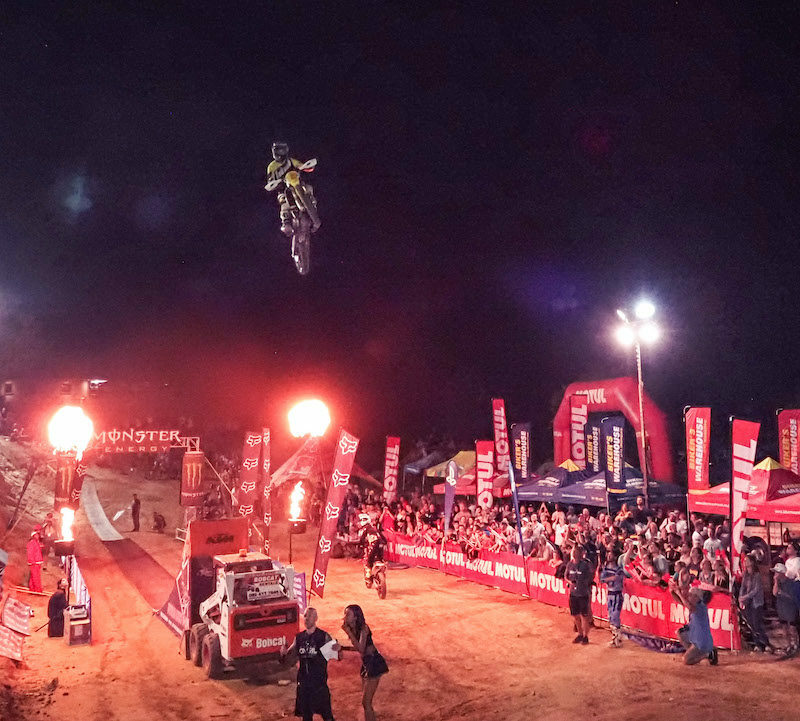 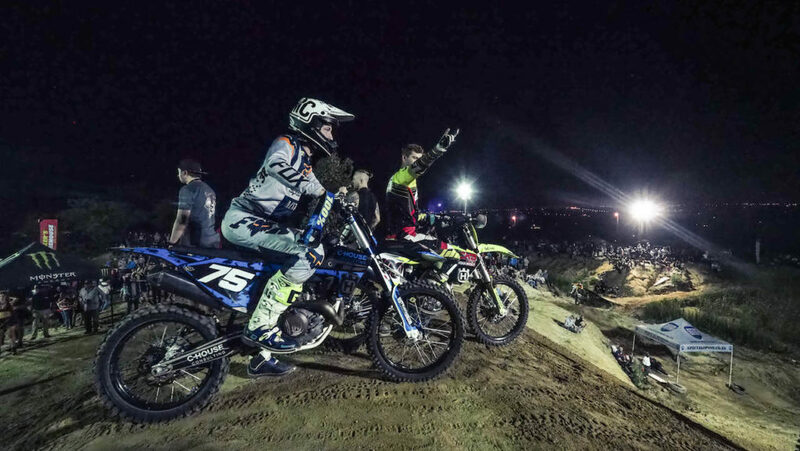 Saturday evening, 2 February 2019, has been embedded into the history books as one of the biggest nights in local Motocross and Freestyle Motocross history. 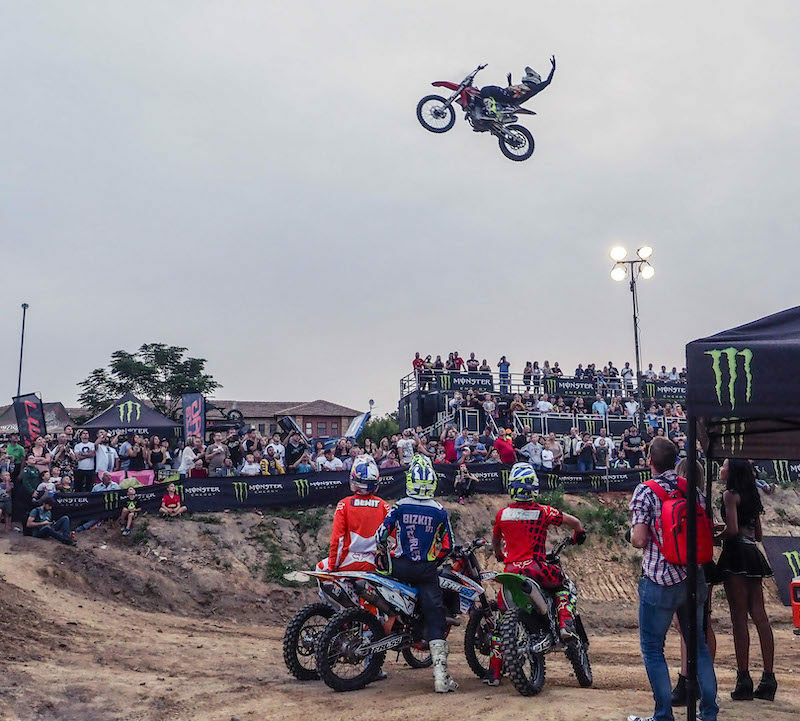 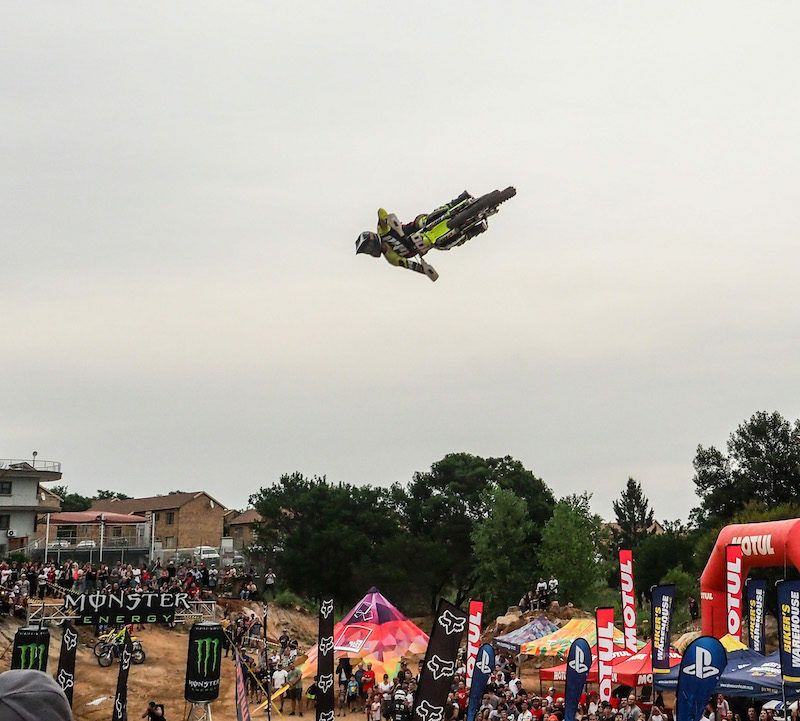 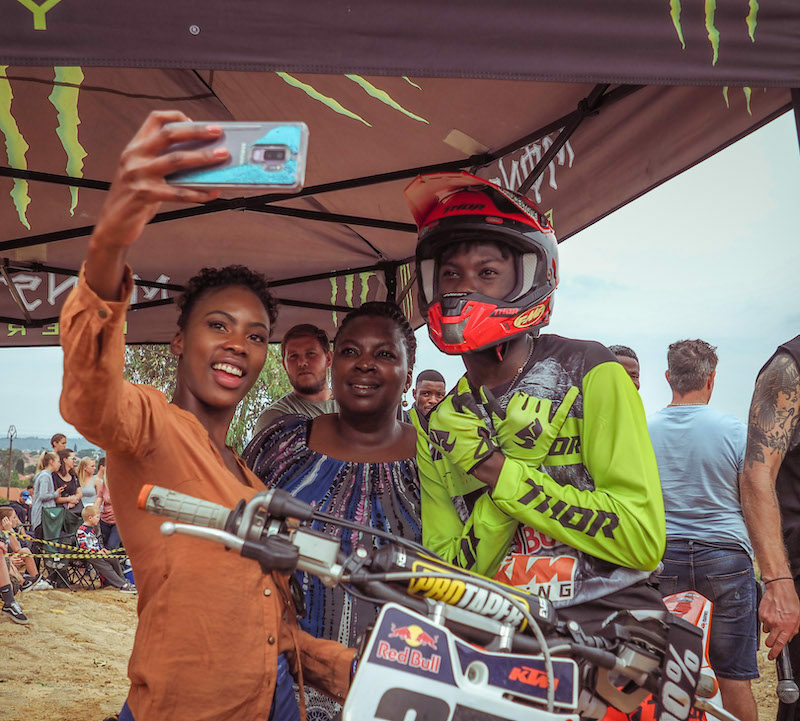 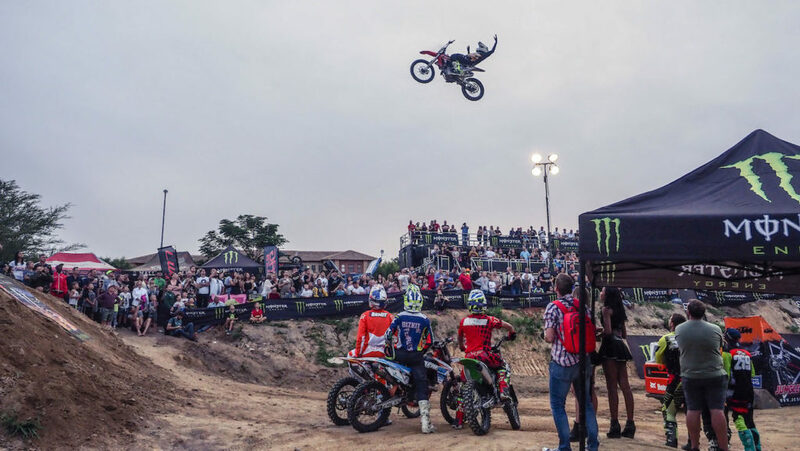 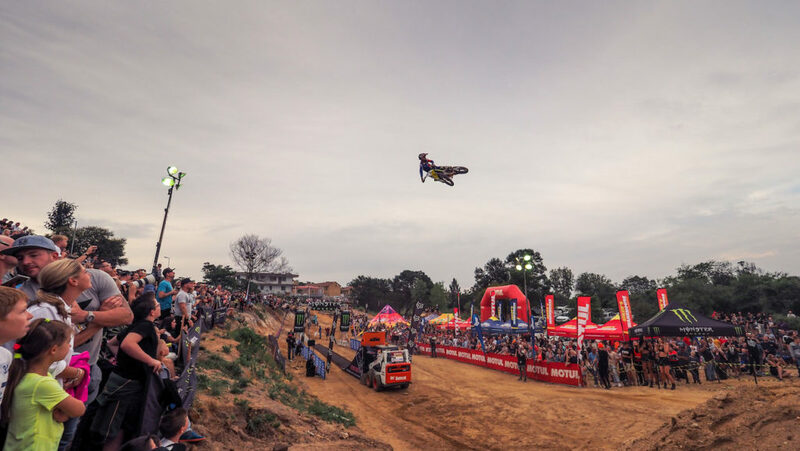 The King of the Whip event, presented by LW Mag and Monster Energy in association with Motul, PlayStation, Monster Energy Supercross the Game 2 and Fox Racing, took at Biker’s Warehouse in Northriding, Johannesburg. 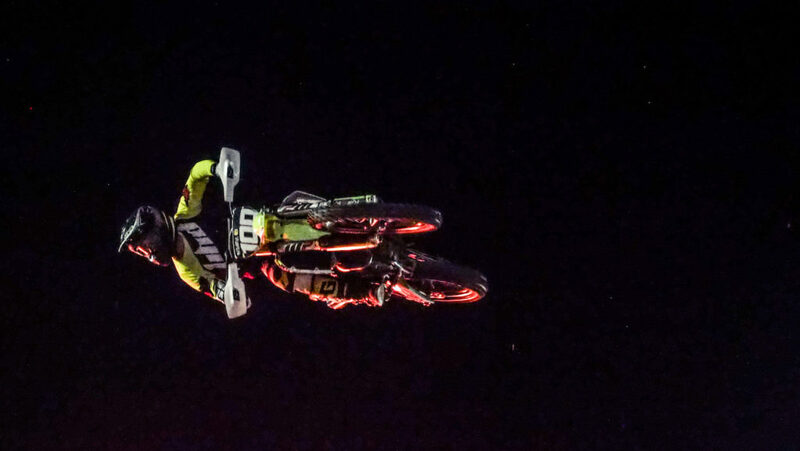 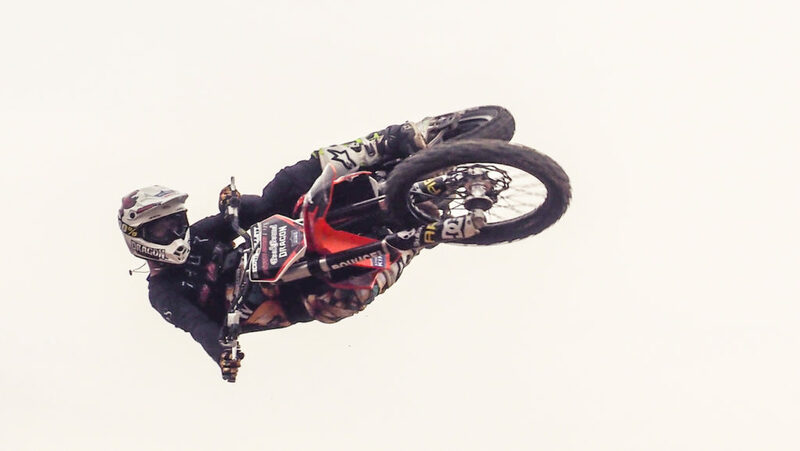 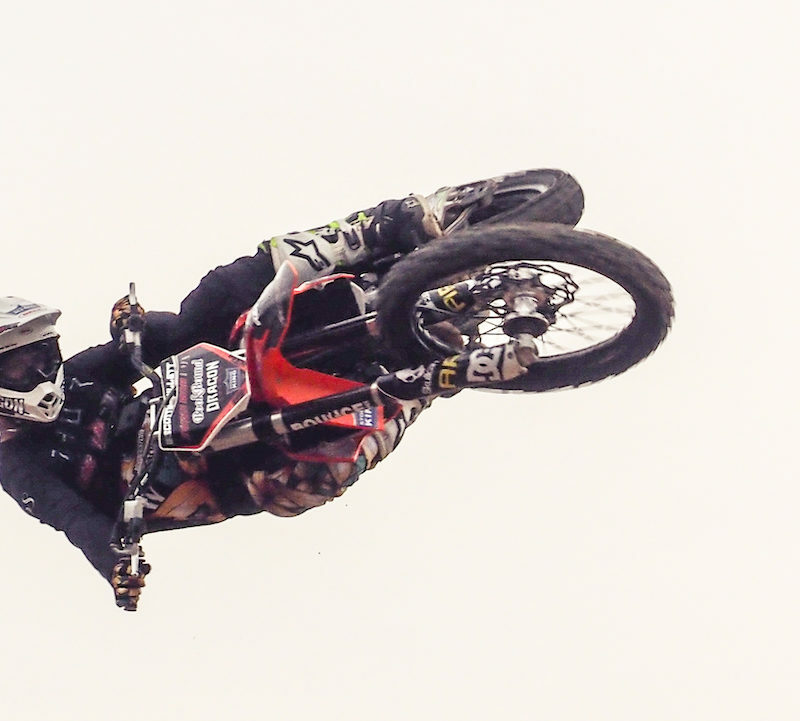 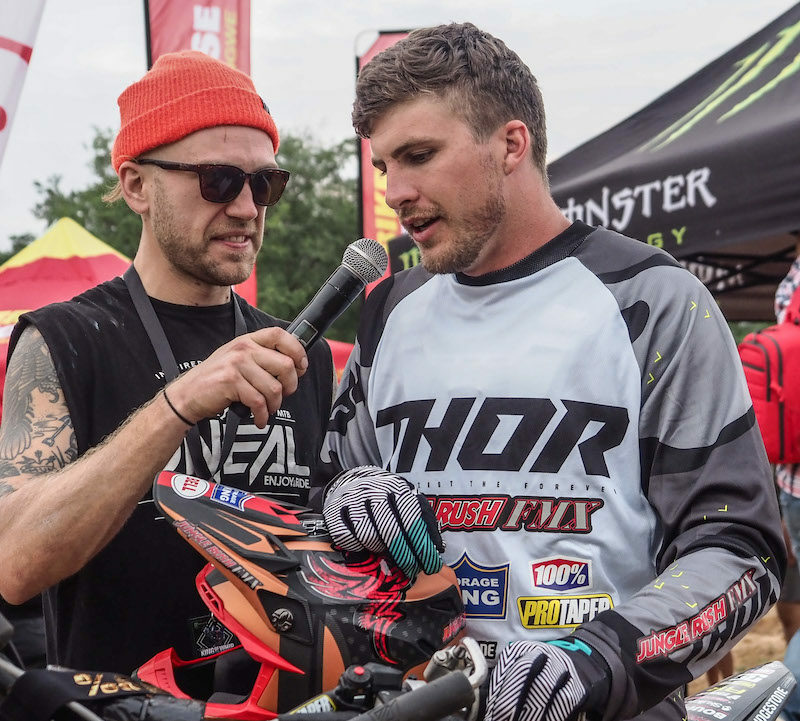 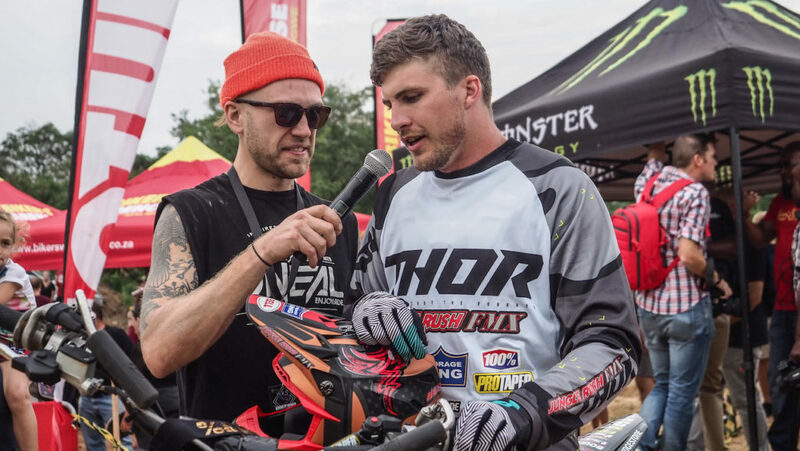 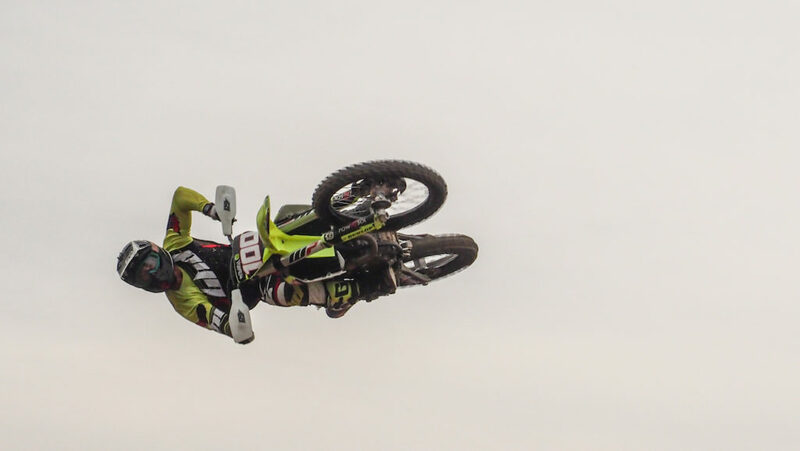 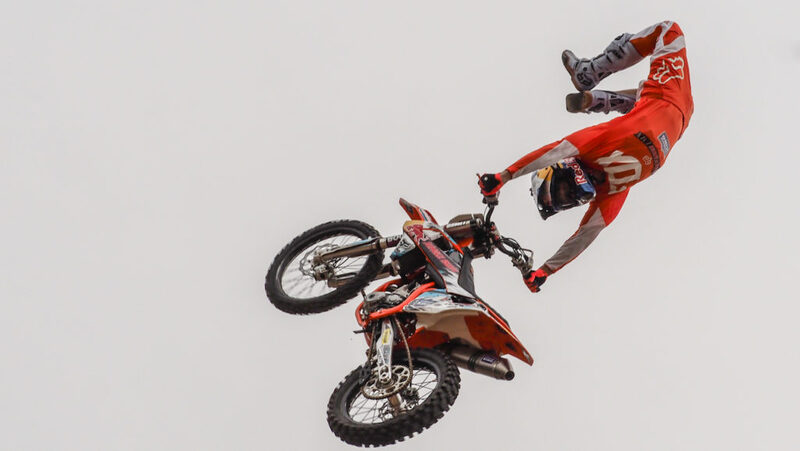 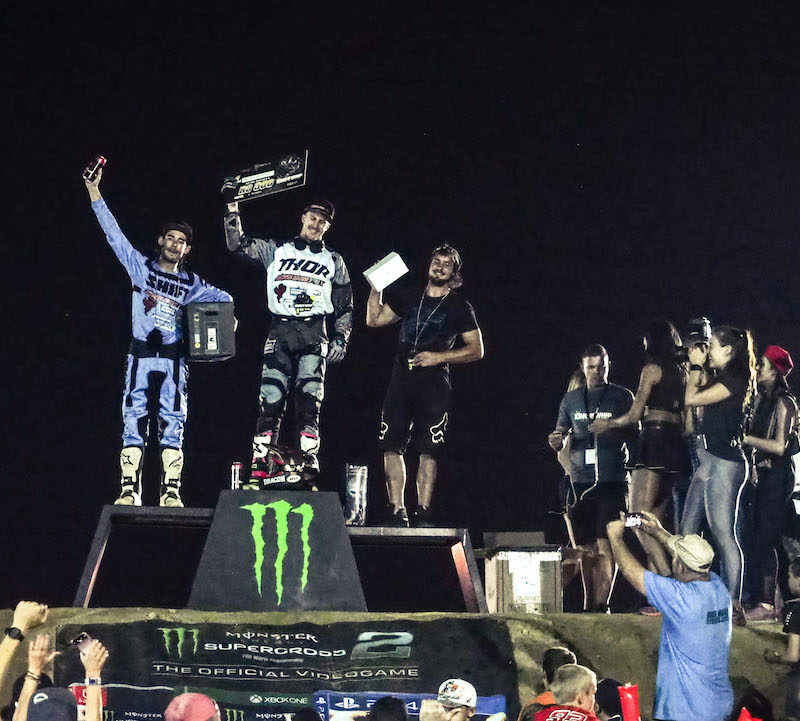 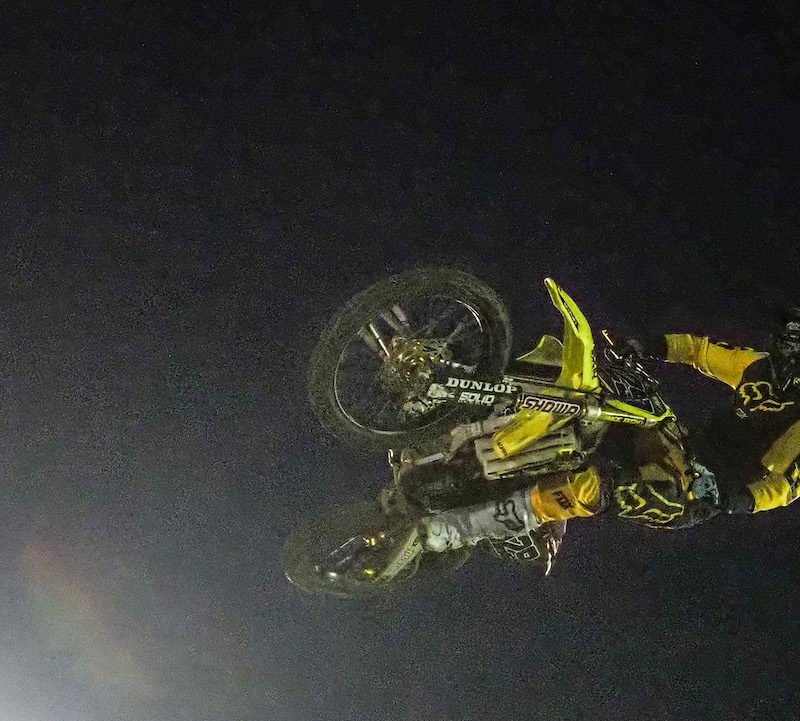 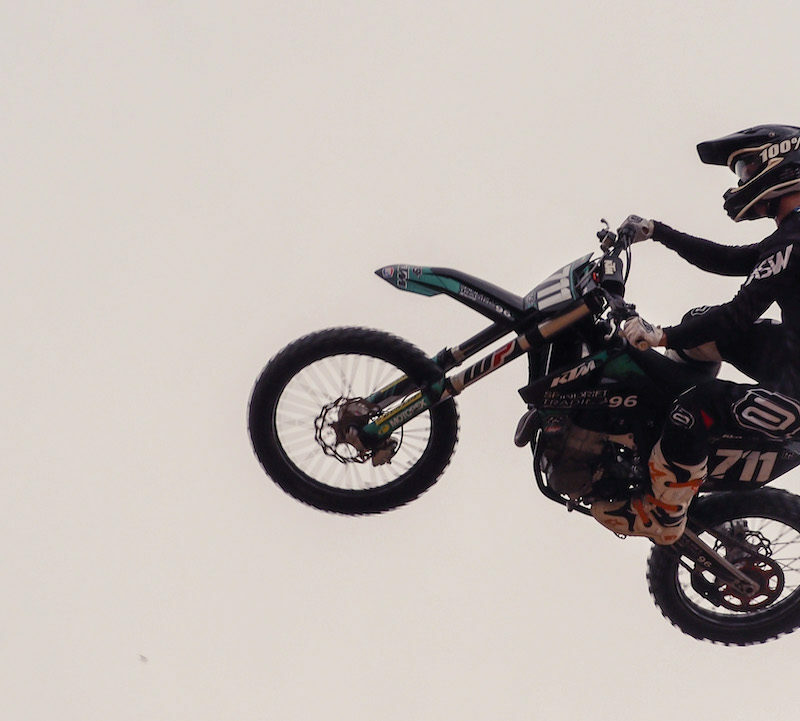 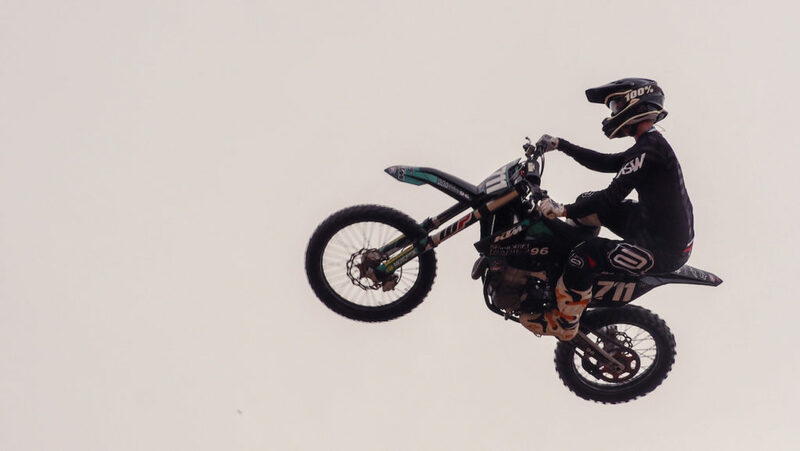 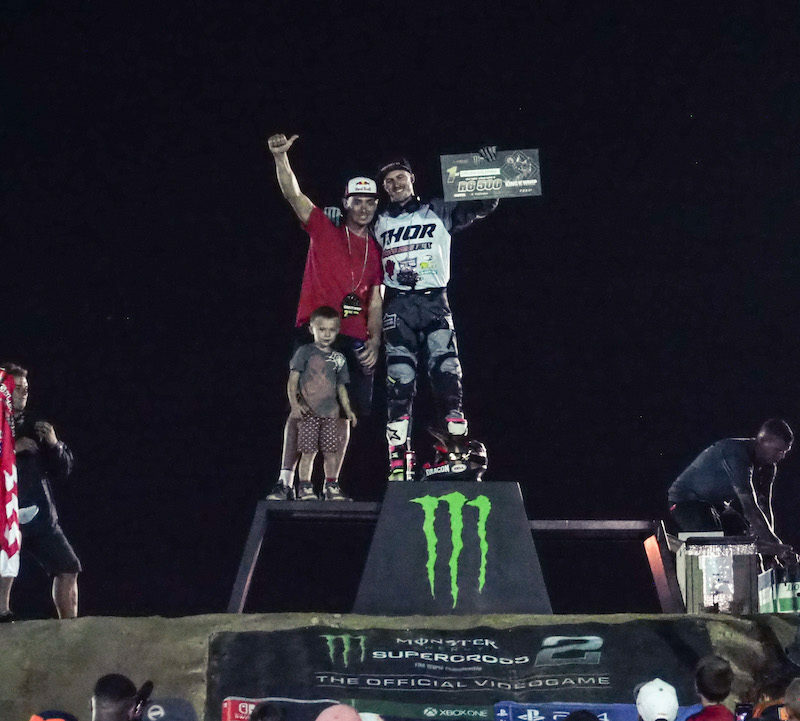 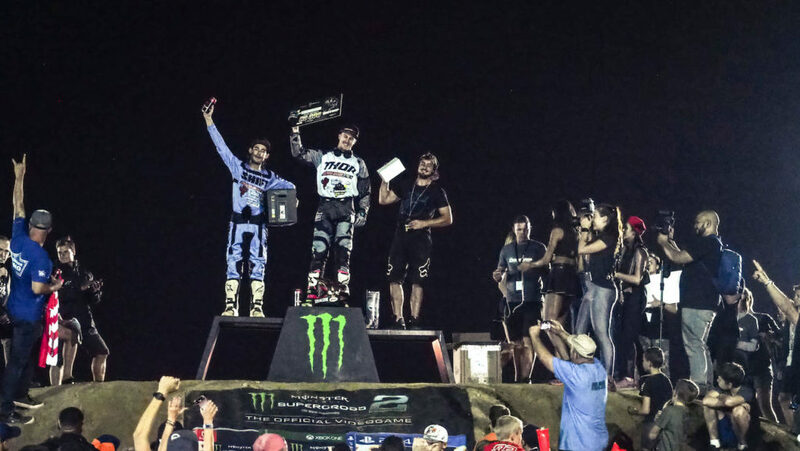 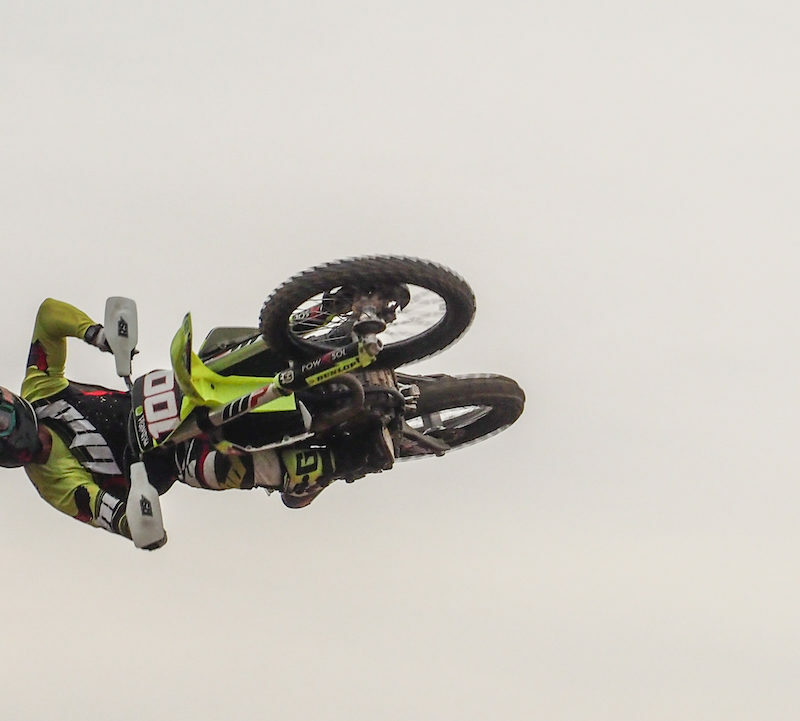 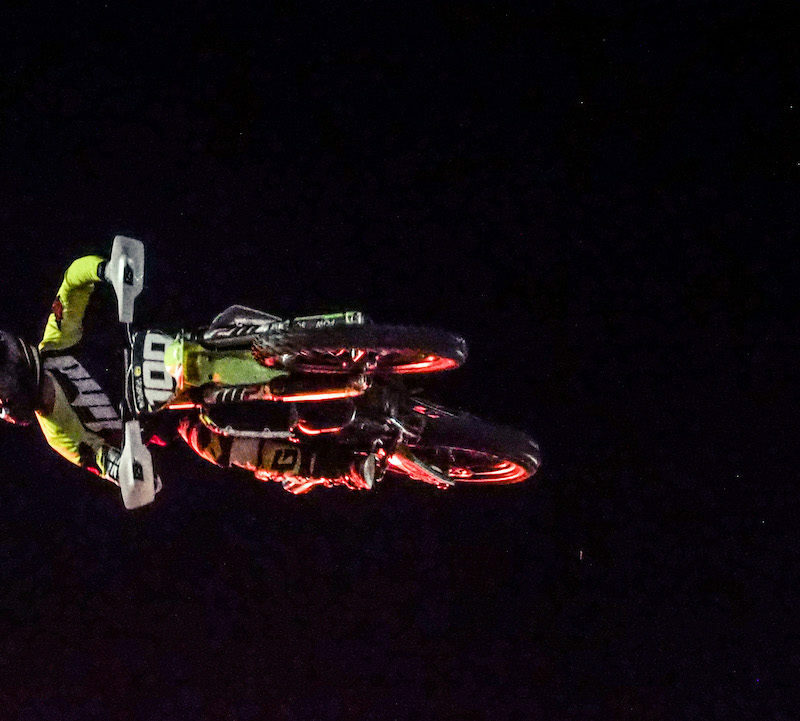 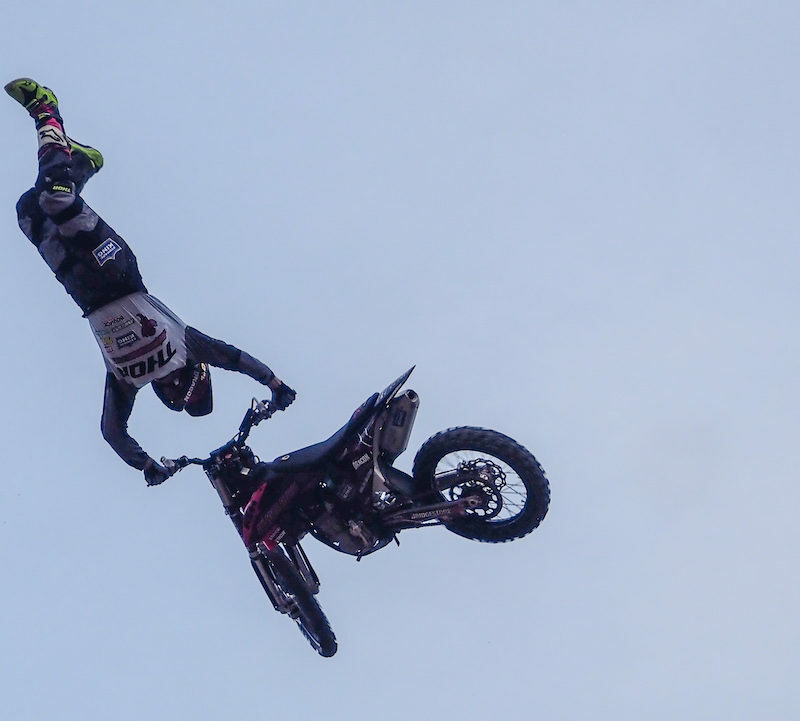 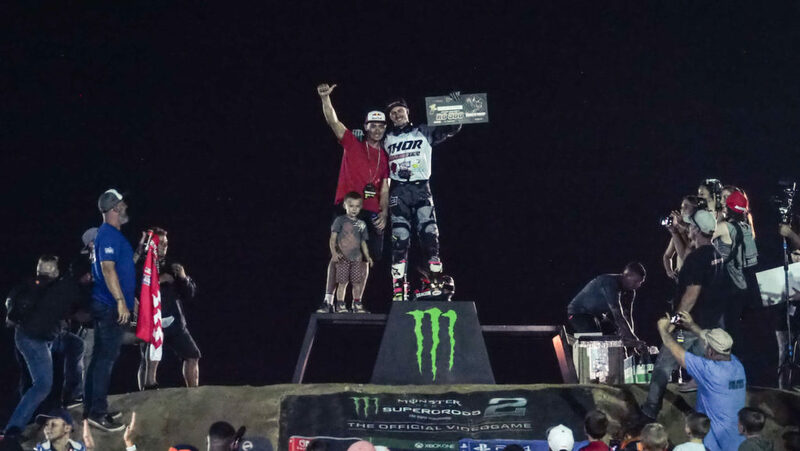 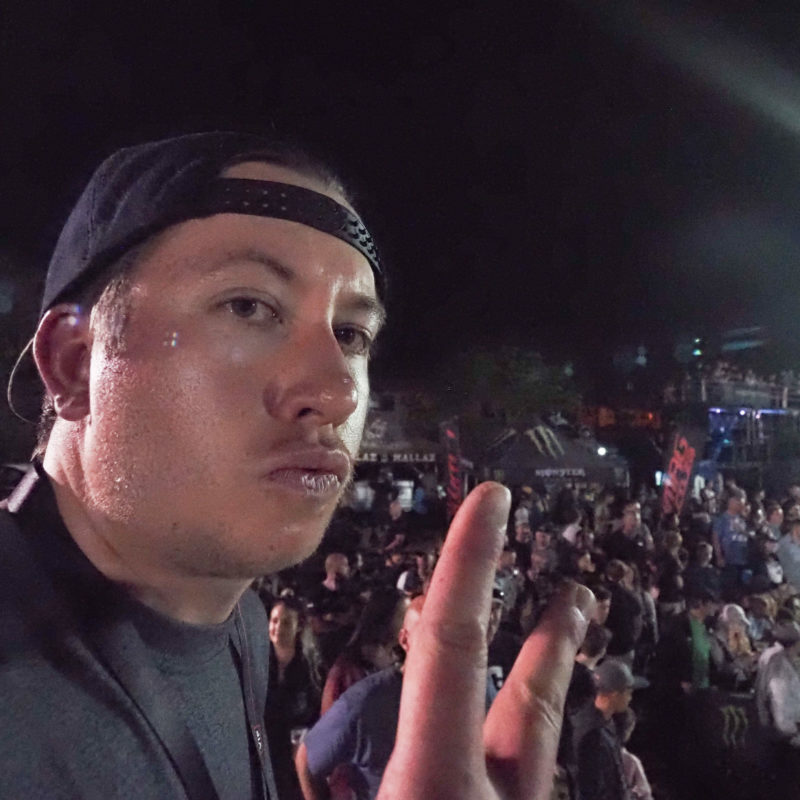 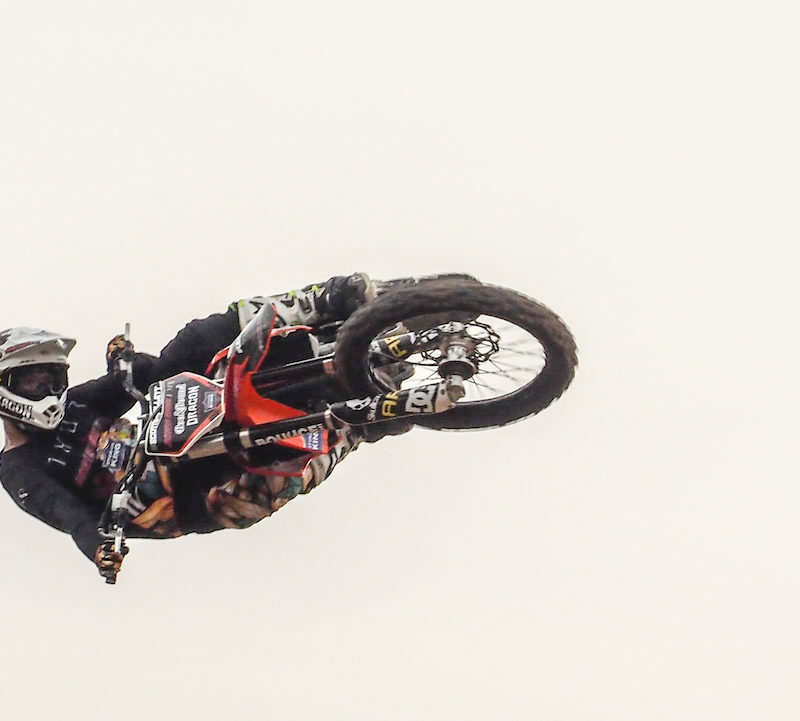 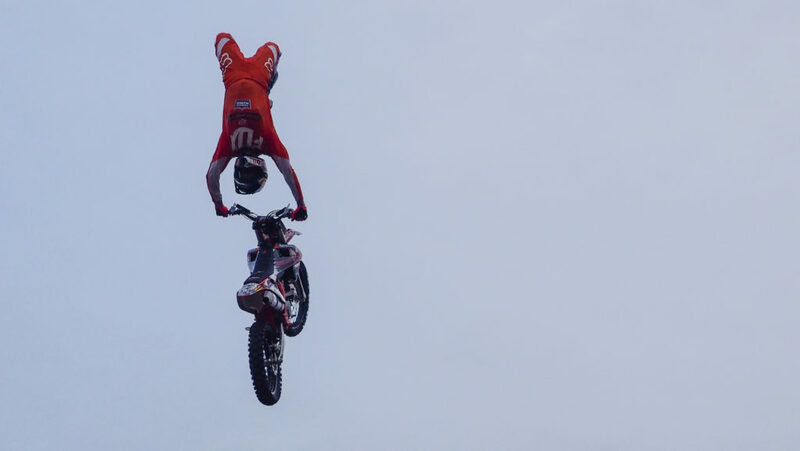 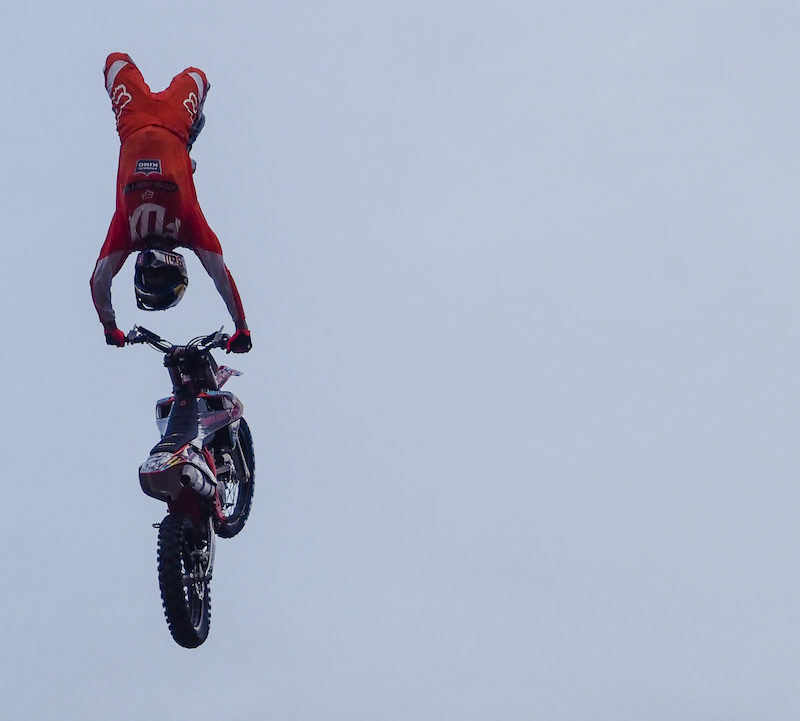 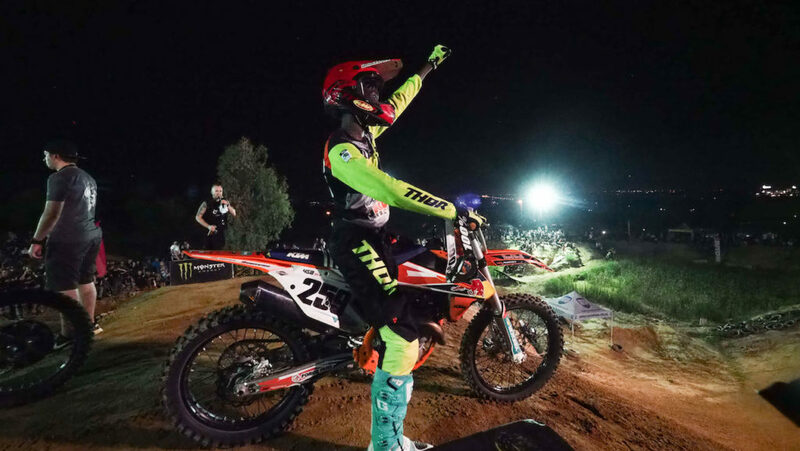 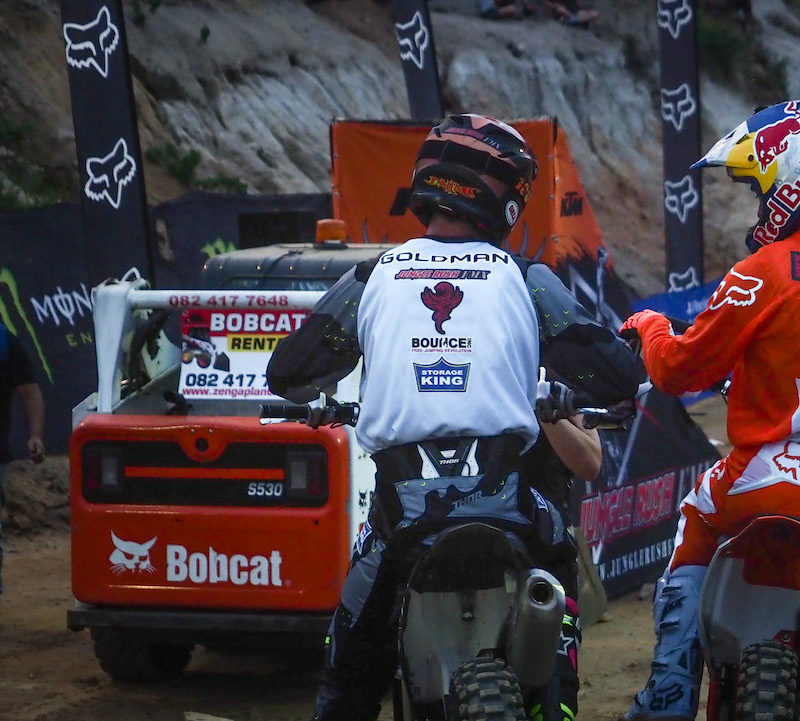 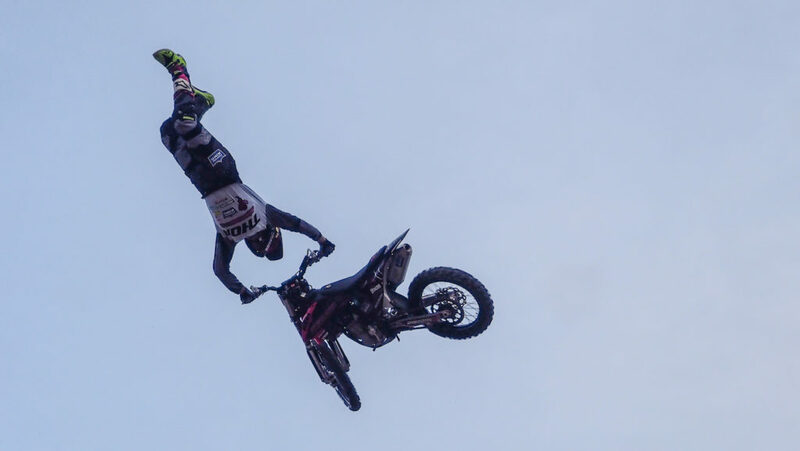 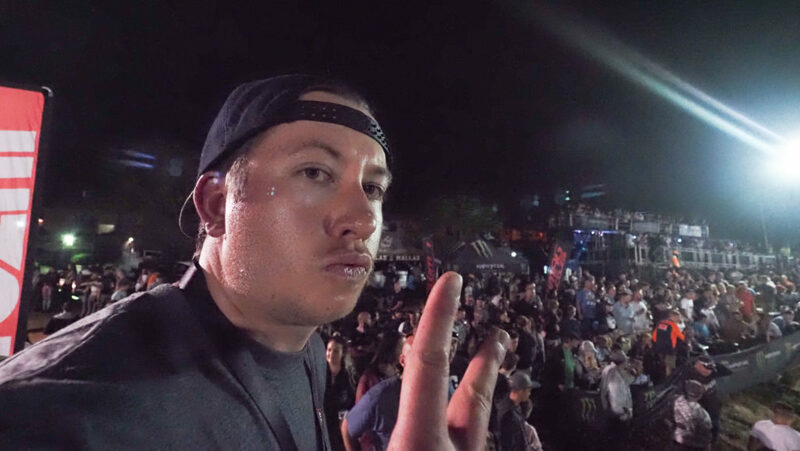 Dallan Goldman claimed the newly added FMX Best Trick categories, while Scott Billet laid claim to the crown and won the premier King of the Whip Best Whip contest. 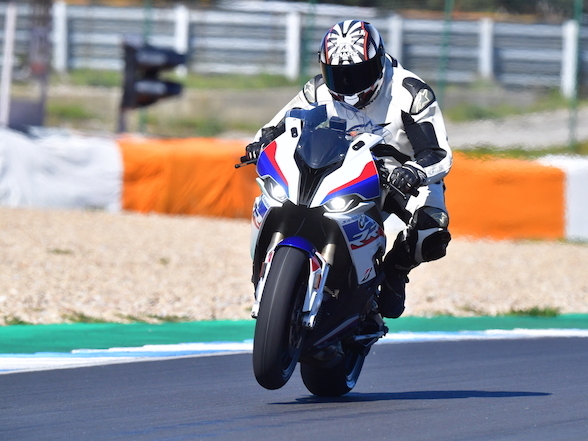 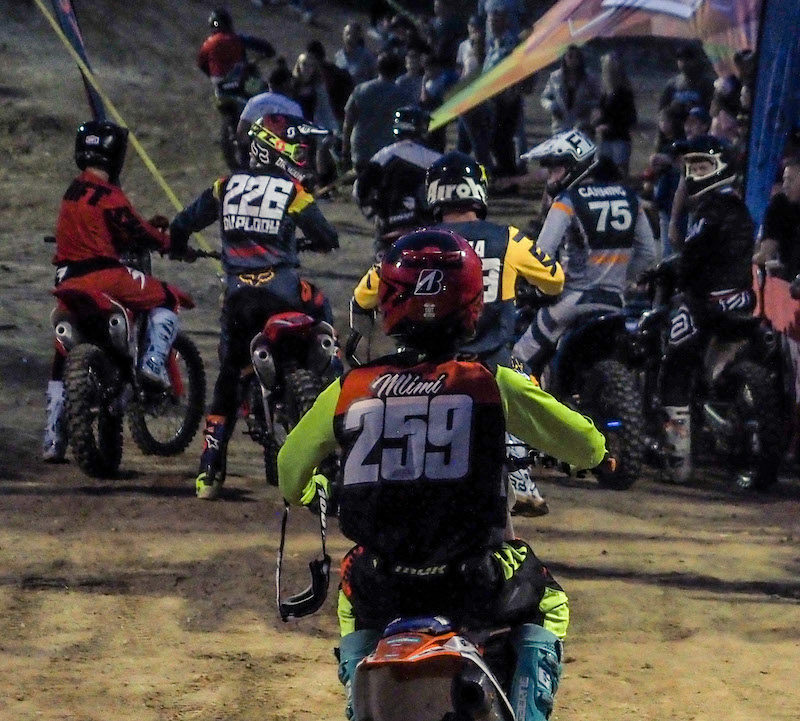 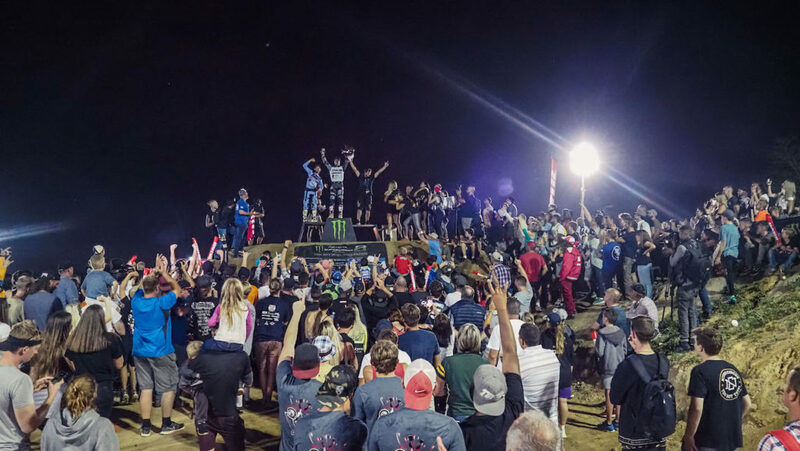 22 of the country’s top riders battled it out head-to-head in front of thousands for the three titles up for grabs. 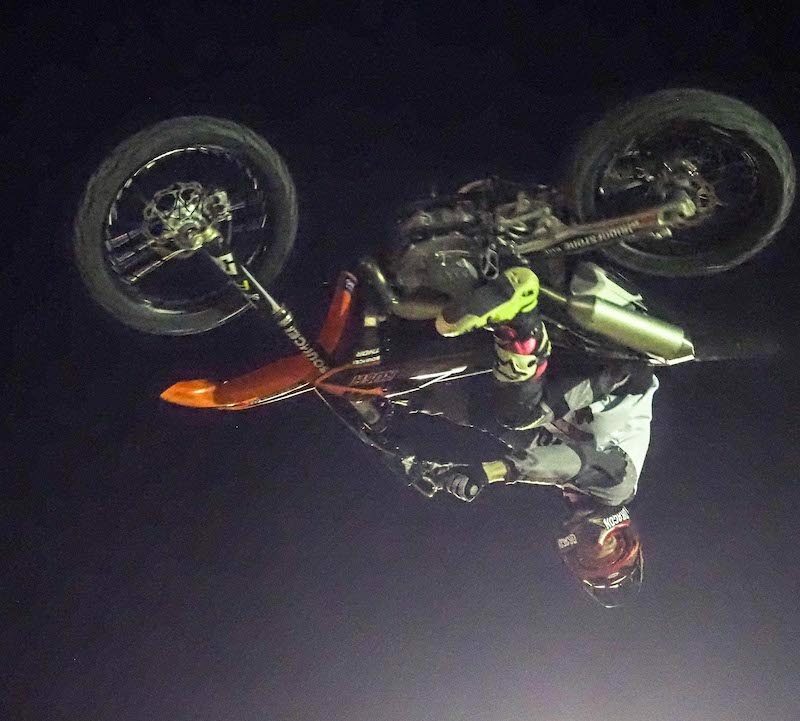 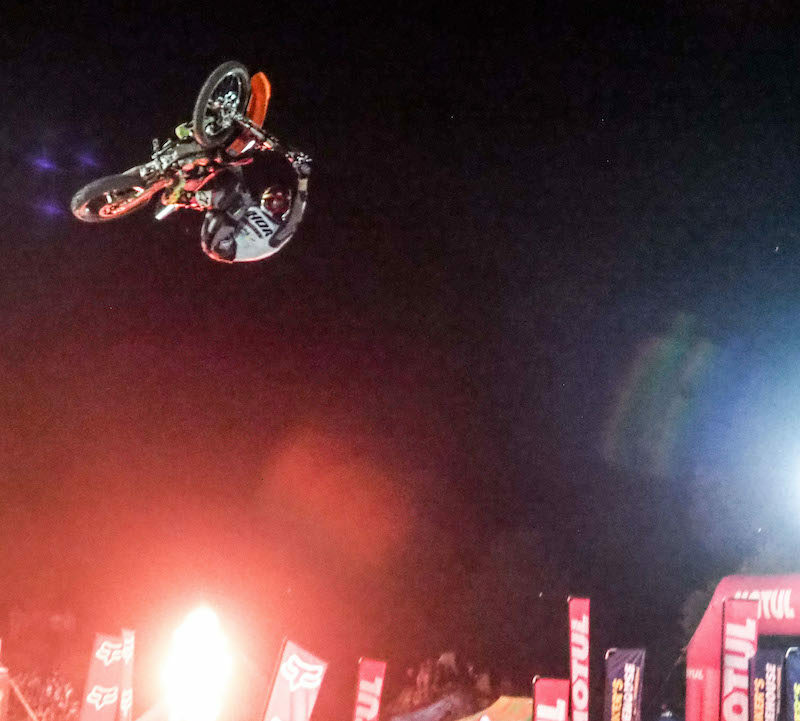 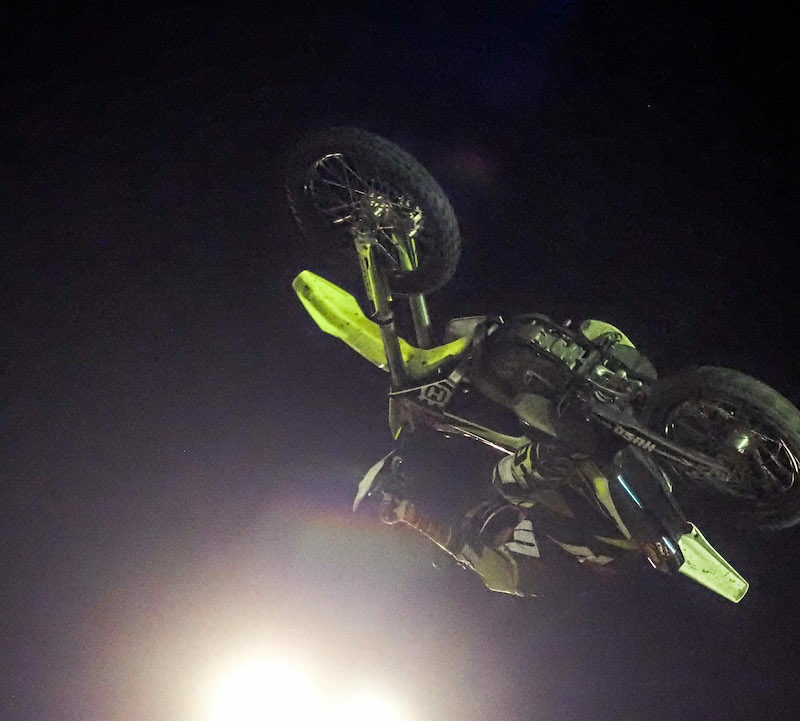 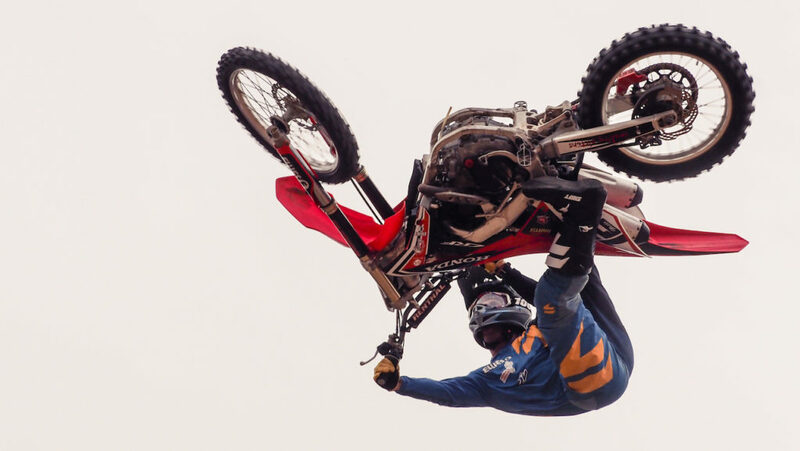 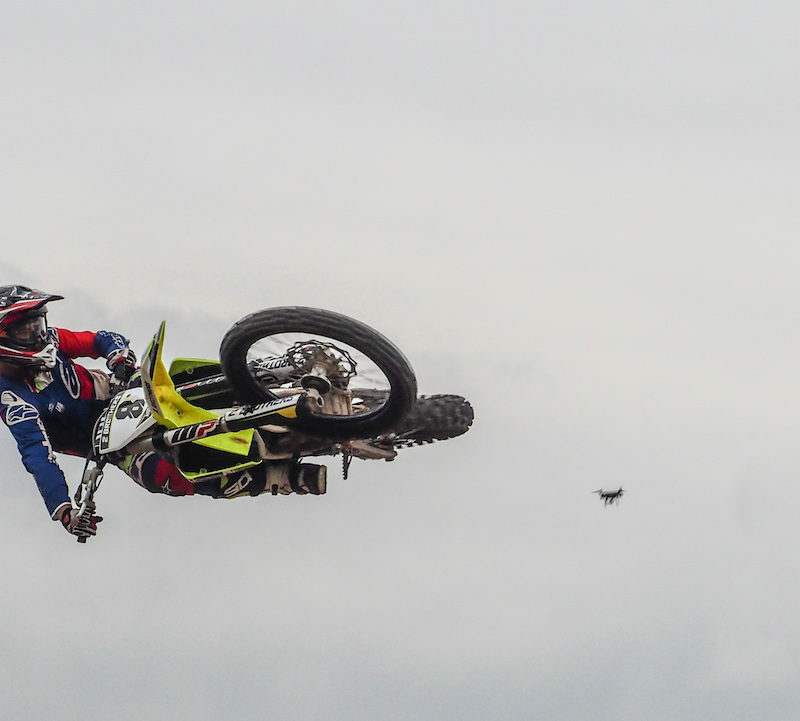 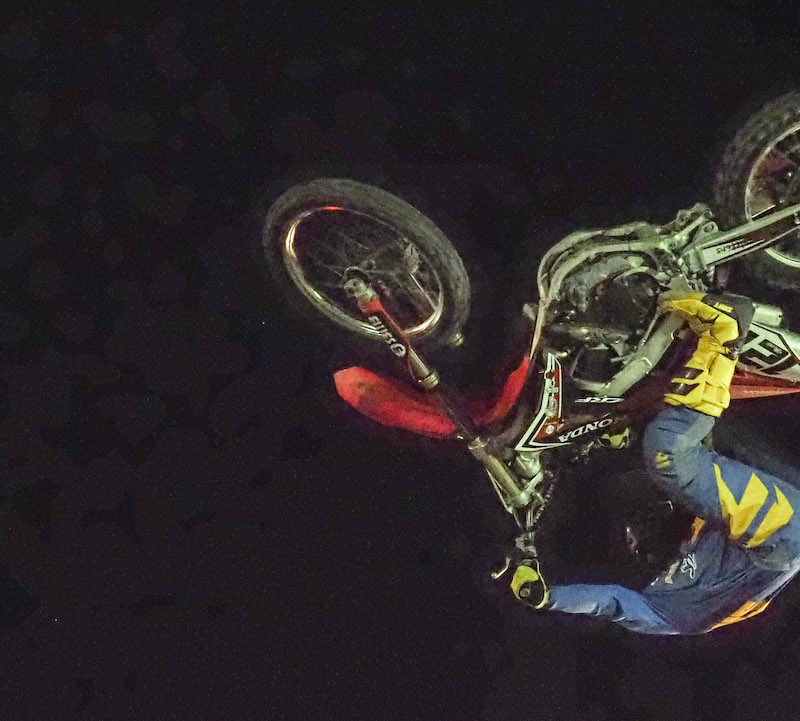 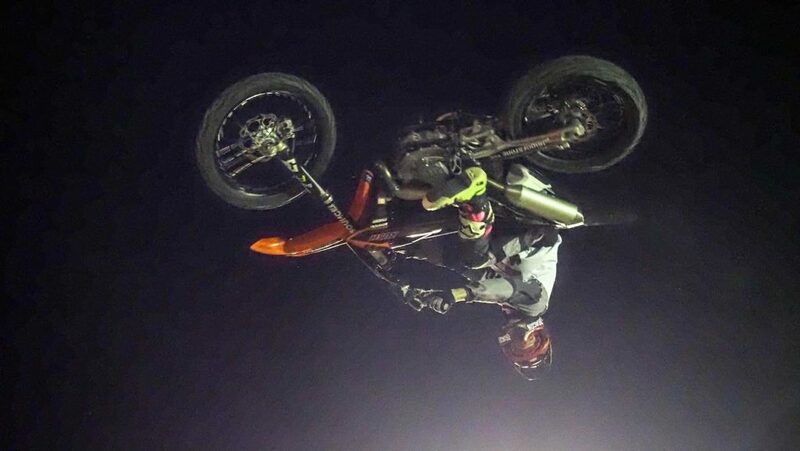 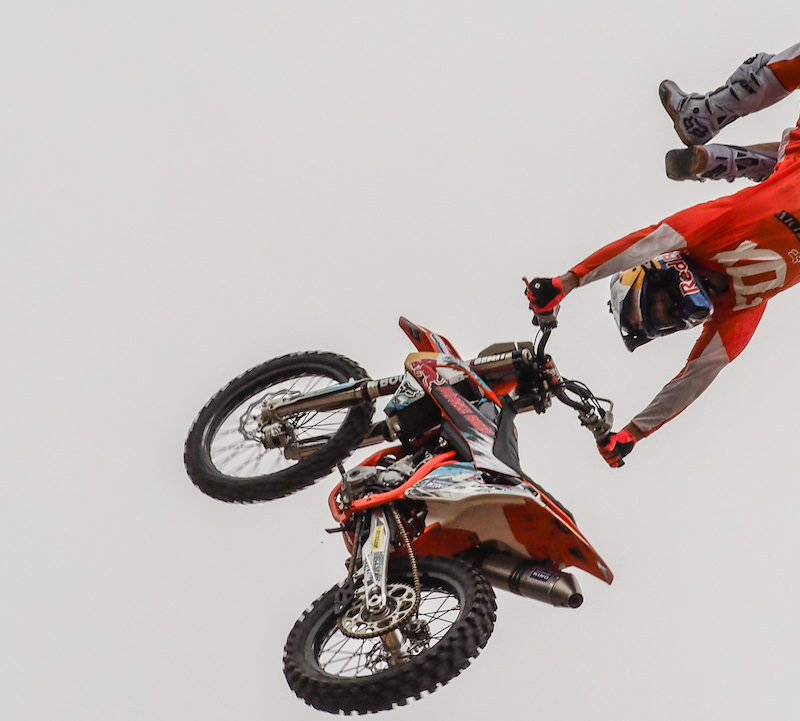 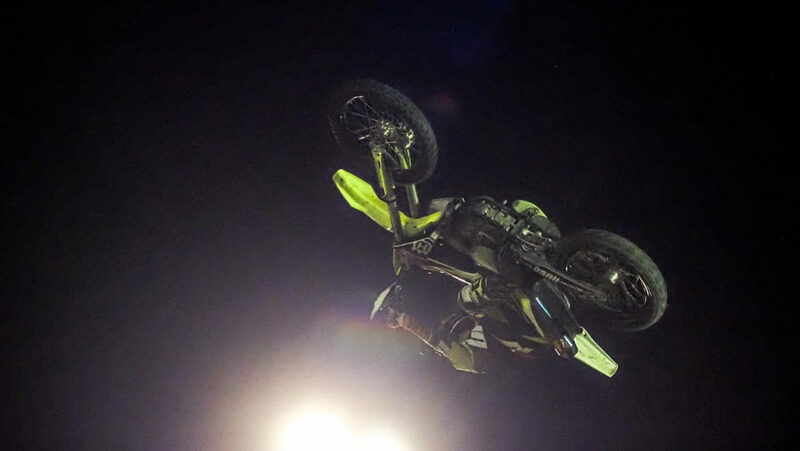 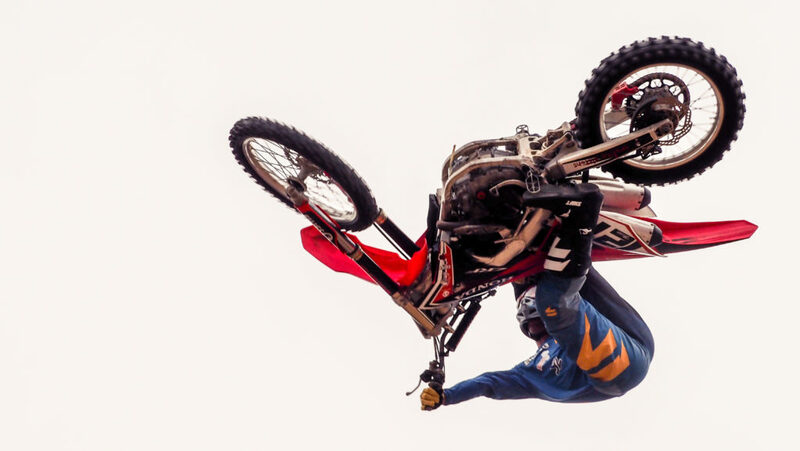 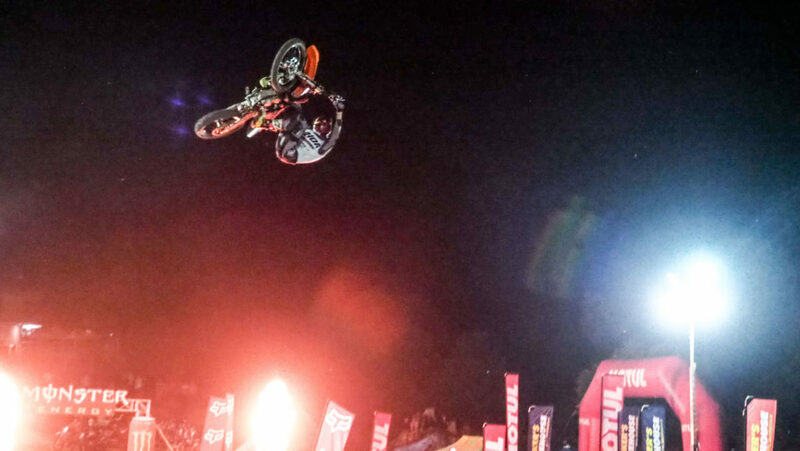 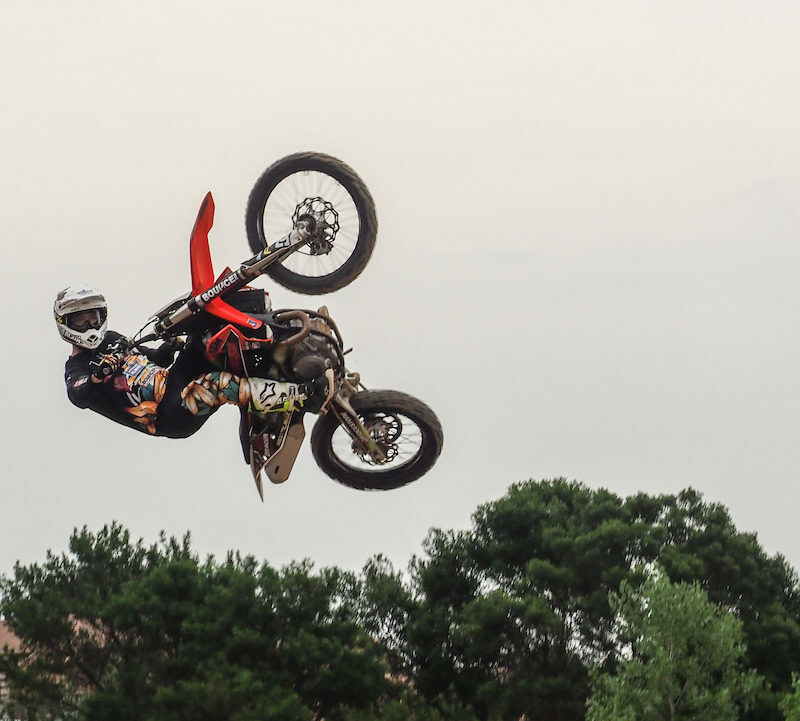 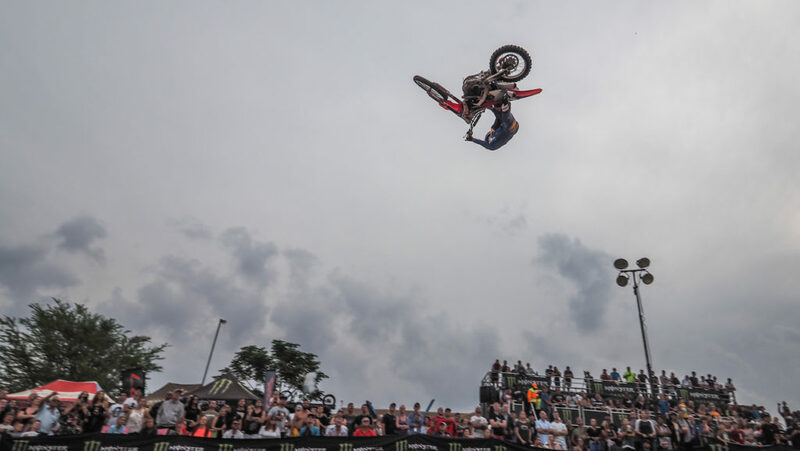 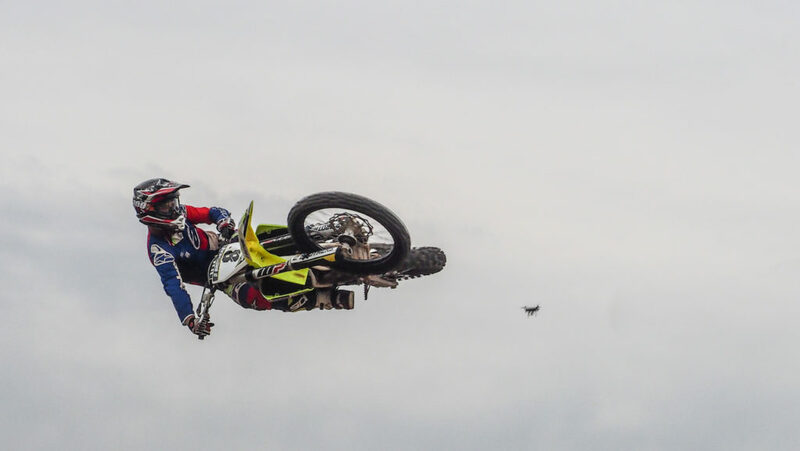 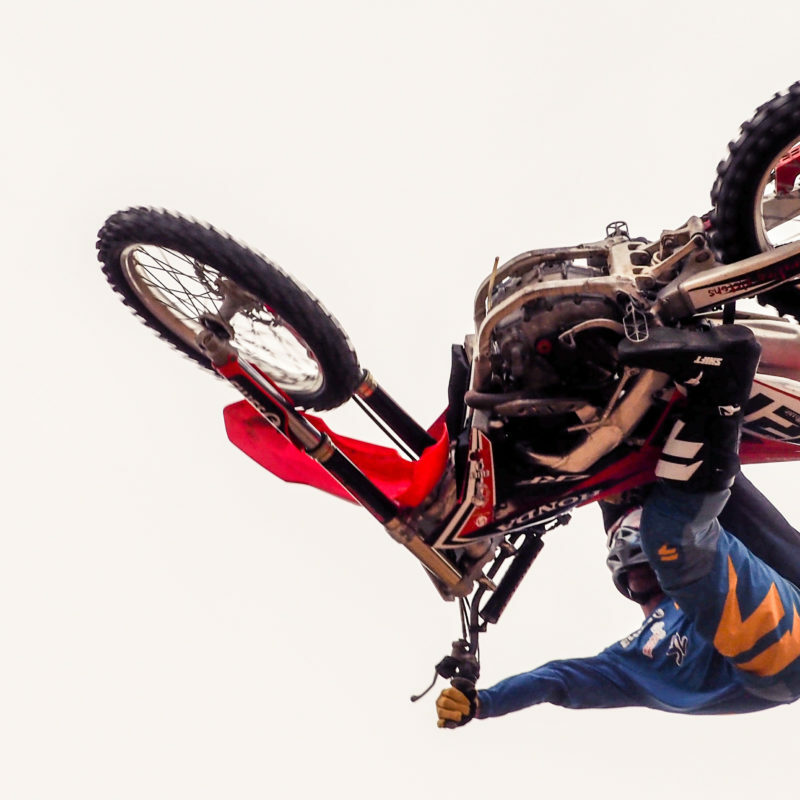 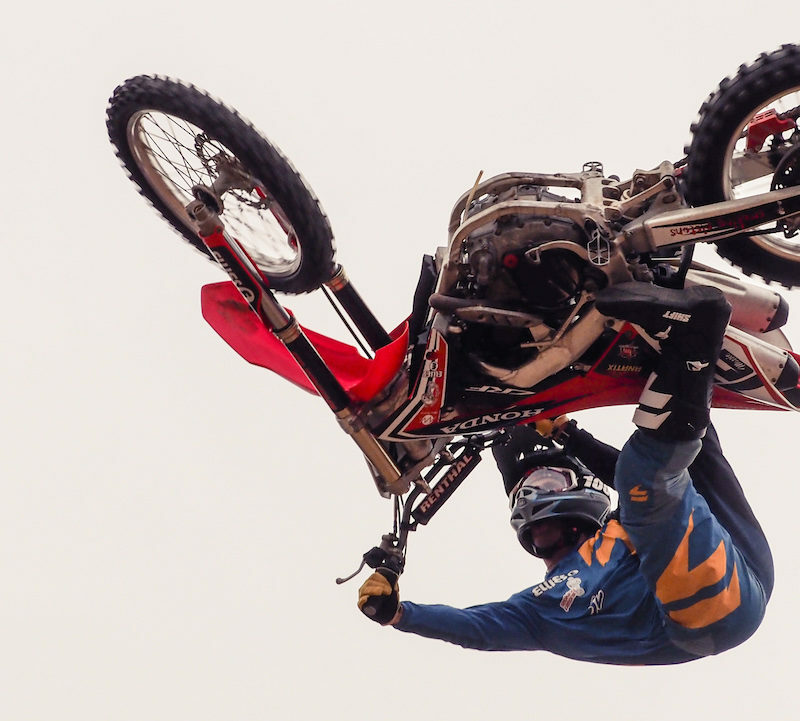 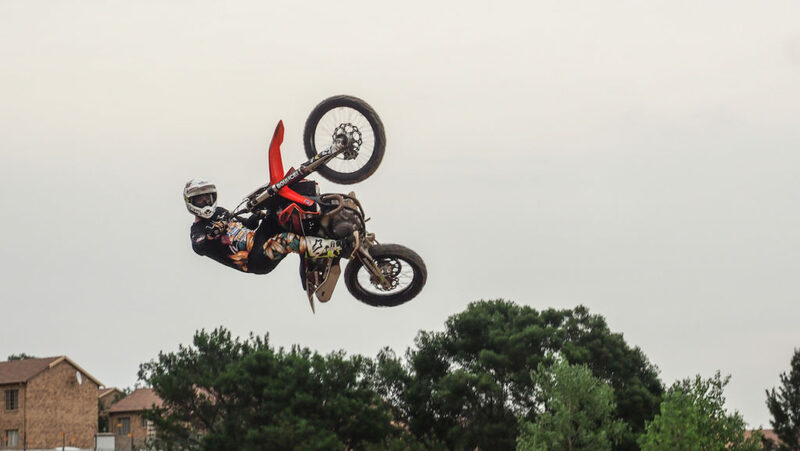 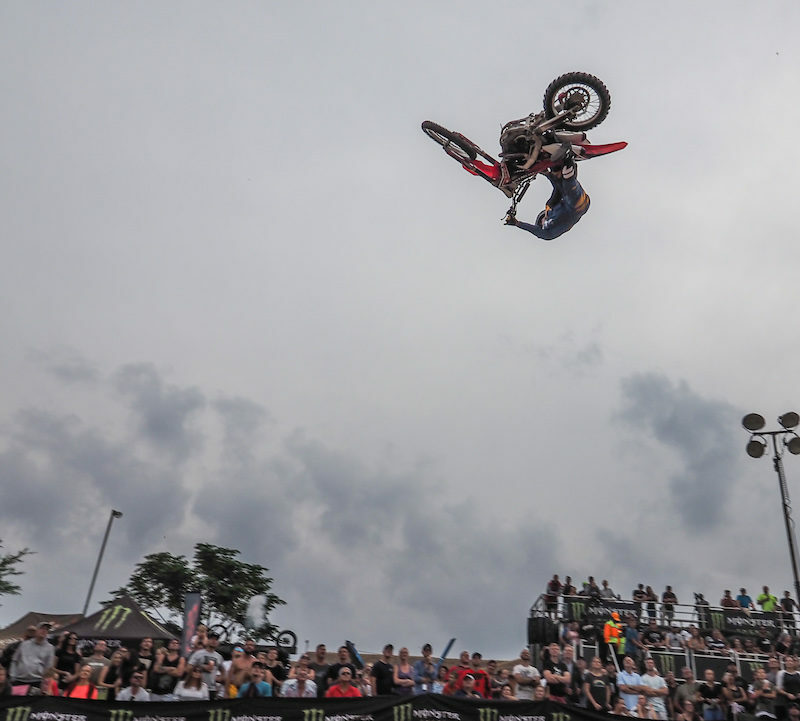 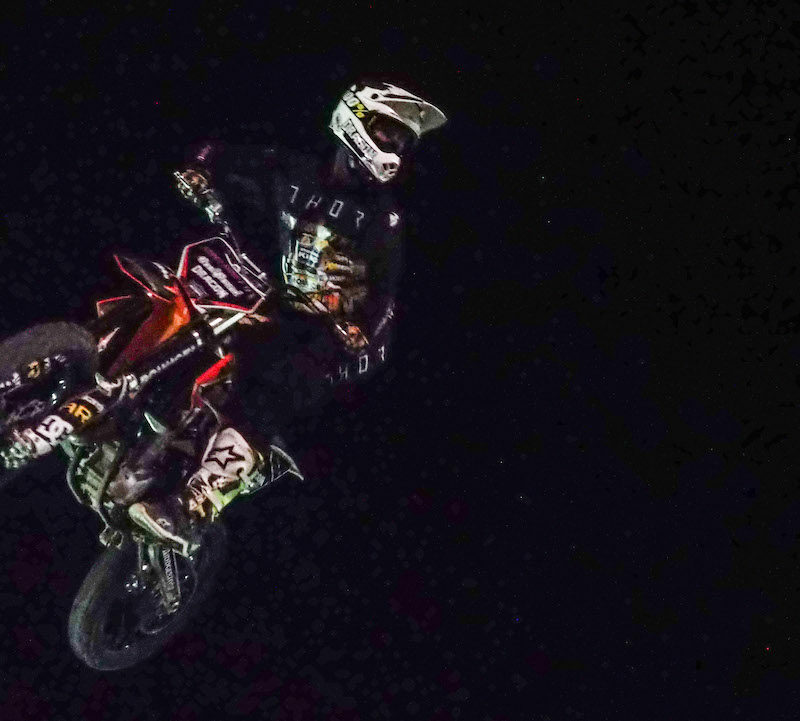 Added to this year’s event saw the FMX Best Trick categories in both right-side-up and upside-down thrown into the mix. 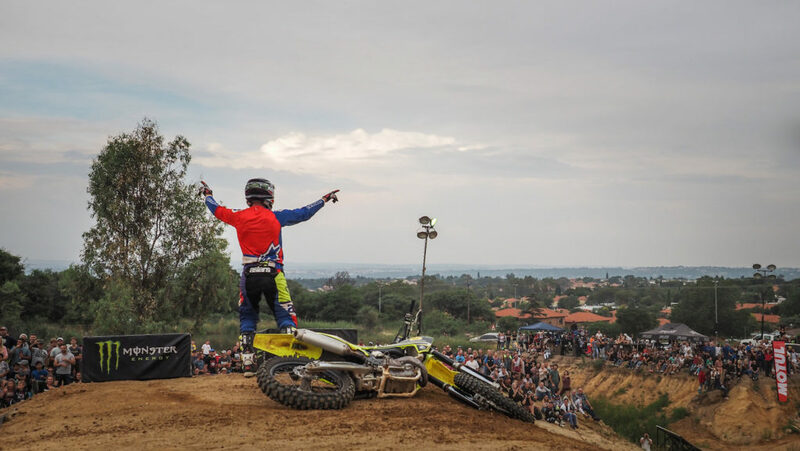 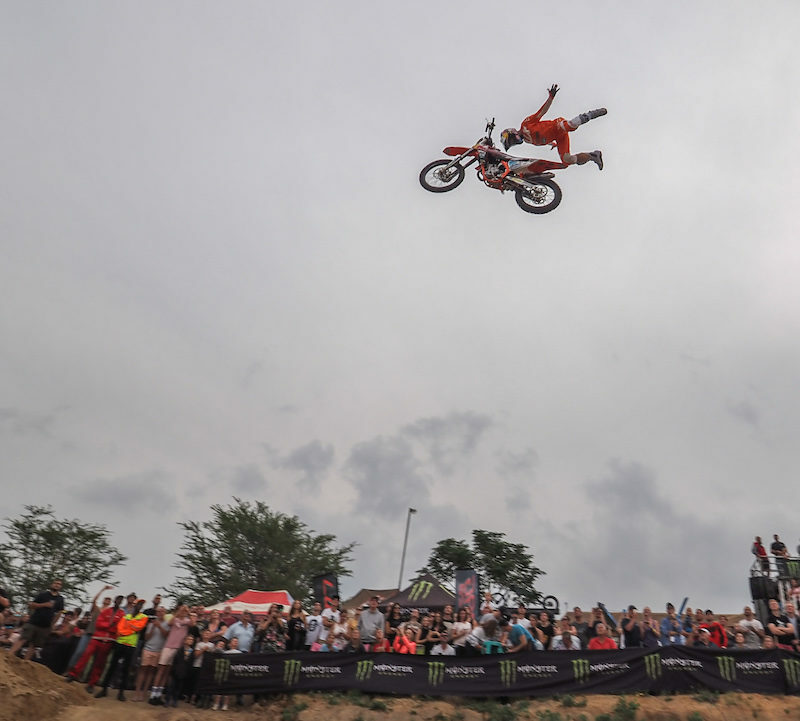 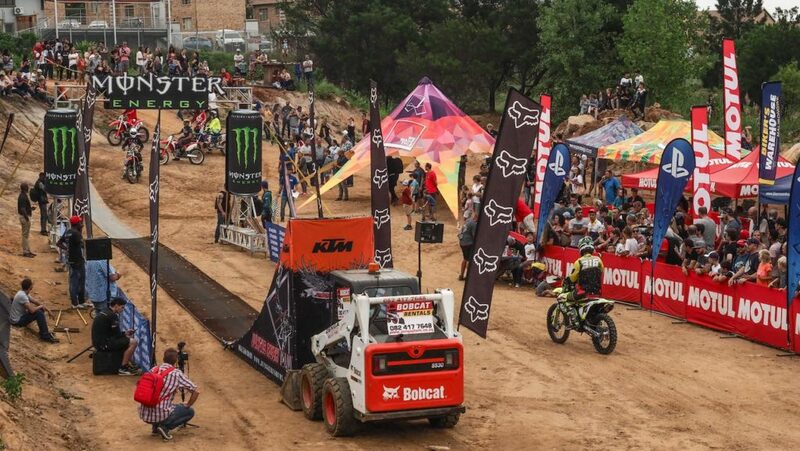 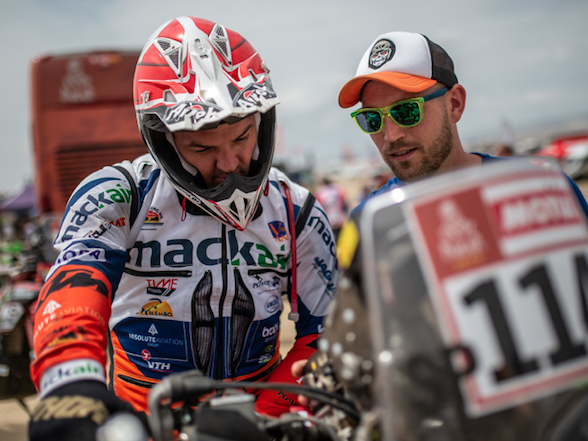 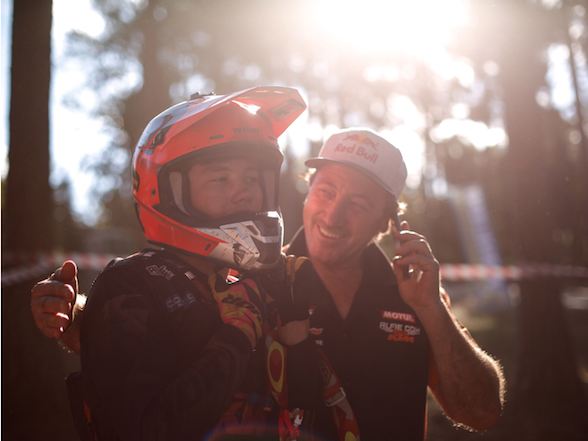 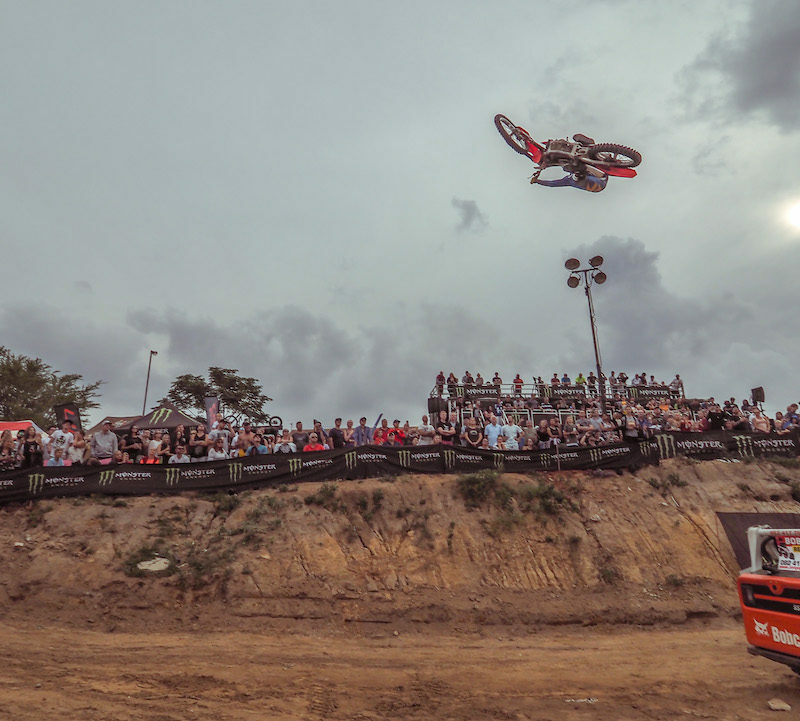 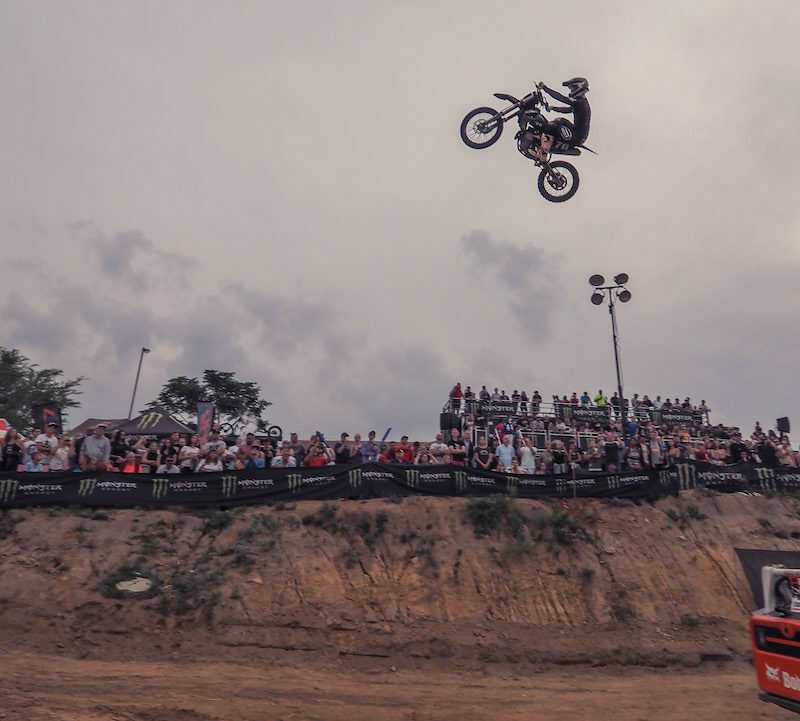 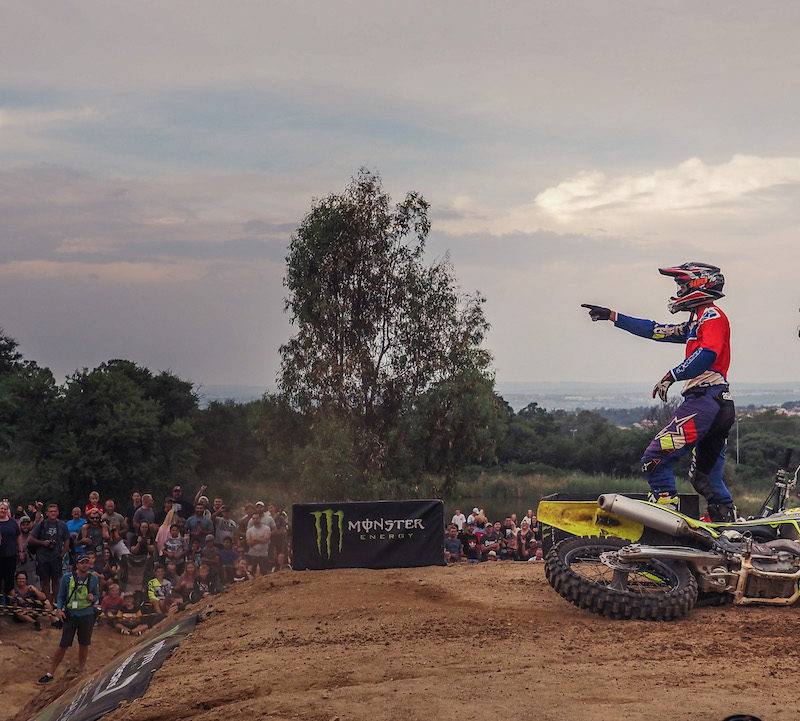 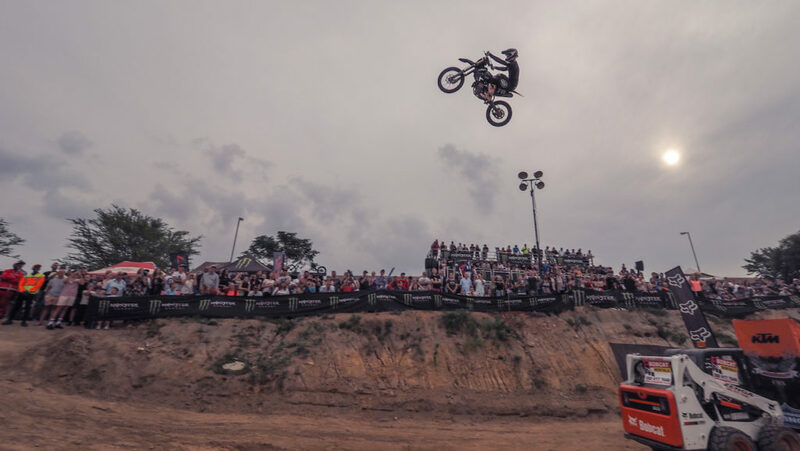 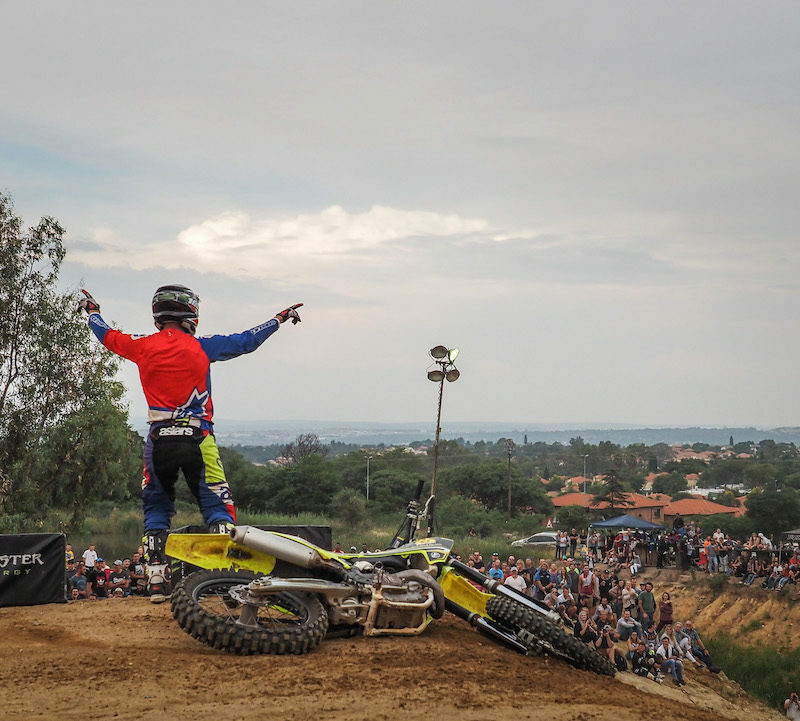 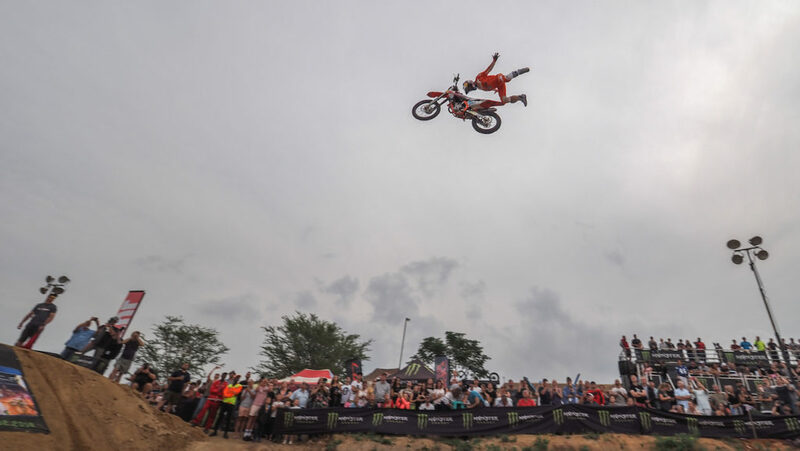 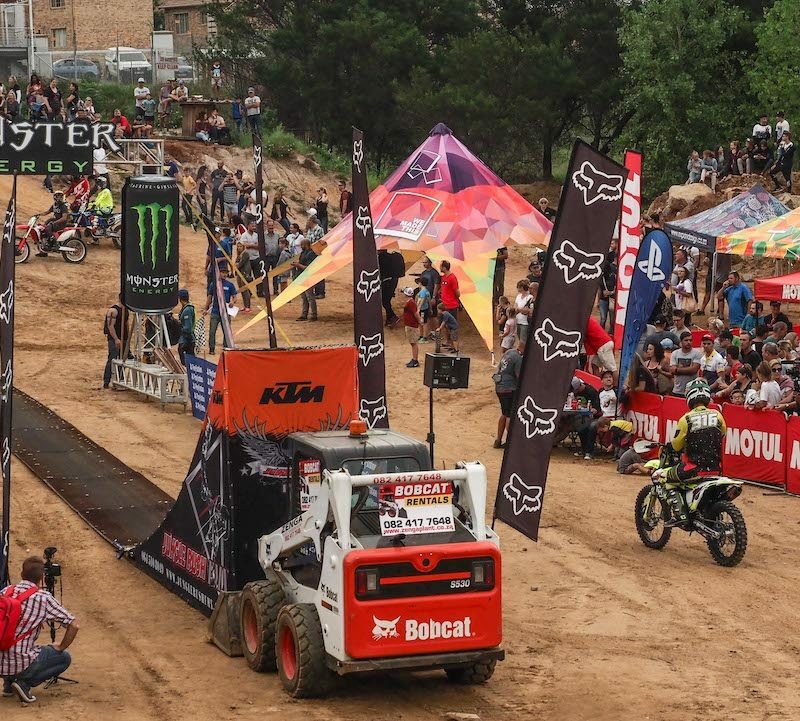 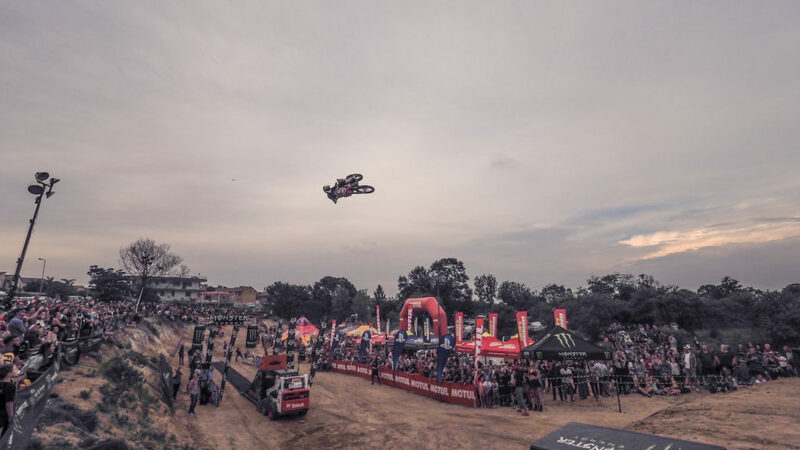 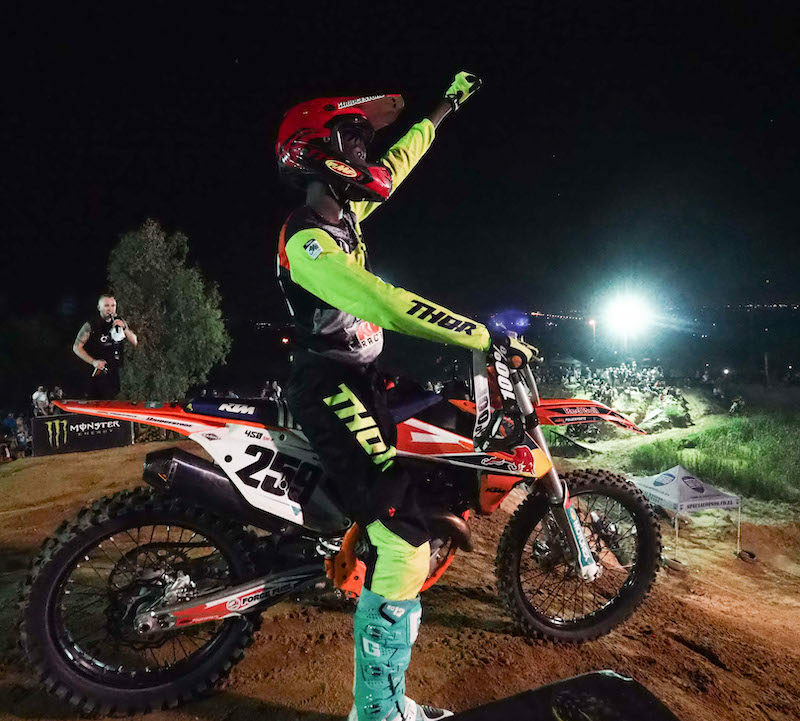 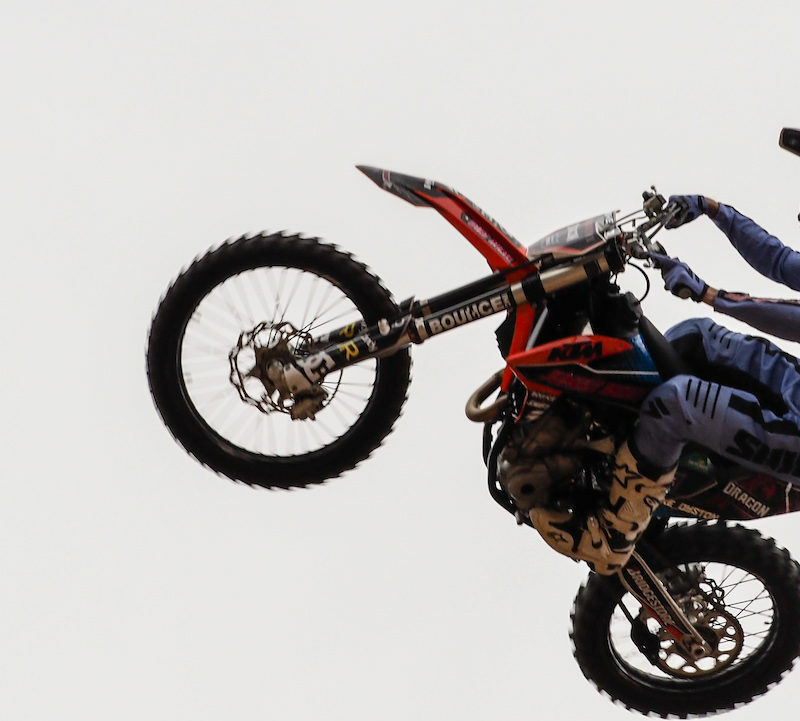 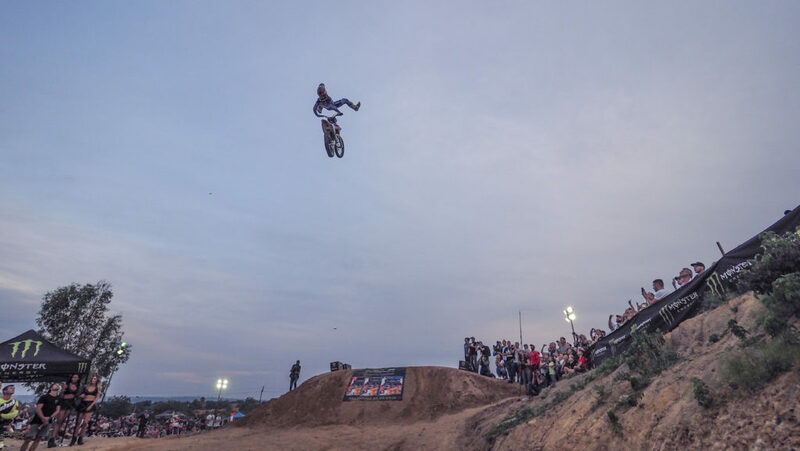 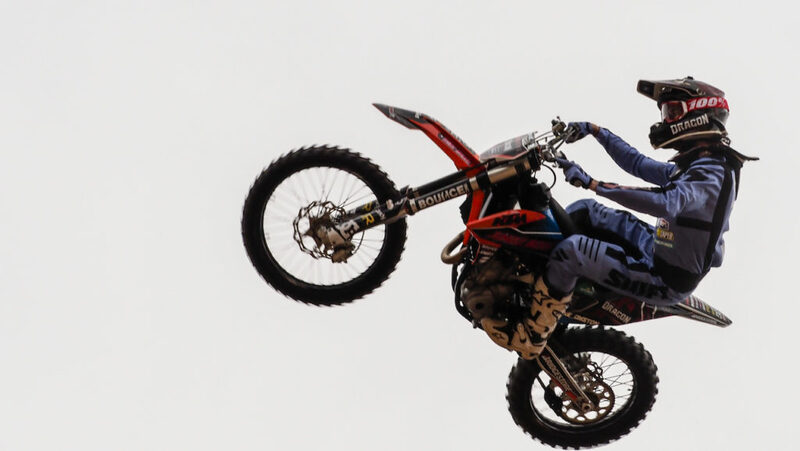 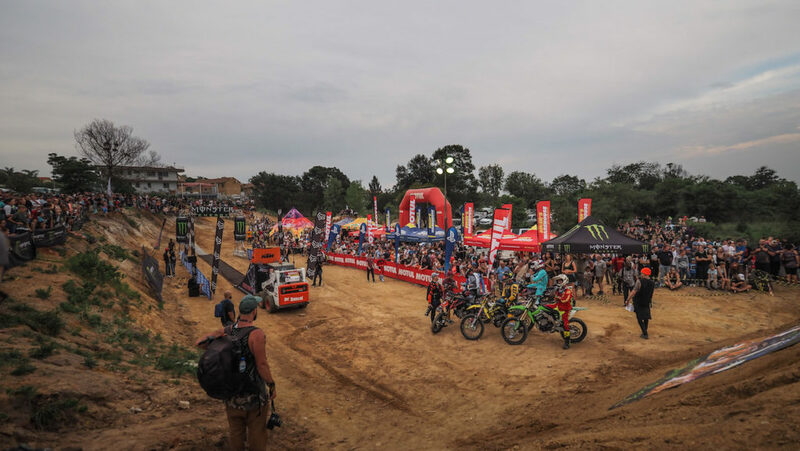 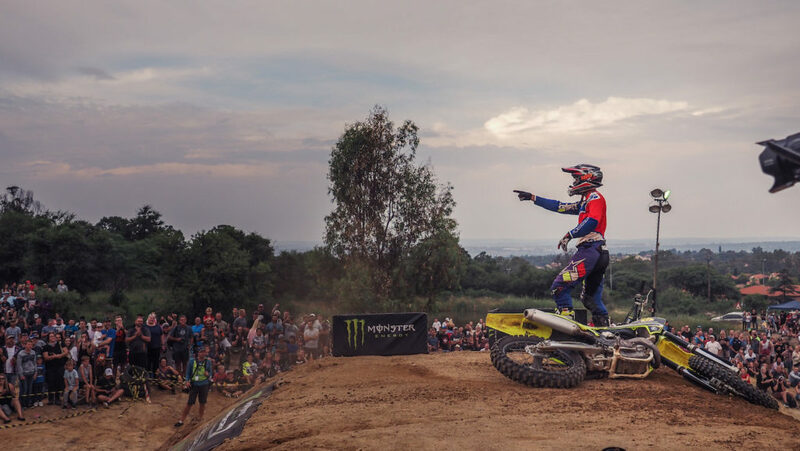 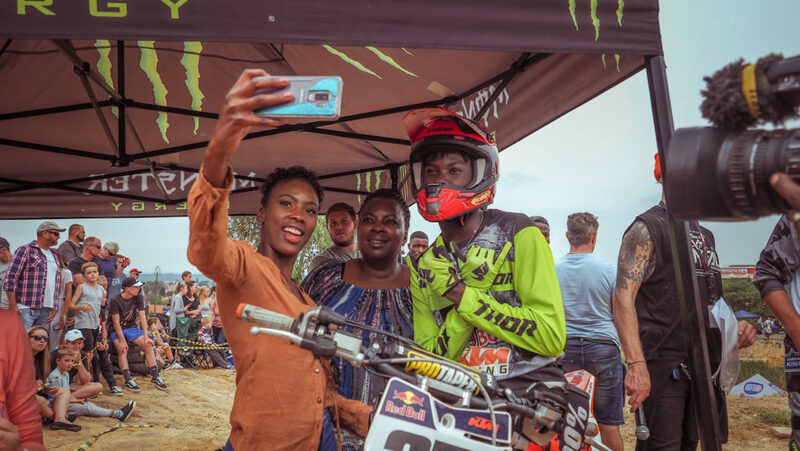 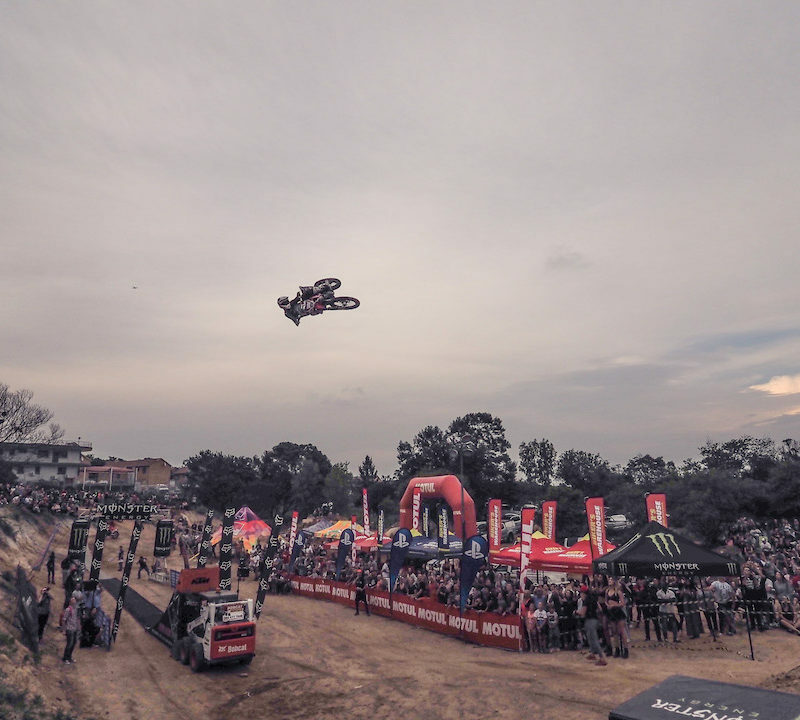 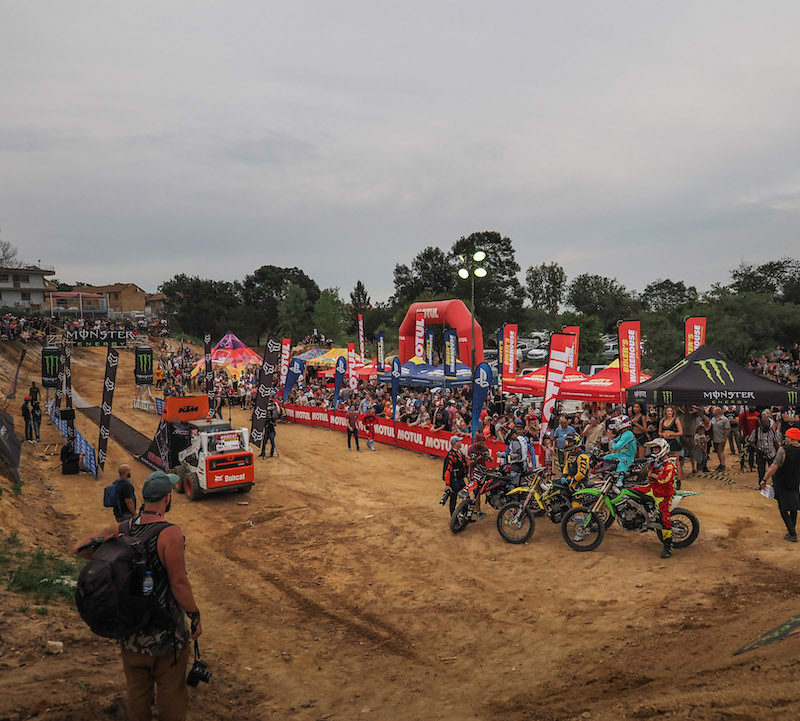 Proceedings kicked off with a rider introduction train that gave fans a taste of what was to come as riders sent themselves into the air over the 23 meter gap to a massive dirt landing. 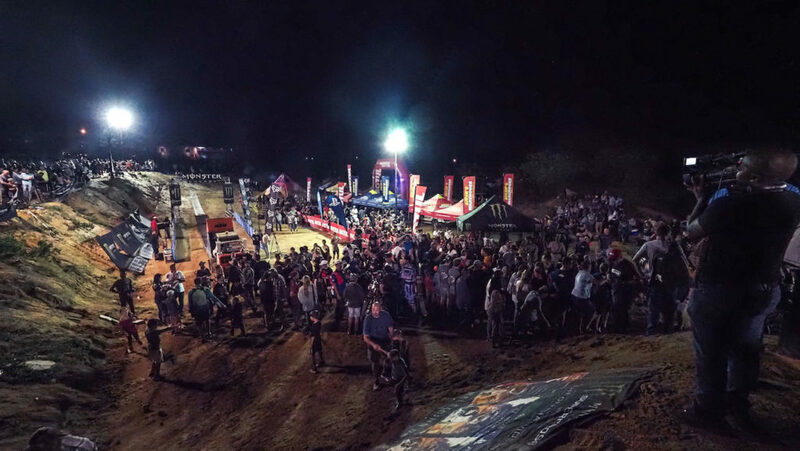 Event host, Canada’s Matt Macduff (professional Freestyle Mountain Bike rider) kept the masses hyped up and informed throughout he evening. 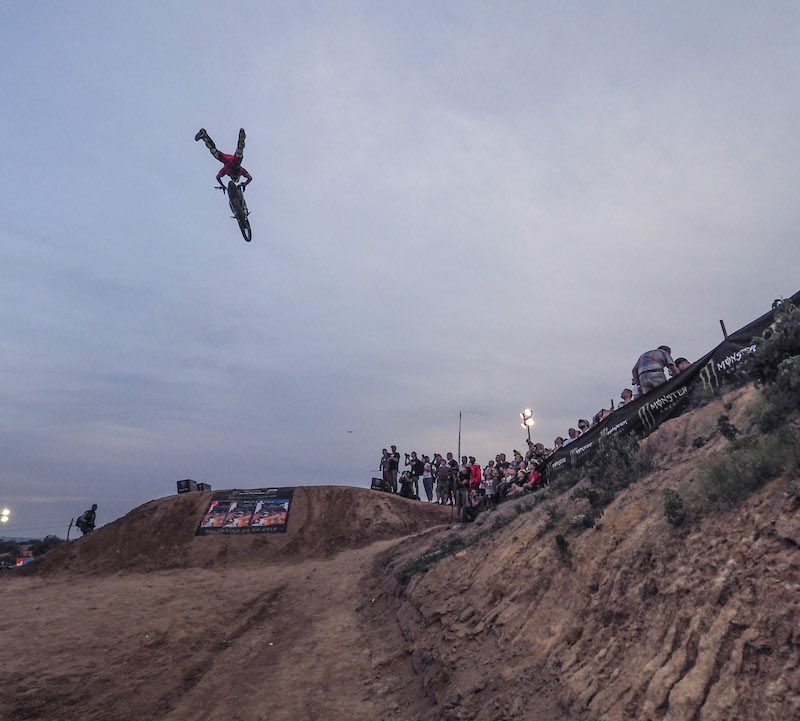 Into the four qualifying rounds, riders showcased their whip skills for both the judges and fans. 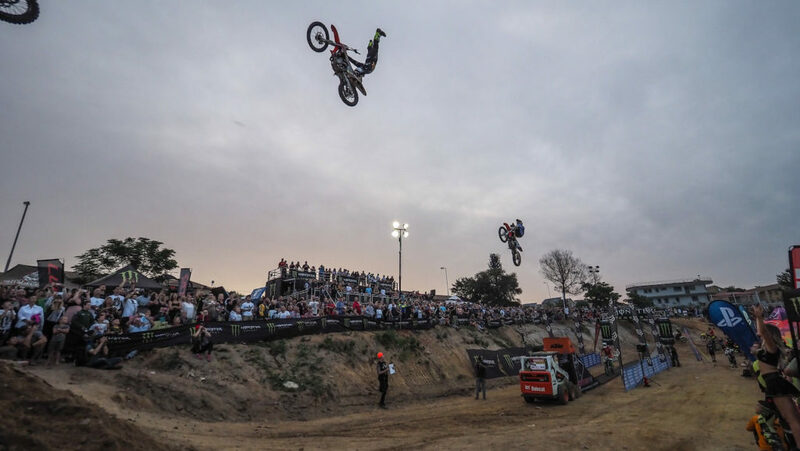 The Judges, Brendan Potter (FMX), Richie van der Westhuizen (MX) and Brent Le Riche (Trails), took style, amplitude and variation into consideration and had the hard task of eliminating riders into a 13 man semi-final. 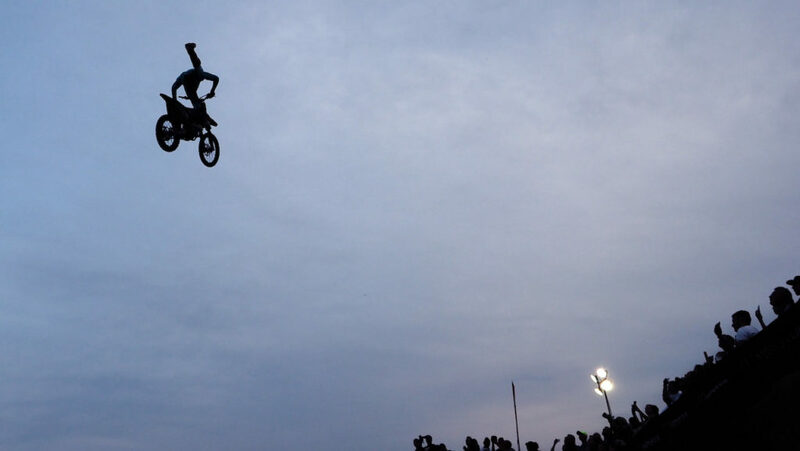 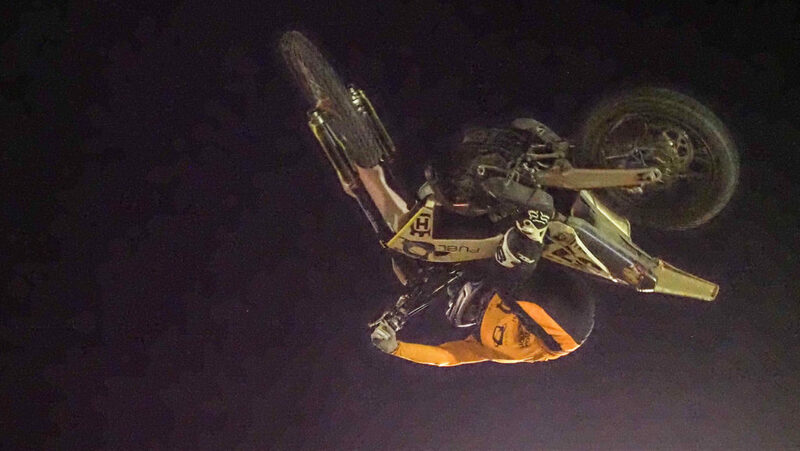 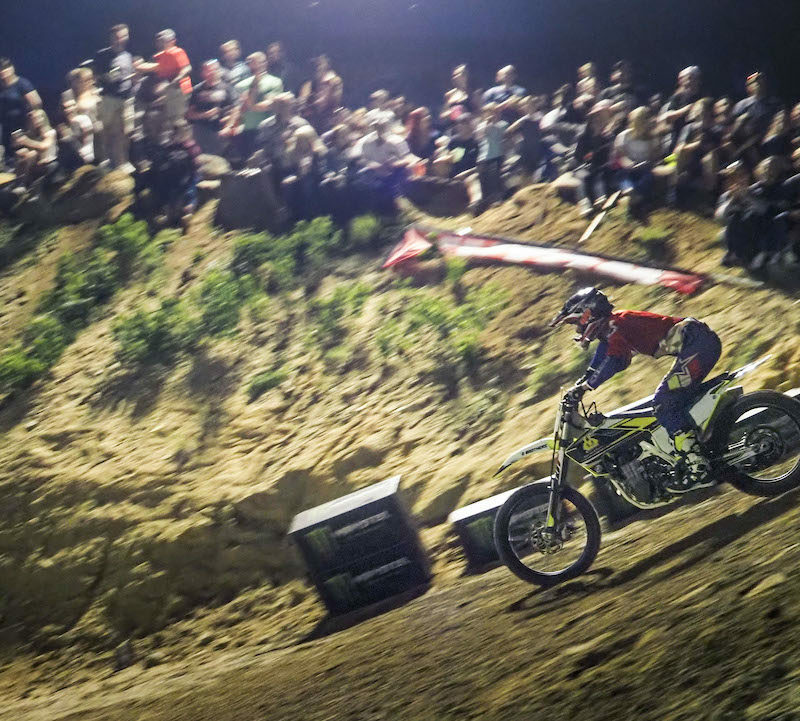 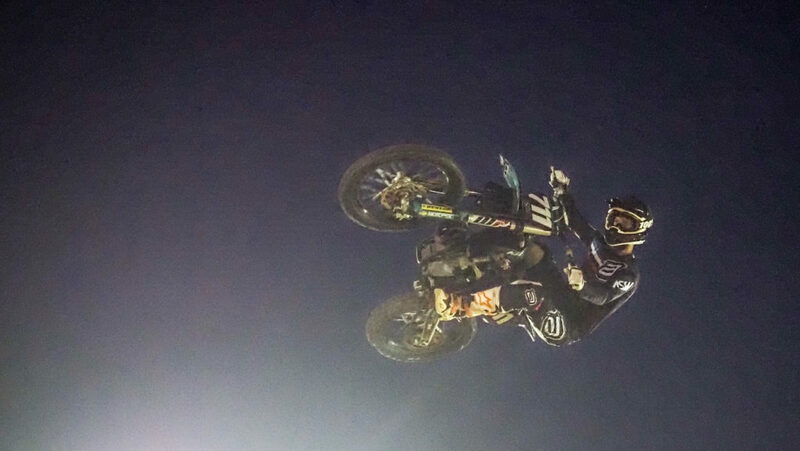 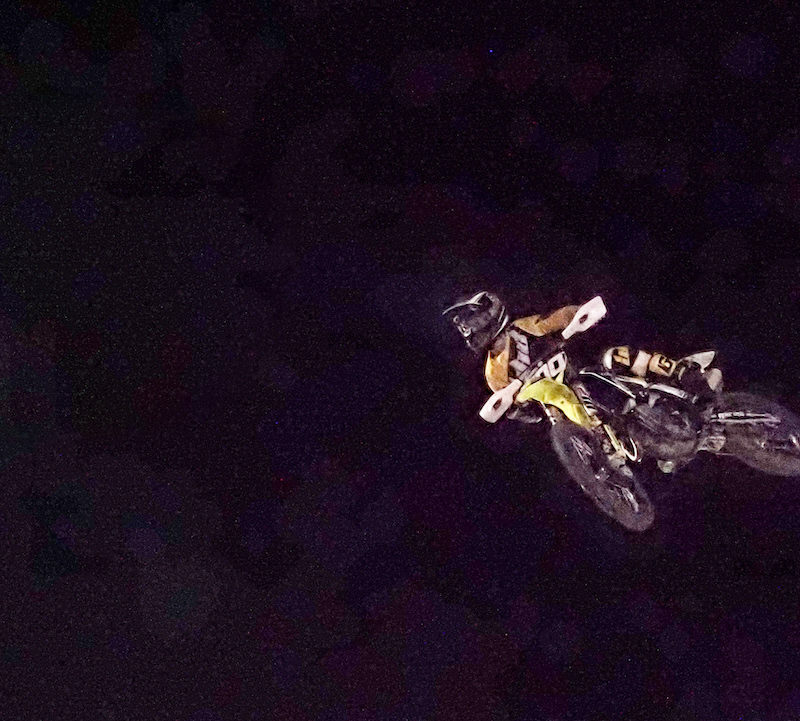 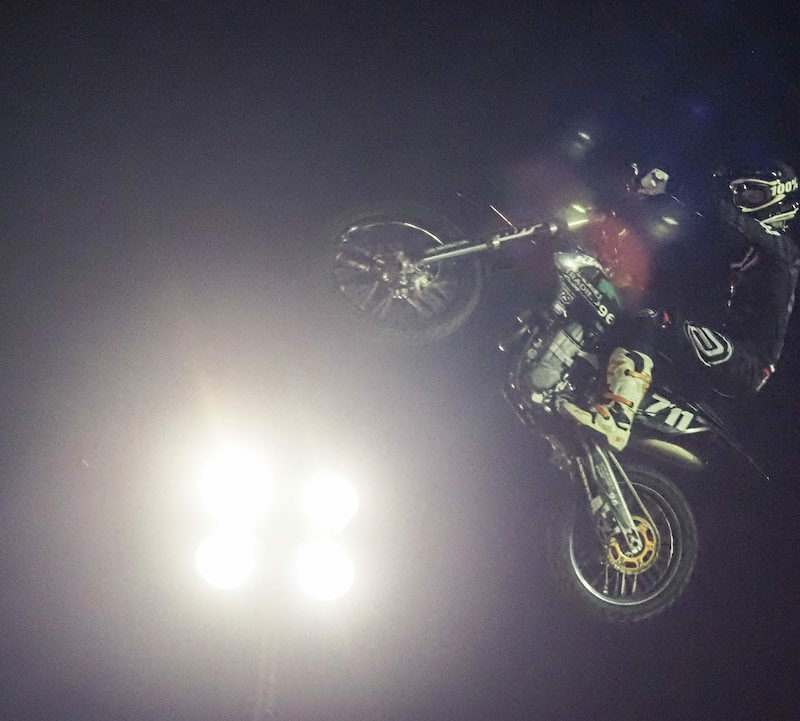 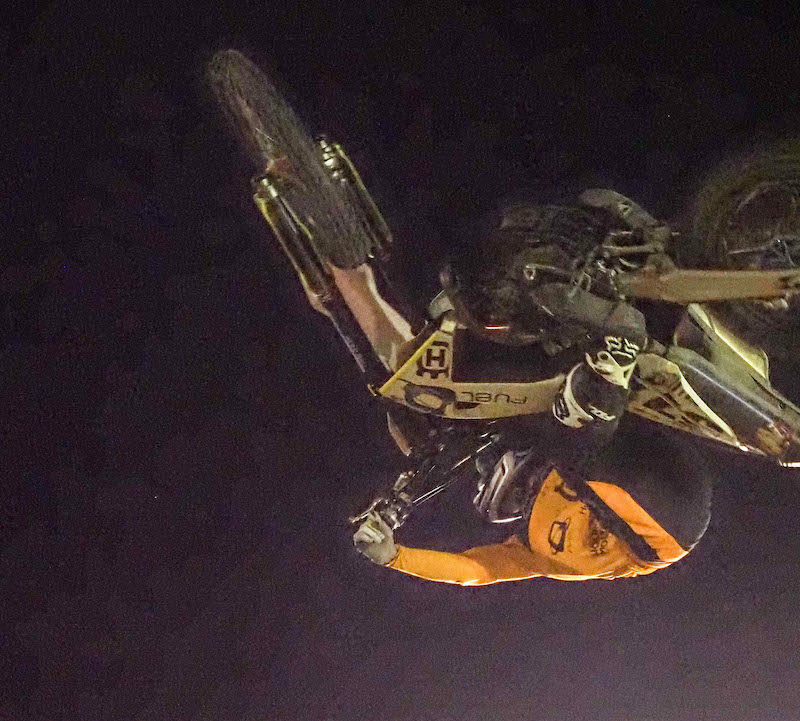 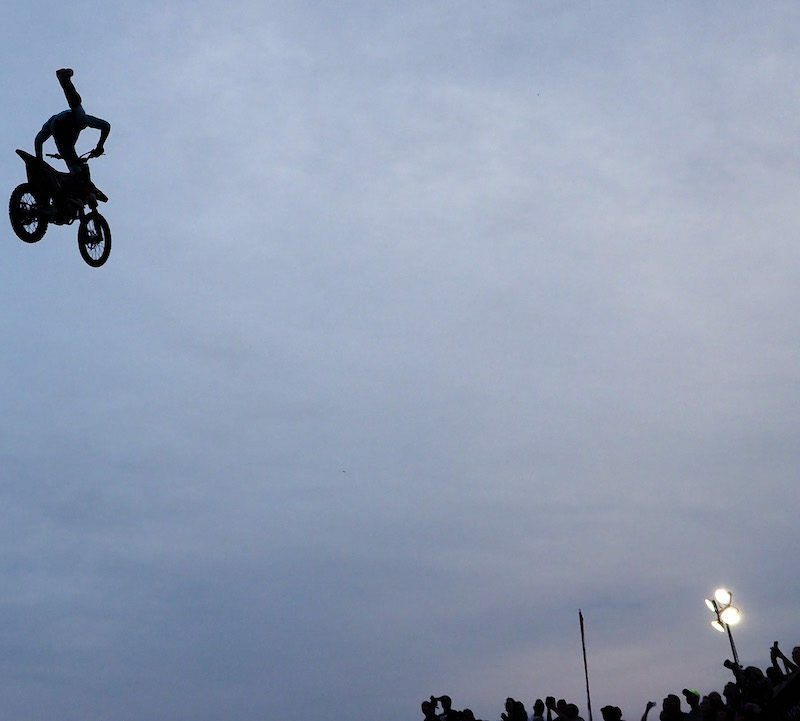 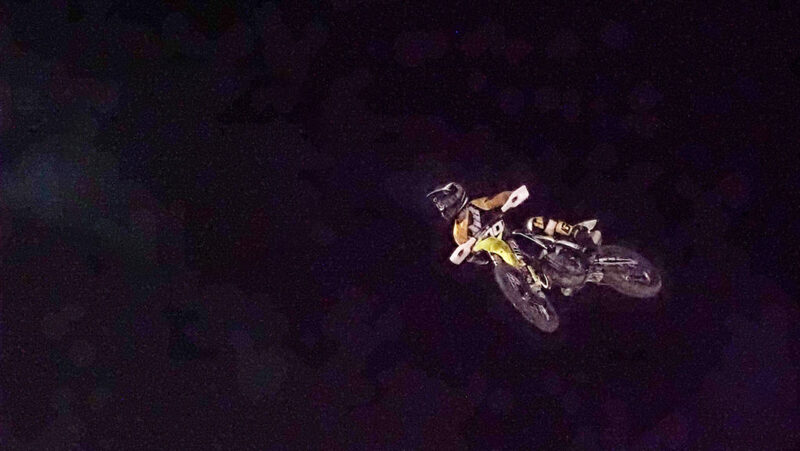 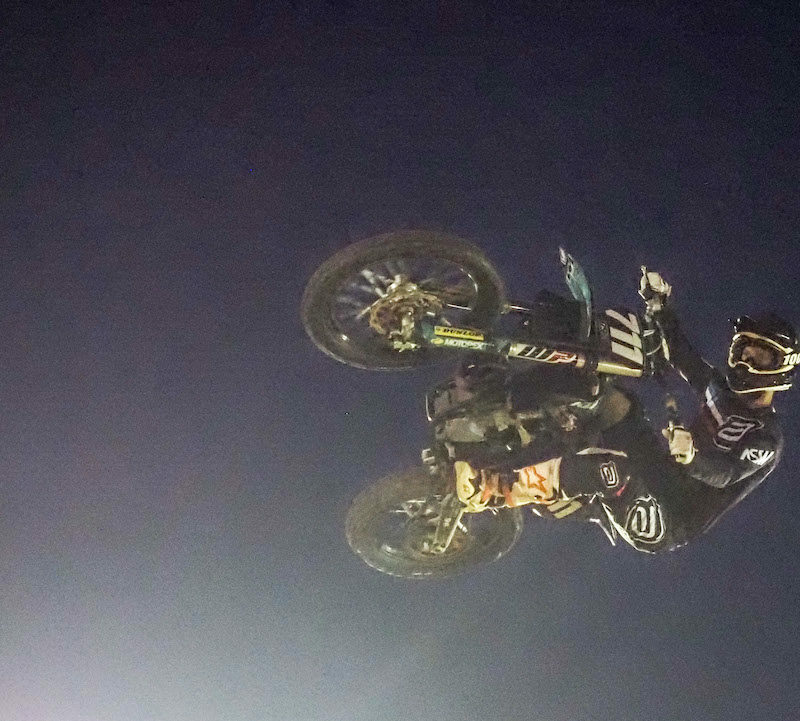 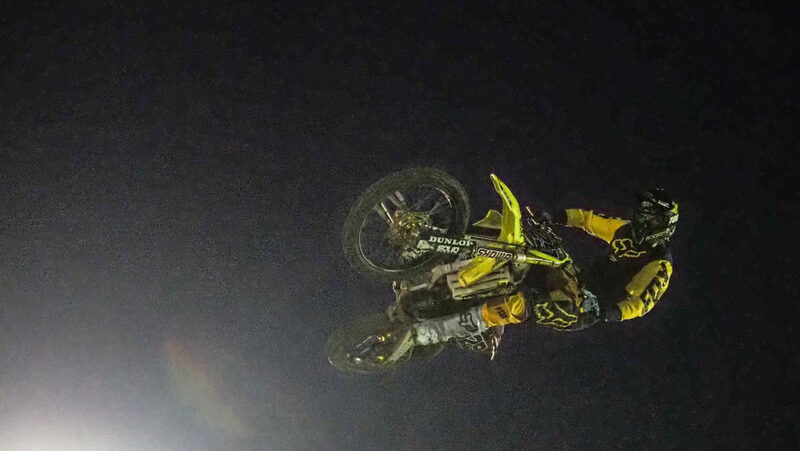 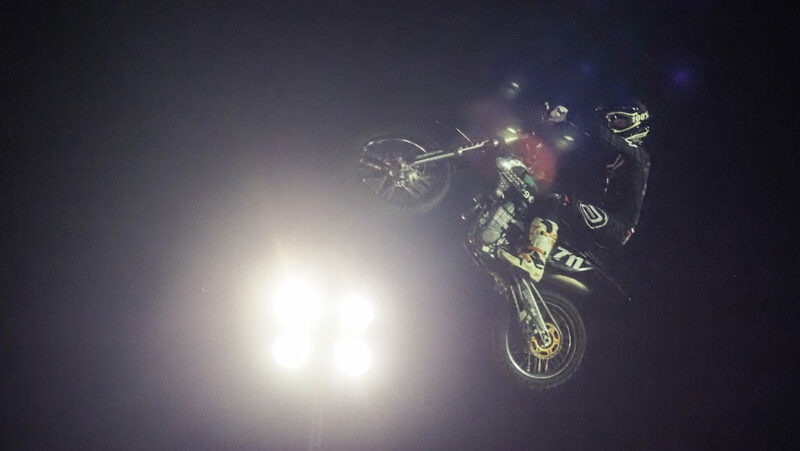 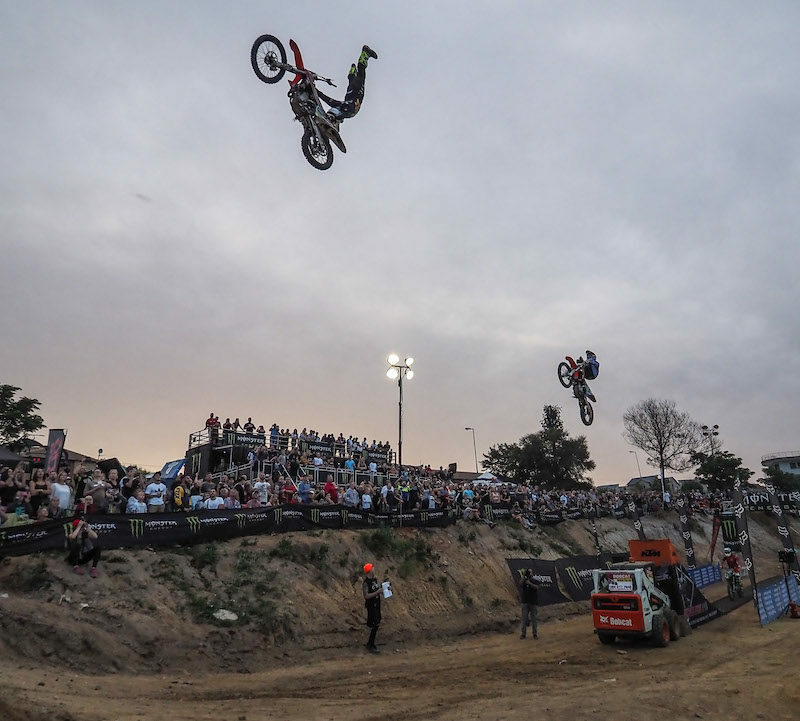 As the sun started to set and the lights came out, it was time for the FMX Best Trick competitions. 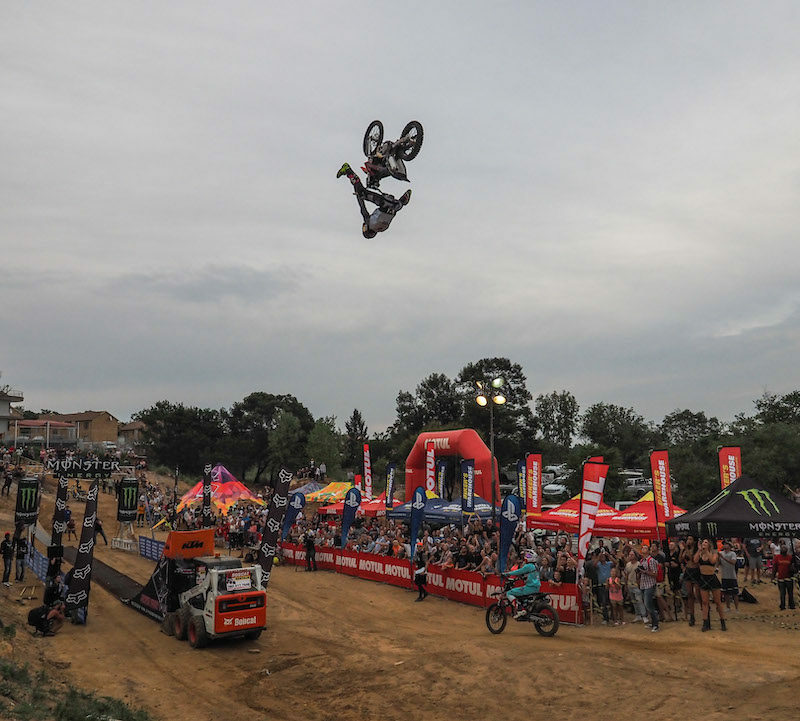 Each rider had three jumps in which to perform their best tricks, with the highest scoring trick counting as the final result. 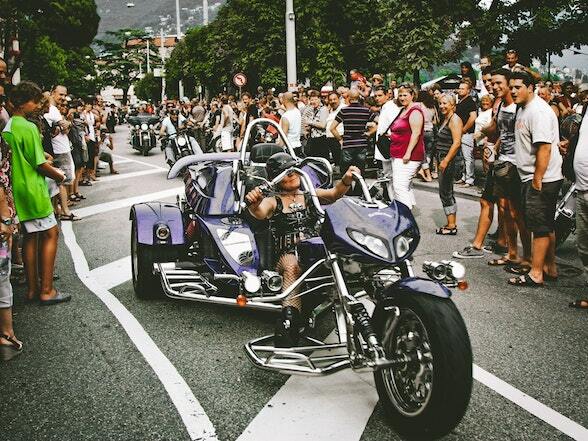 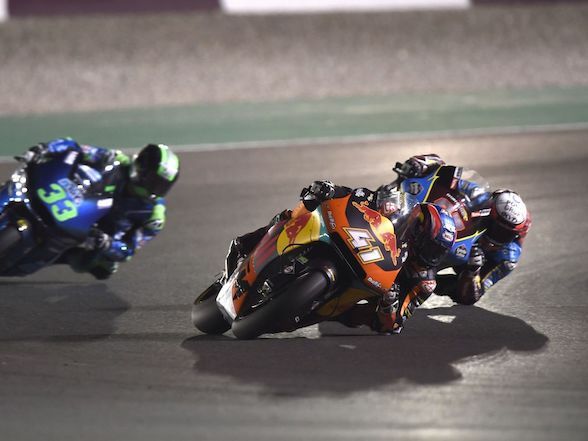 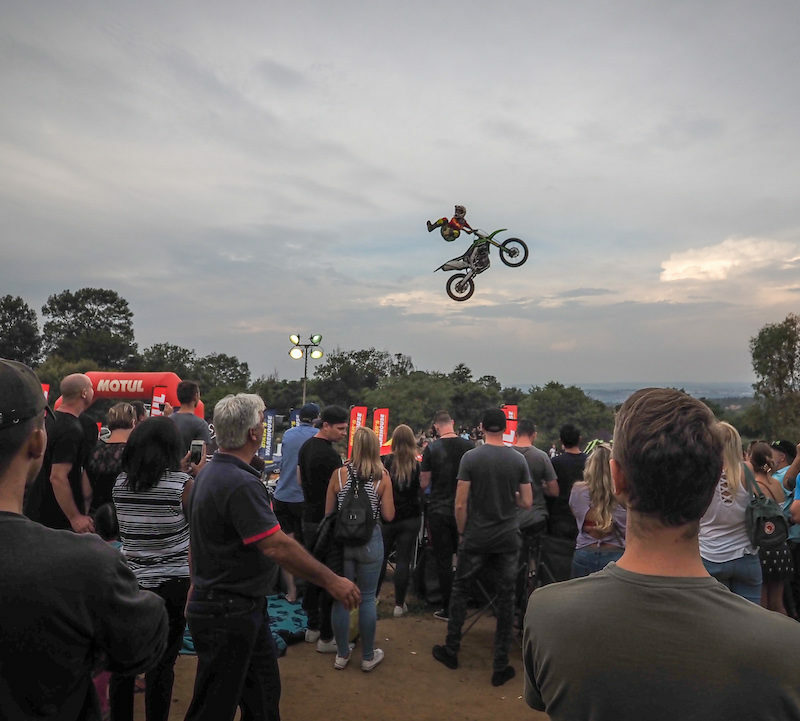 Fans were one the edge of their seats as the riders took to the air displaying an array of death-defying manoeuvres. 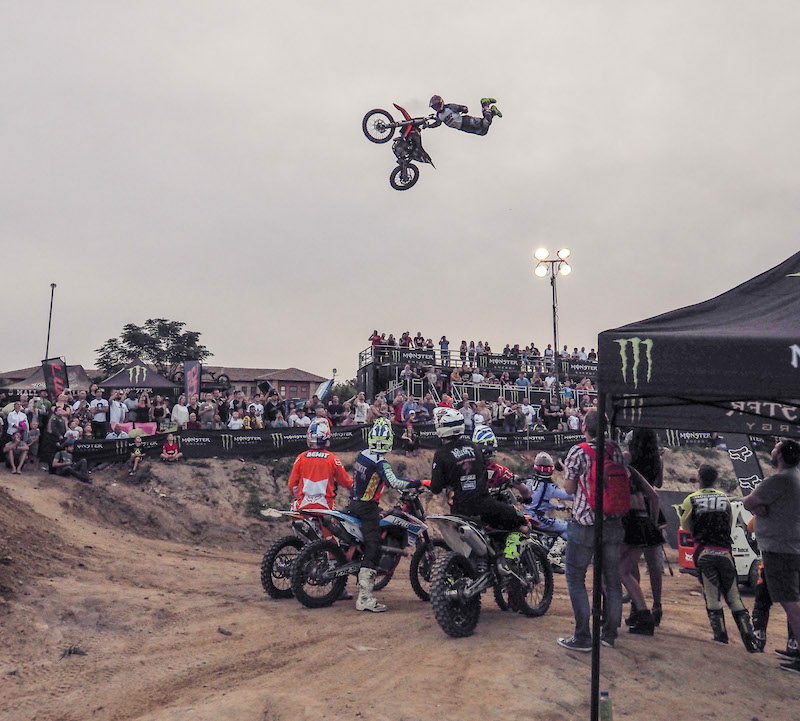 In the right-side-up division it was Jacques Human who took 3rd (TP Bar), Michael Oyston in 2nd (Dead Body Shaolin) and Dallan Goldman in 1st (One Handed Flat-Liner). 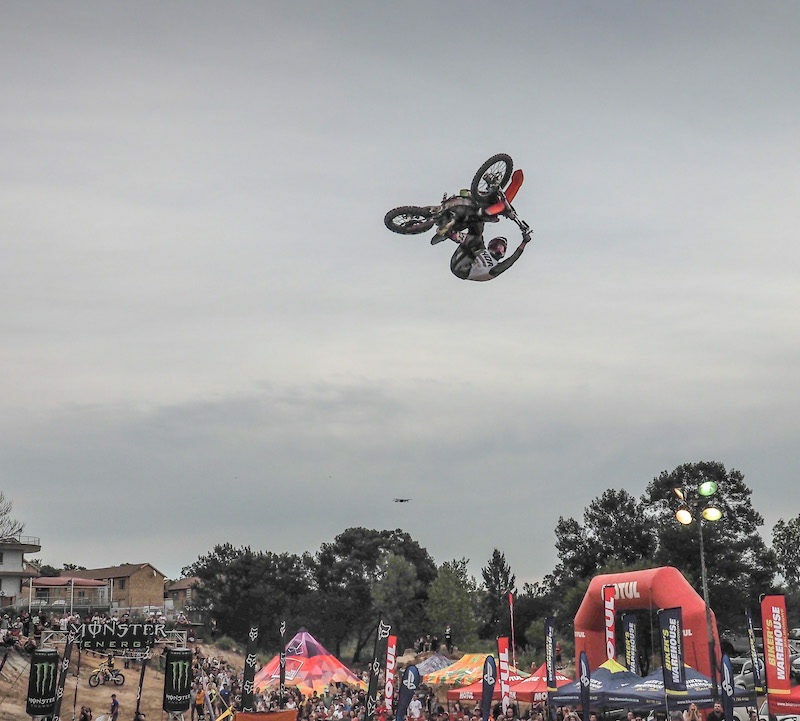 In upside-down division Dallan Goldman narrowly edged out Nick de Wit’s Indy-Flip for the win with his dialled Super-Flip. 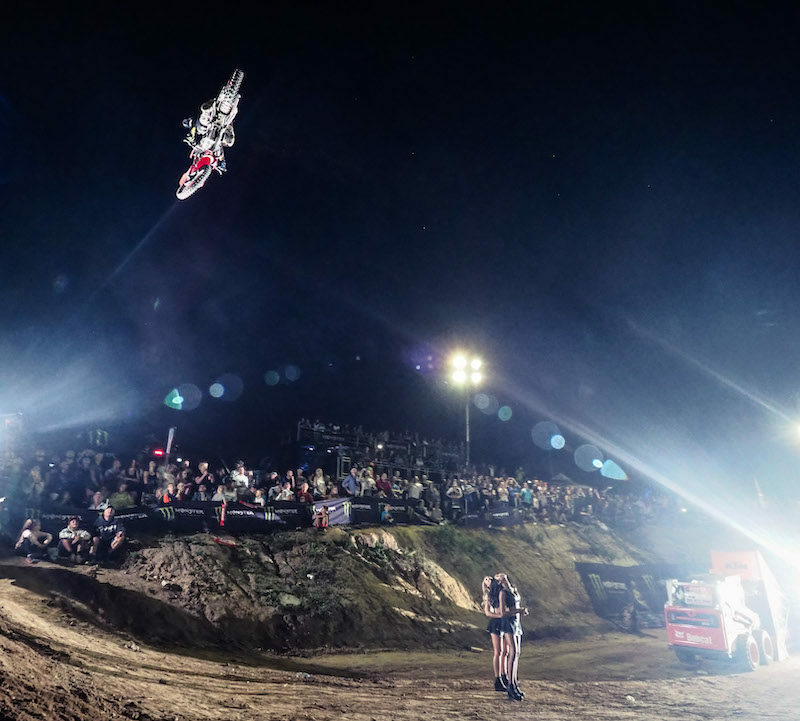 The King of the Whip semi-finals then took to the night air. 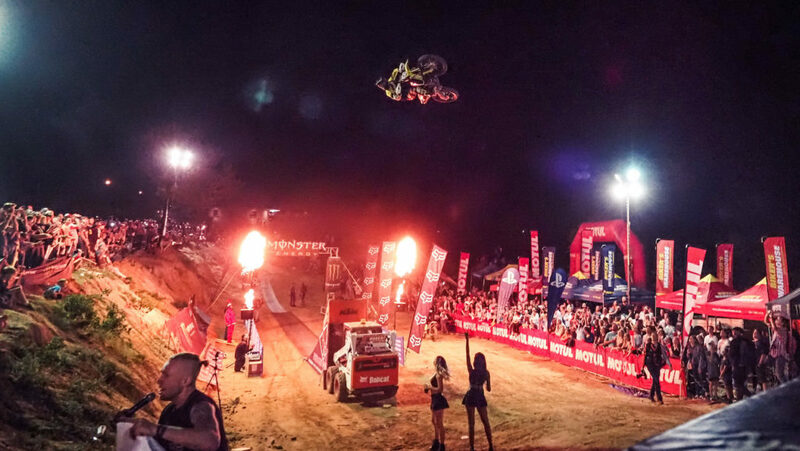 The last chance for the riders to impress the judges by throwing their biggest whips in the hope of qualifying into the seven rider final. 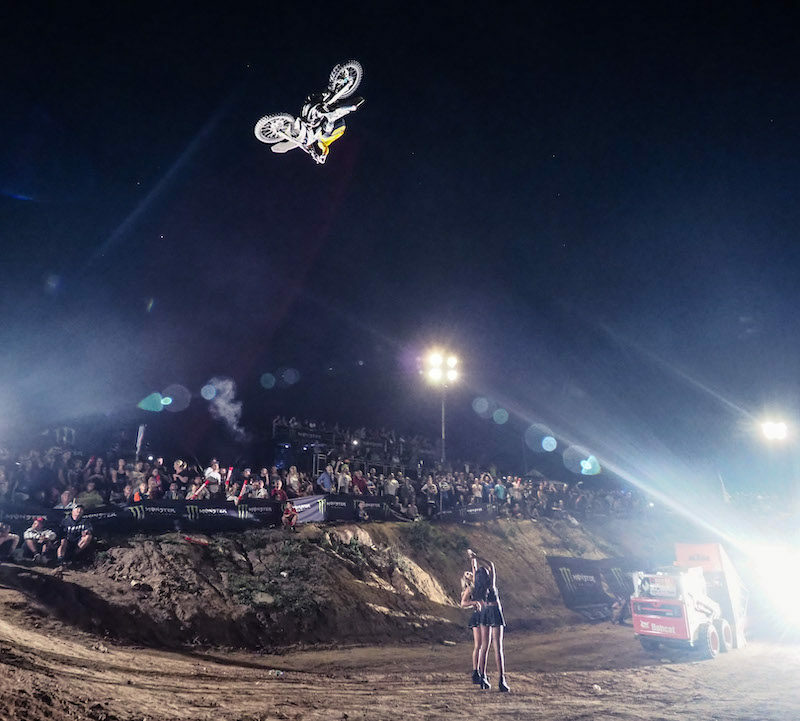 An insane display of whip styles and variations were witnessed throughout the jam session, which could best be described as 15 minutes of adrenaline-fuelled mayhem! 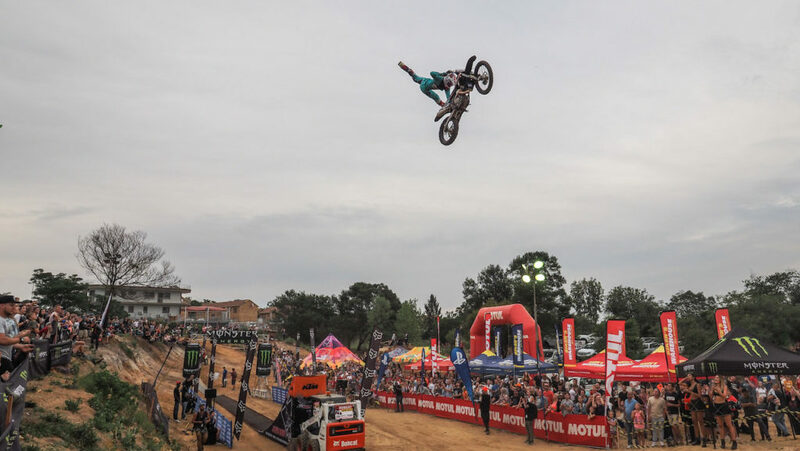 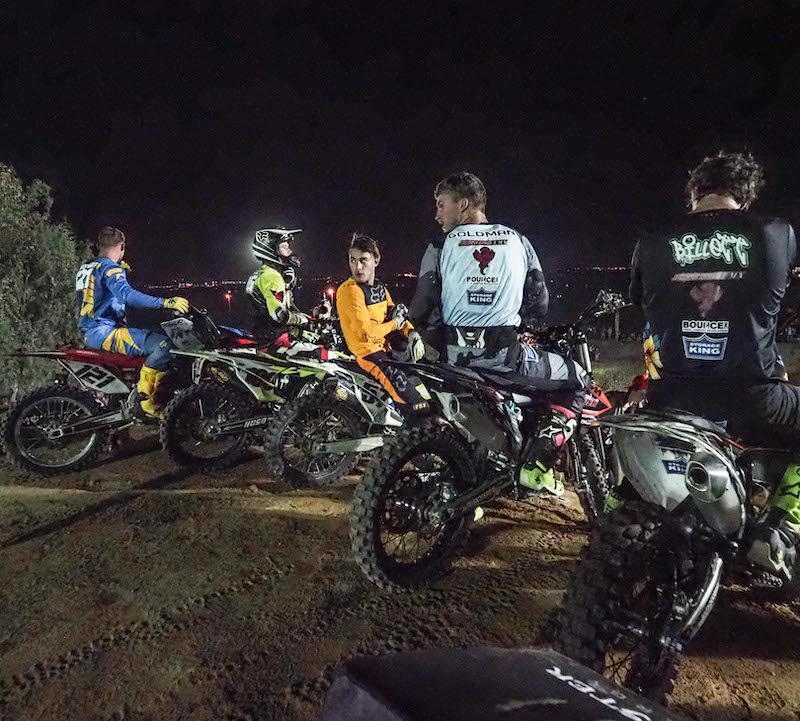 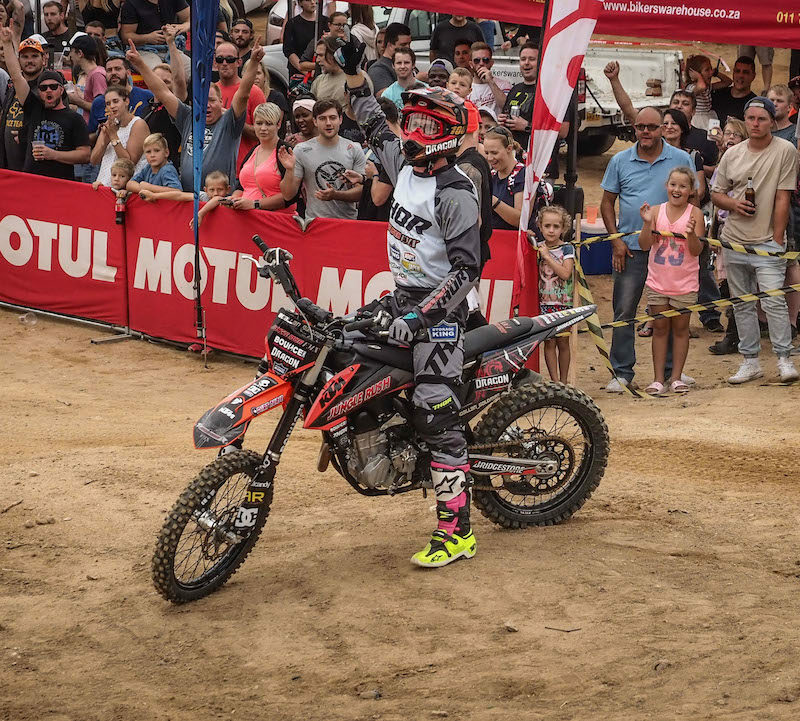 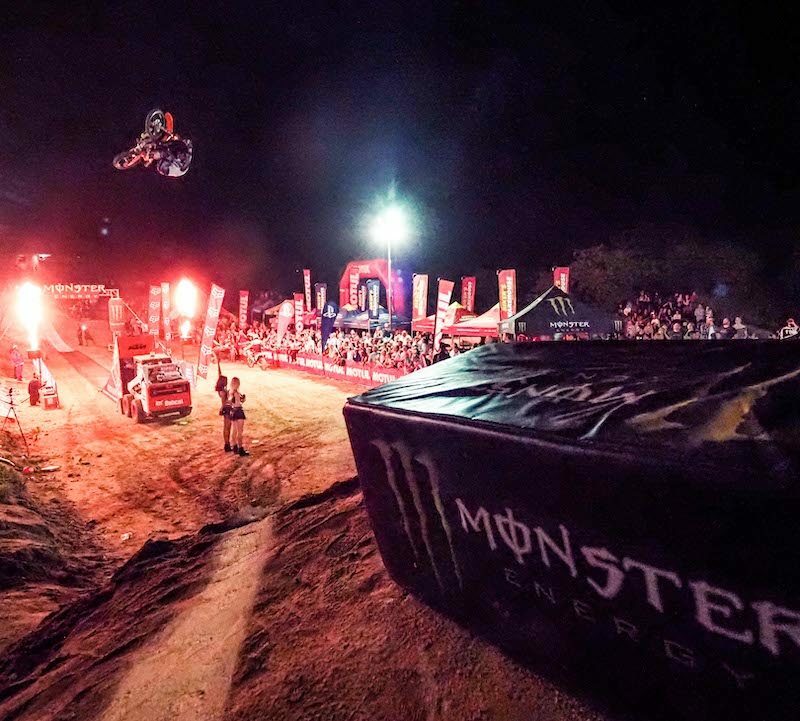 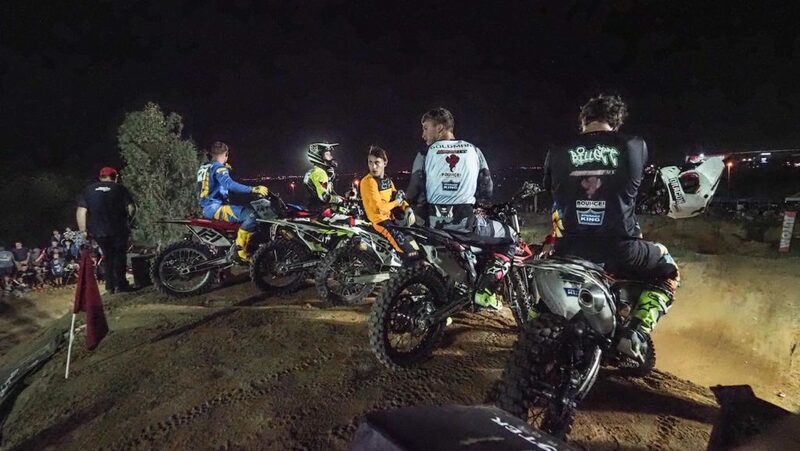 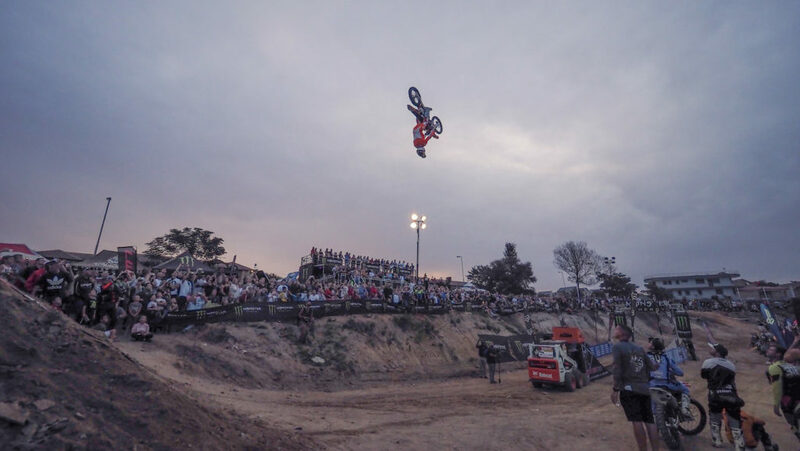 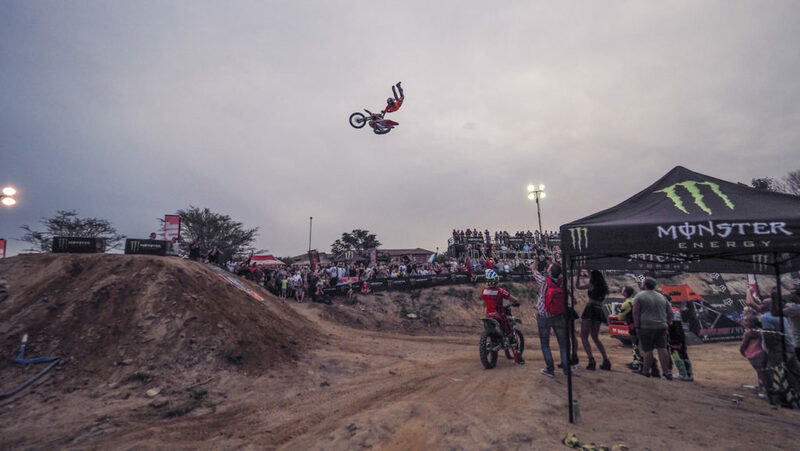 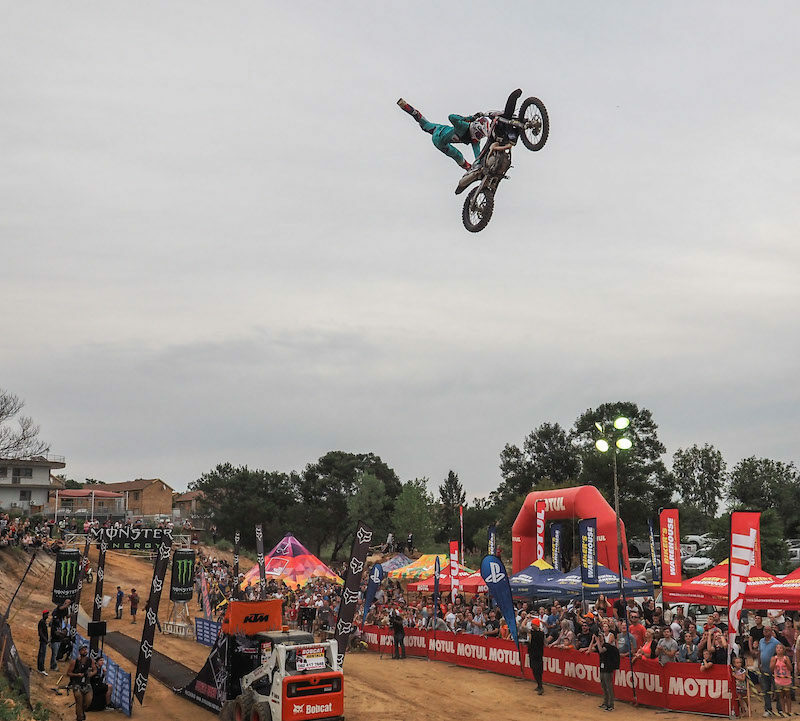 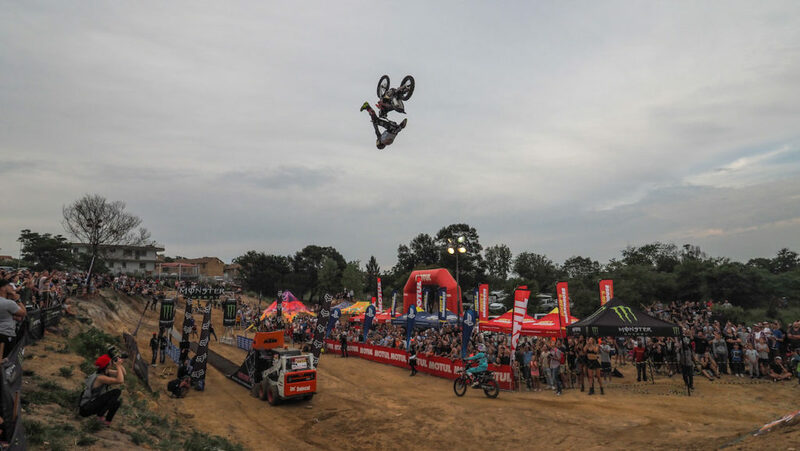 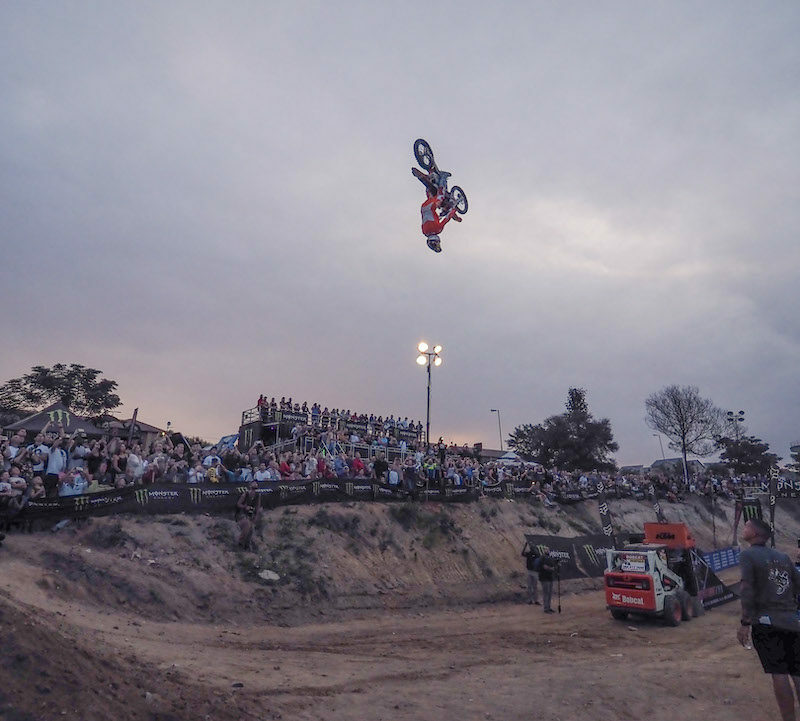 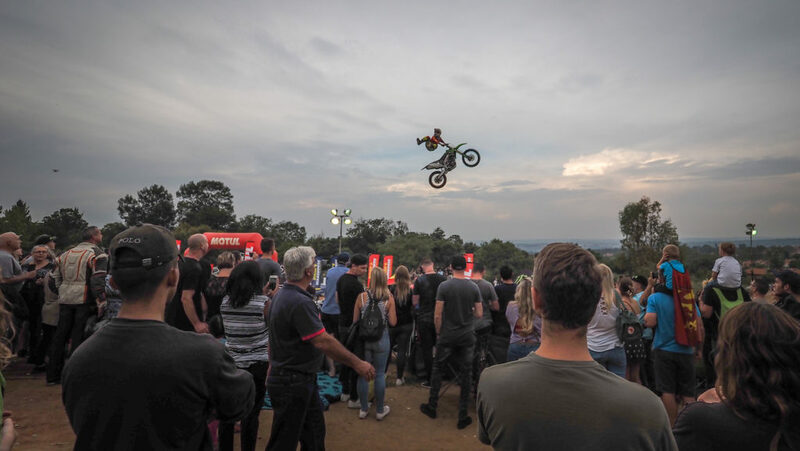 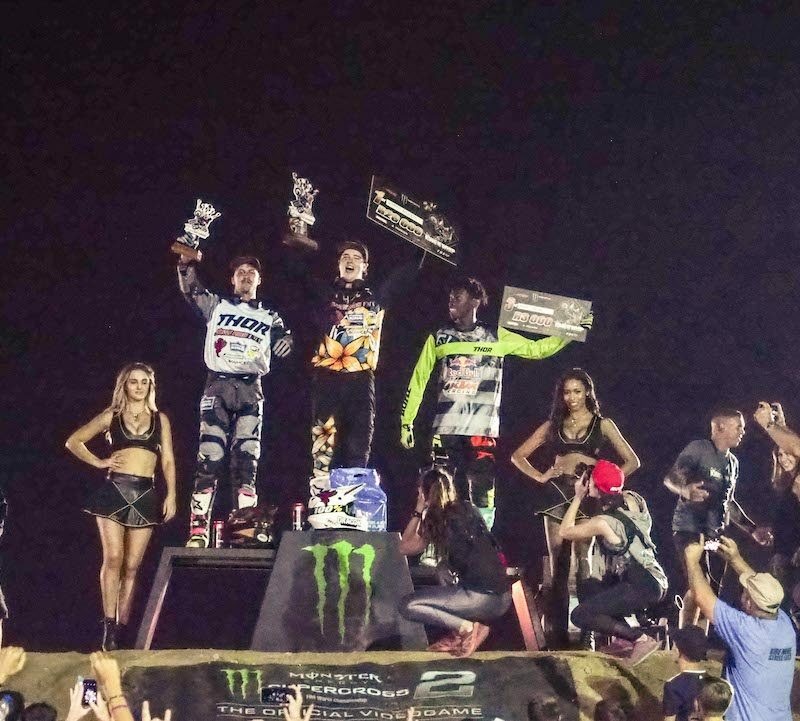 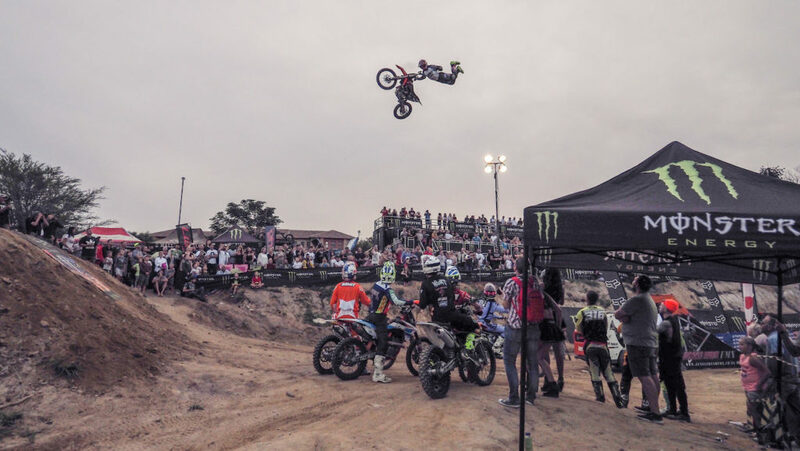 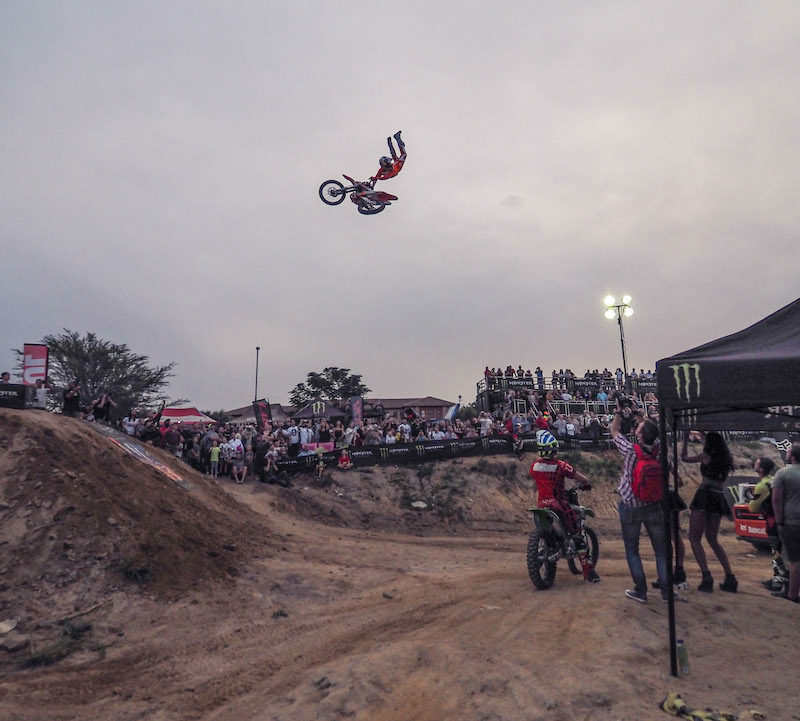 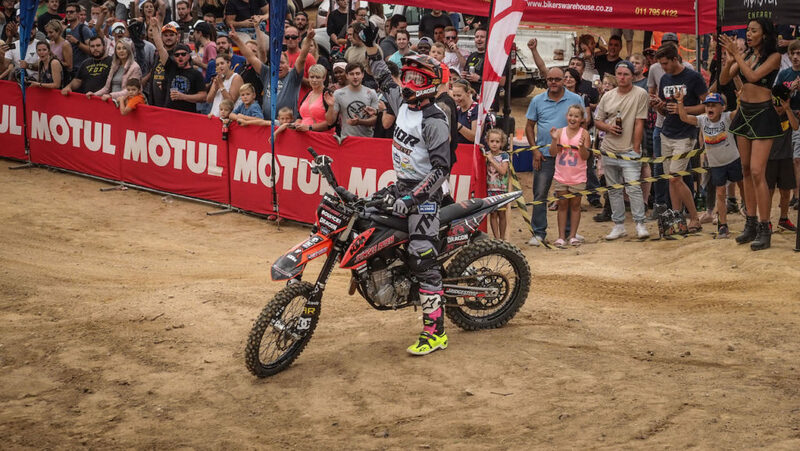 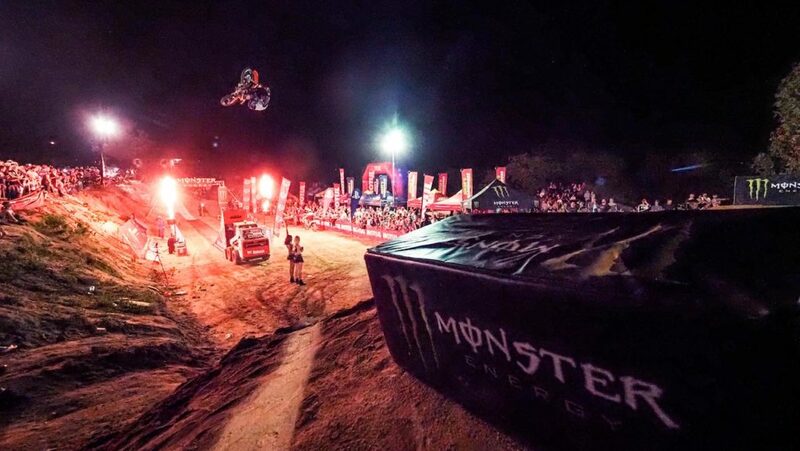 Riders who impressed the judges the most and secured their spots in the final were Camz Odendaal (MX), Maddy Malan (MX), Scott Billett (FMX), (MX), the two event new-comers – Joshua Mlimi(MX) and David Canning (MX), and non other than last year’s King of the Whip, Dallan Goldman (FMX). 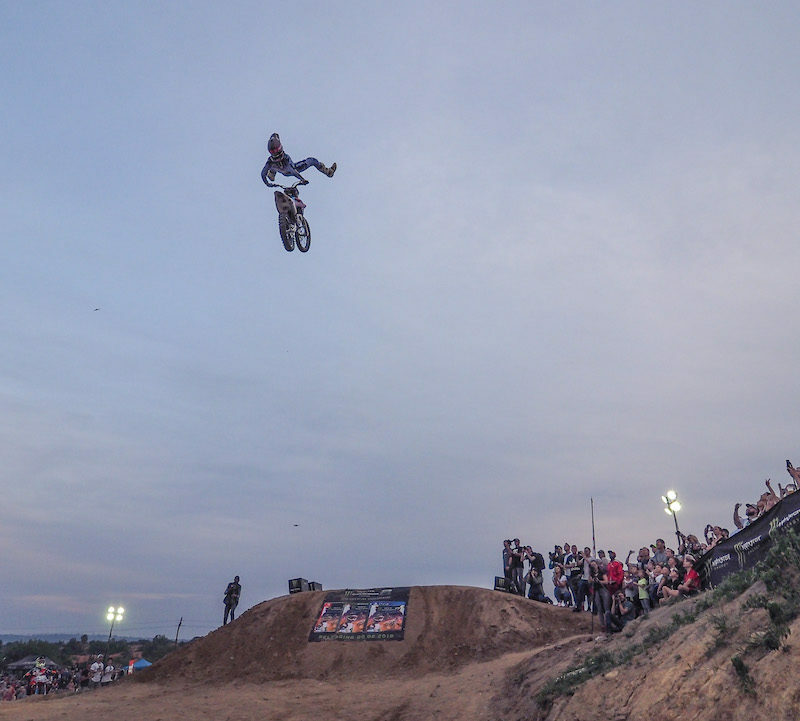 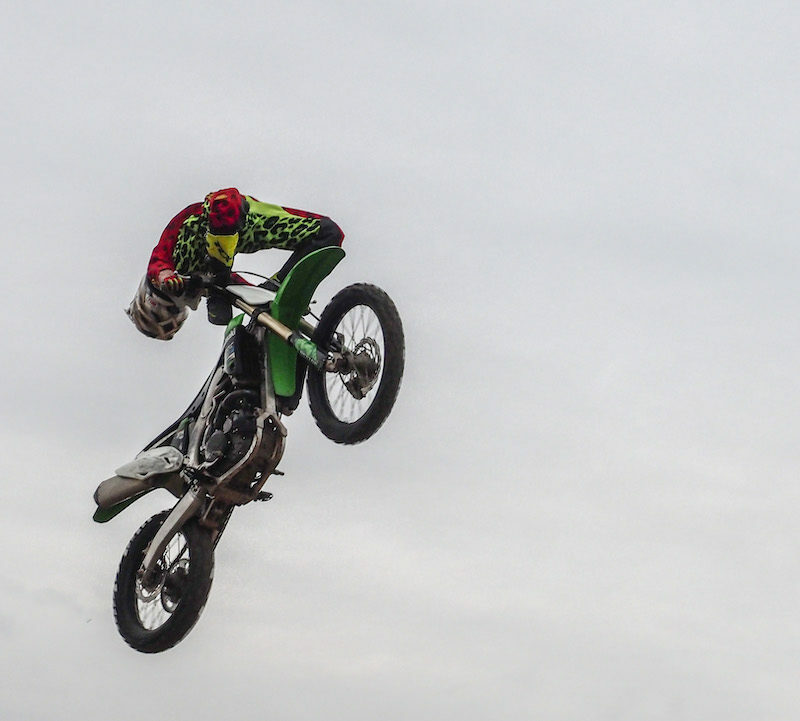 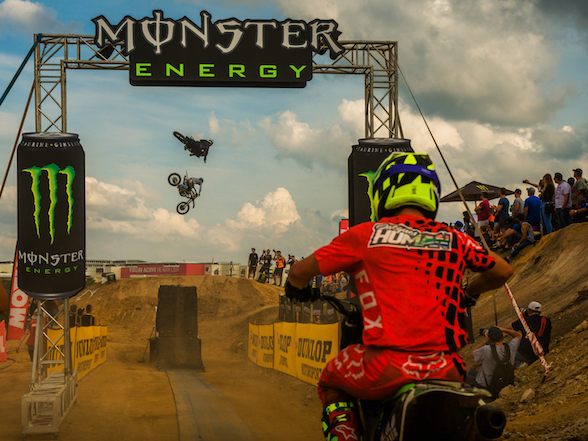 Each rider was given five last jumps to throw out their biggest possible whips to claim the title. 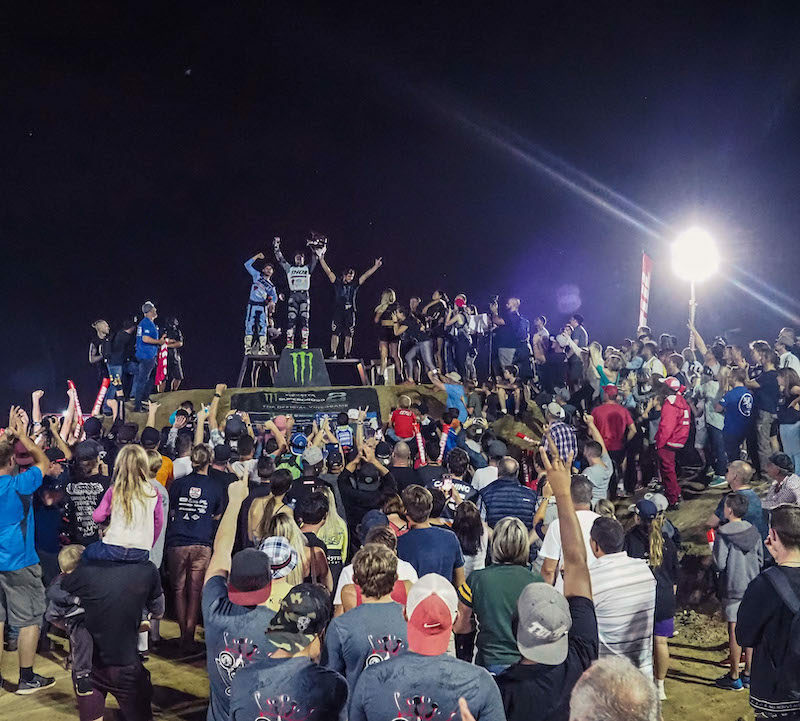 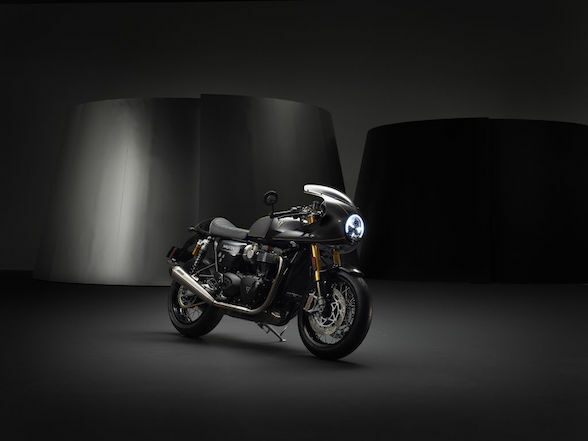 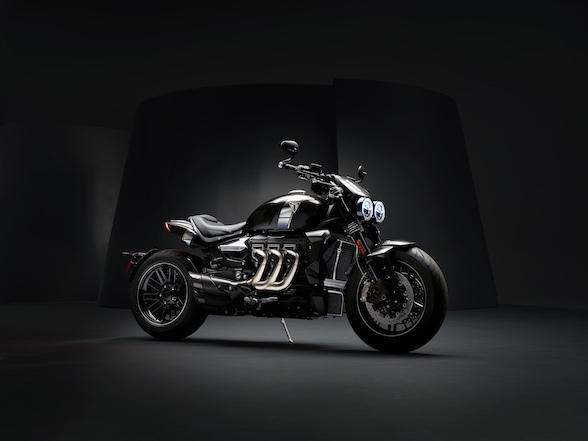 The display of style and variation, and not to mention that all the riders had stepped up their game, made for the most exciting and closely contested final in the event’s history. 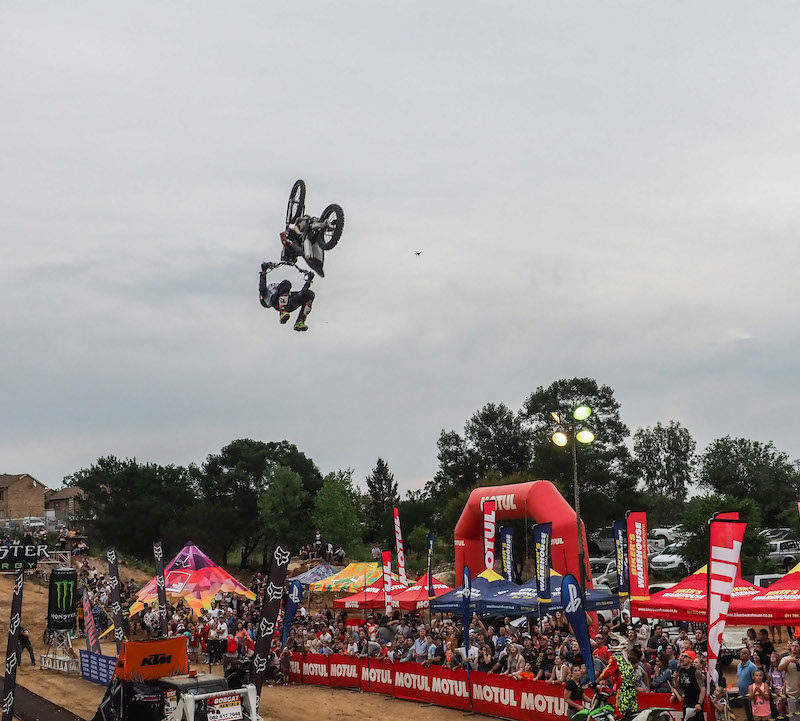 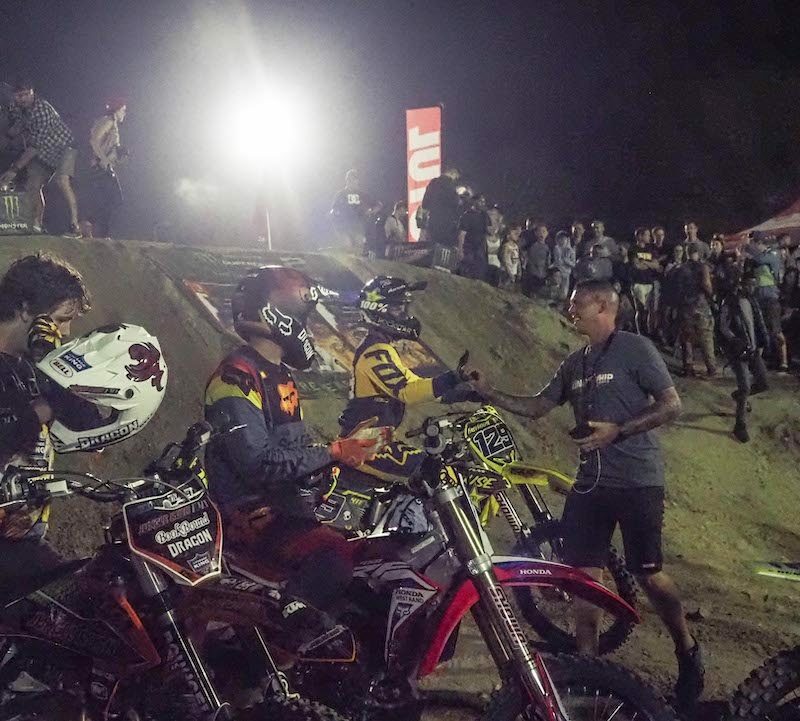 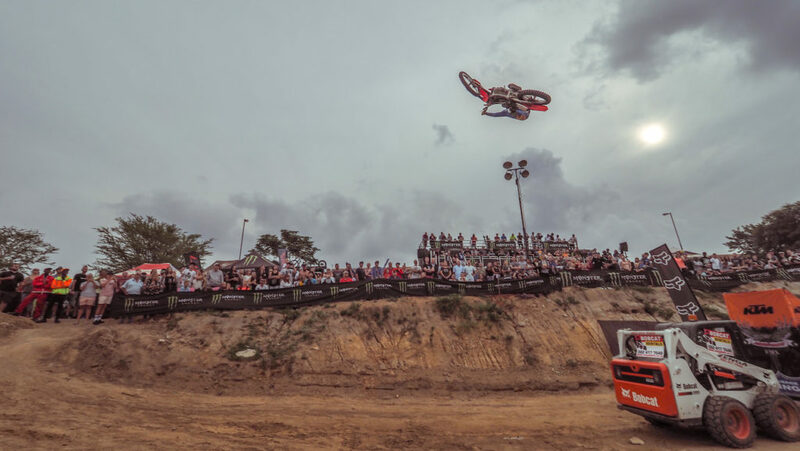 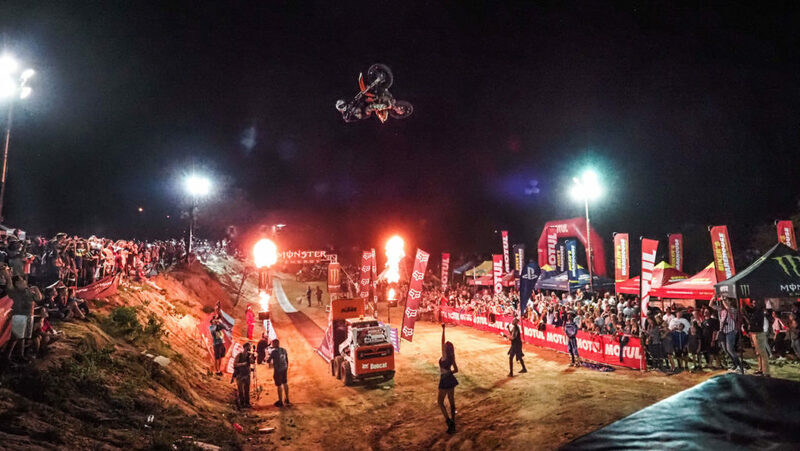 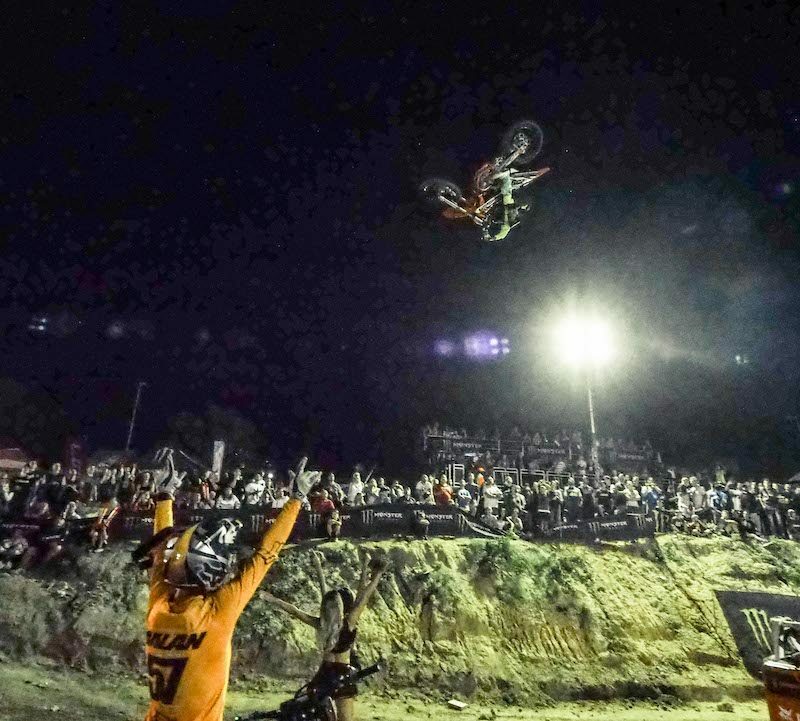 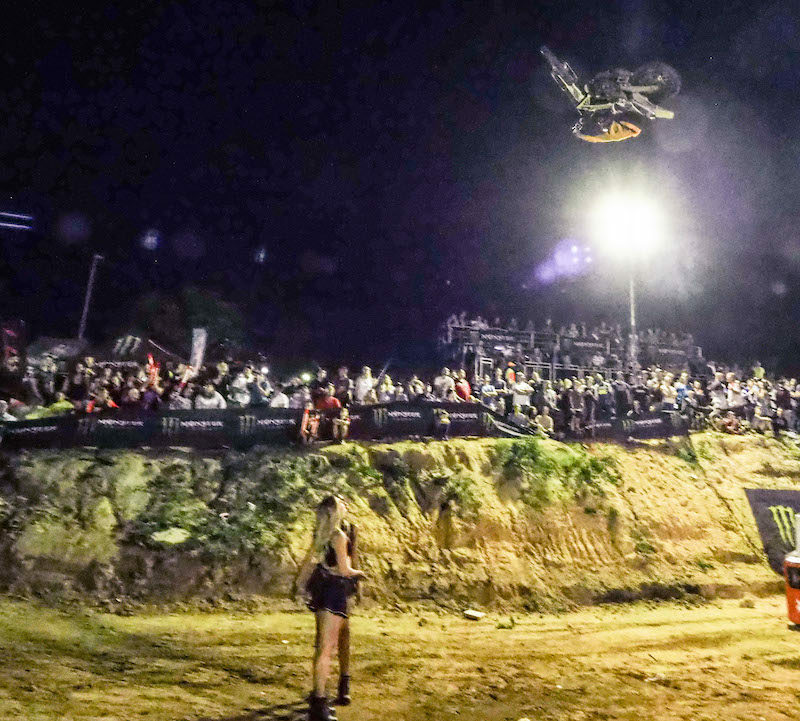 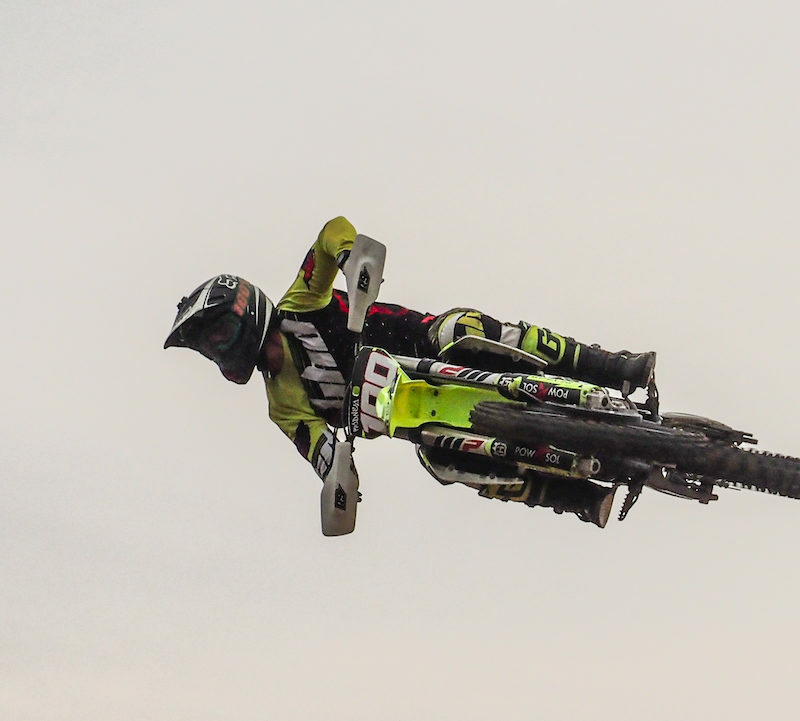 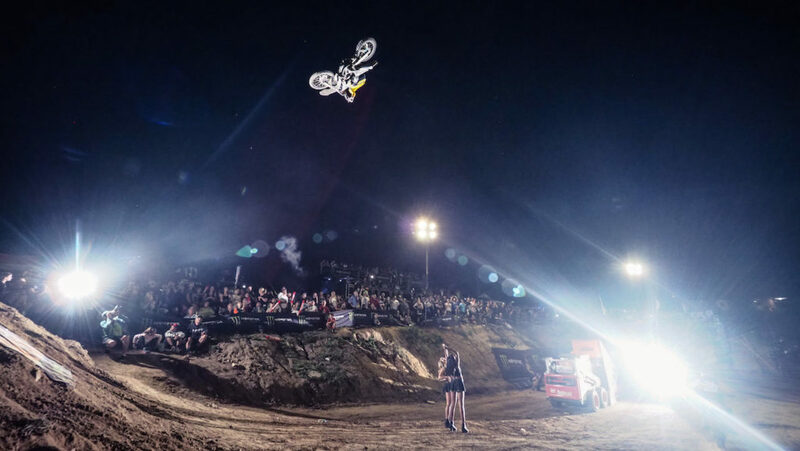 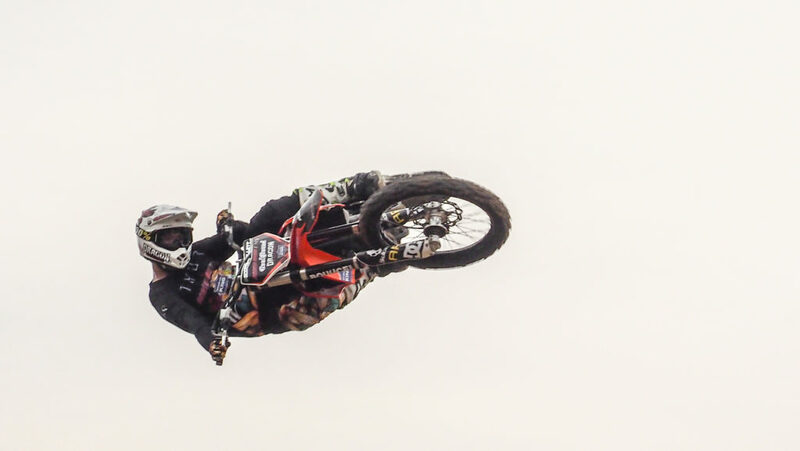 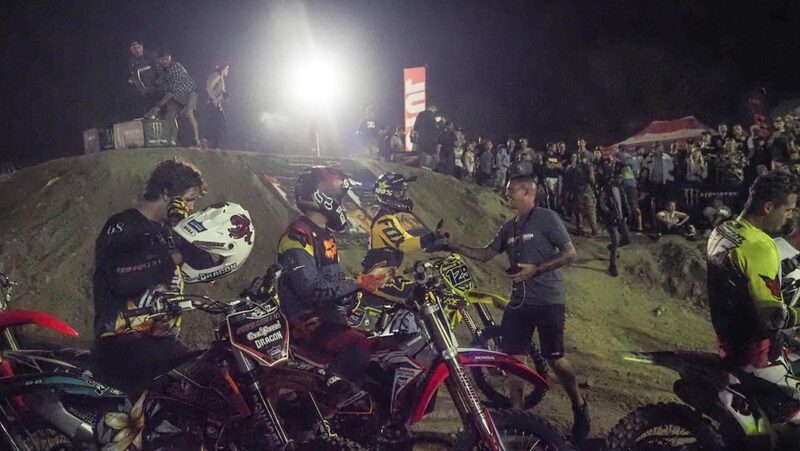 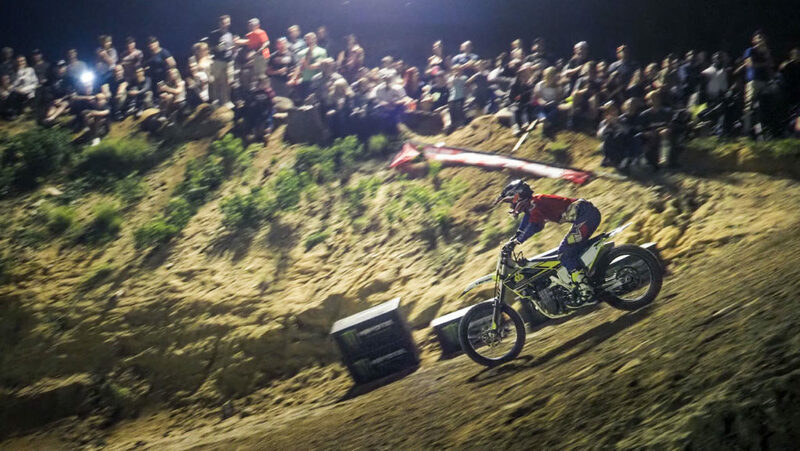 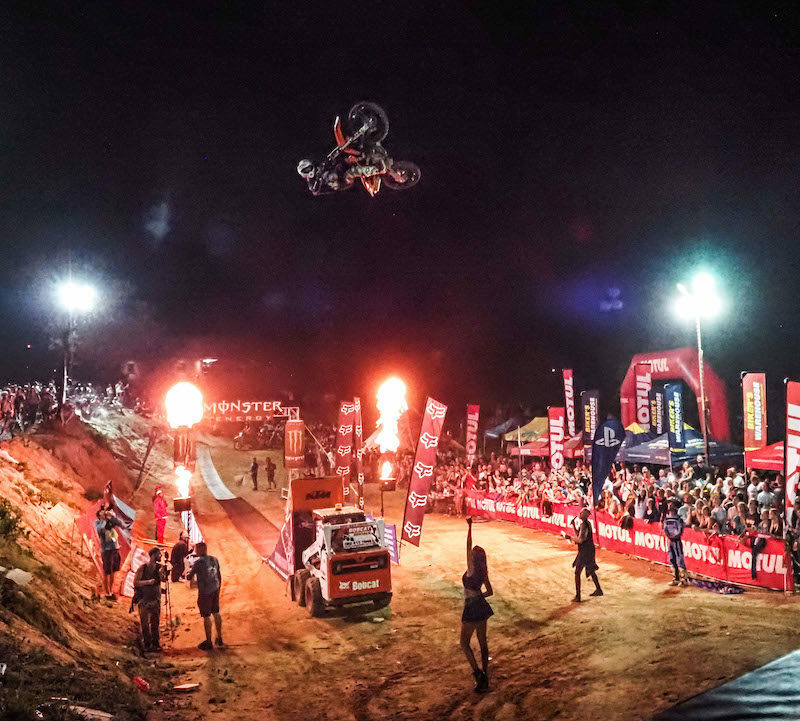 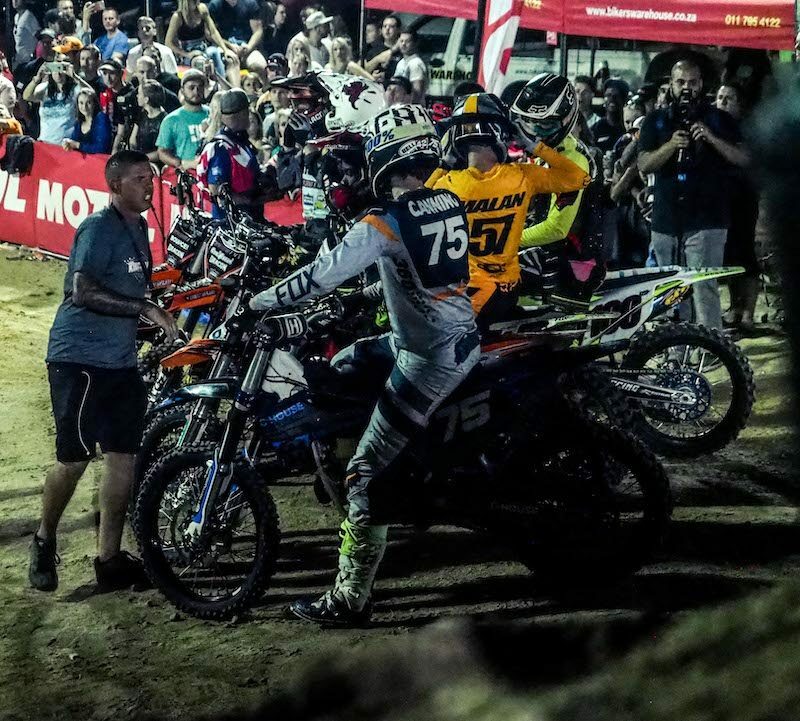 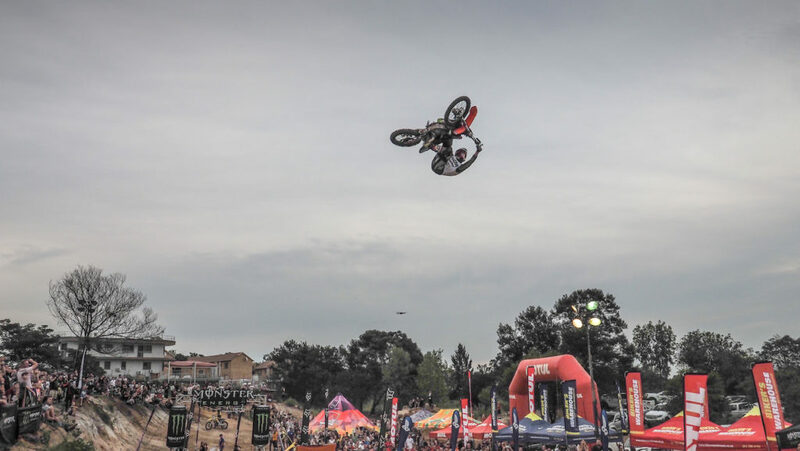 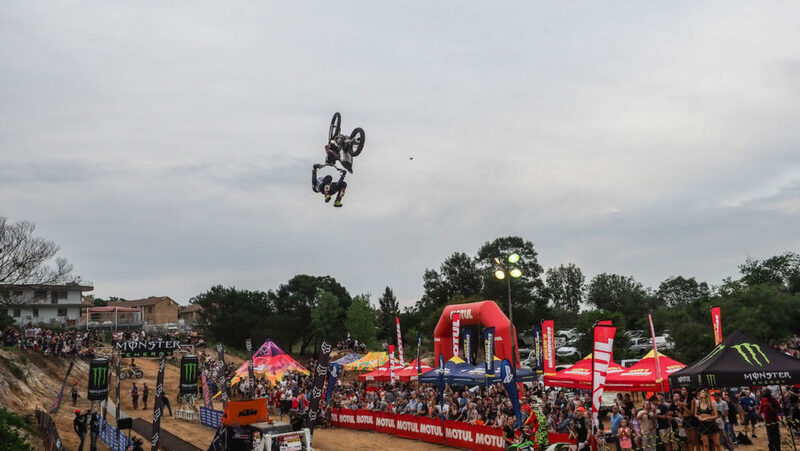 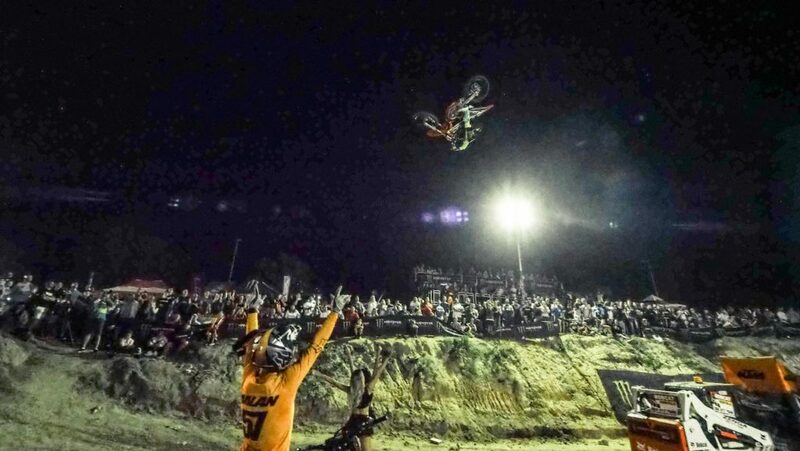 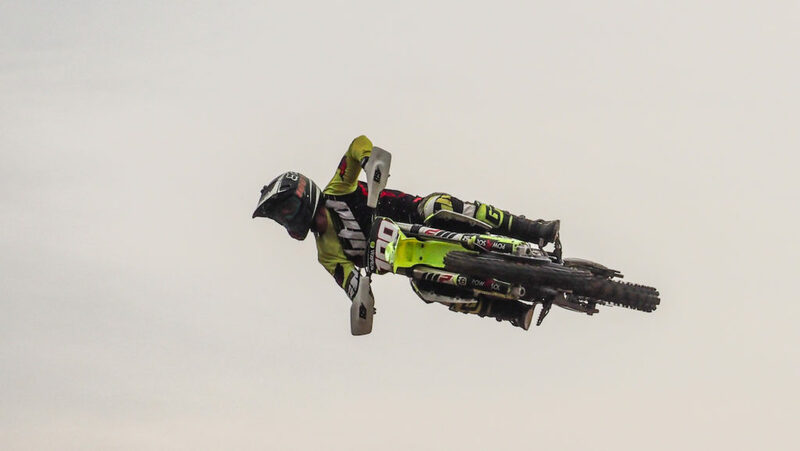 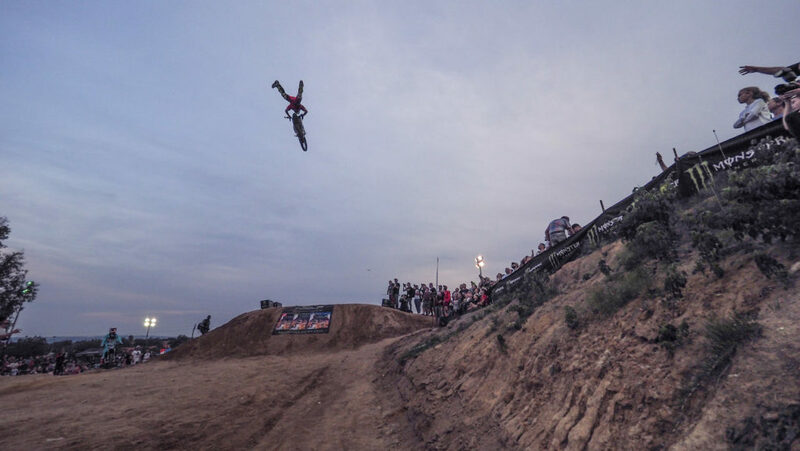 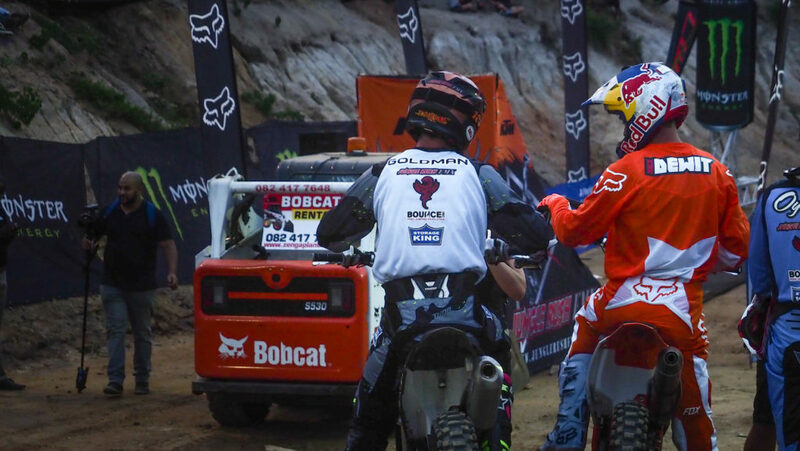 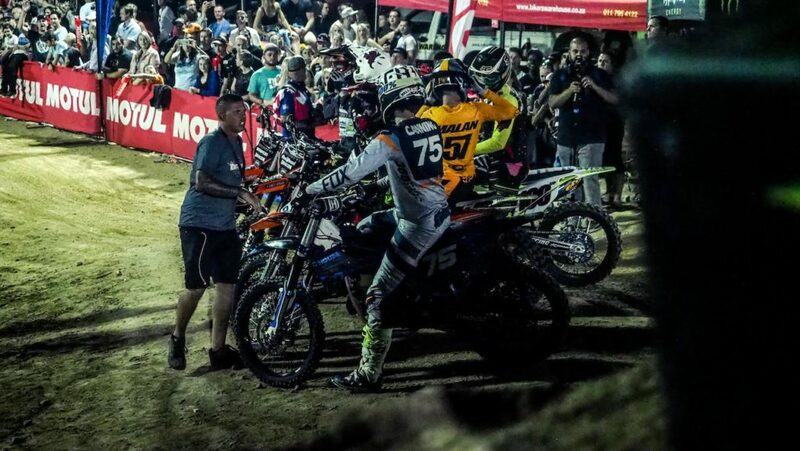 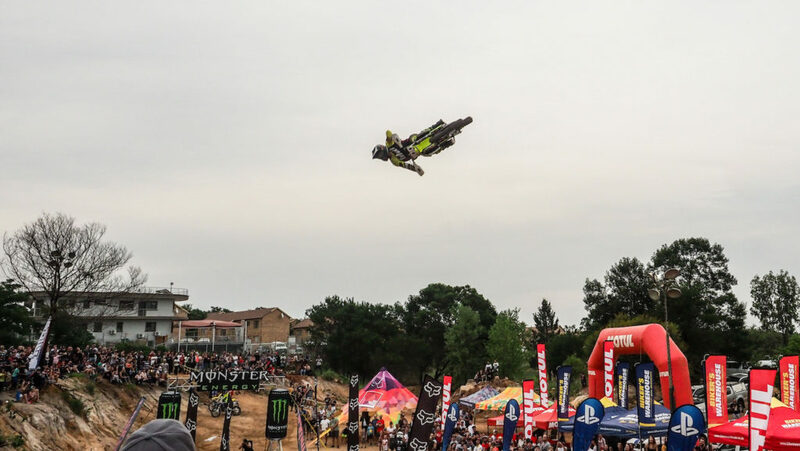 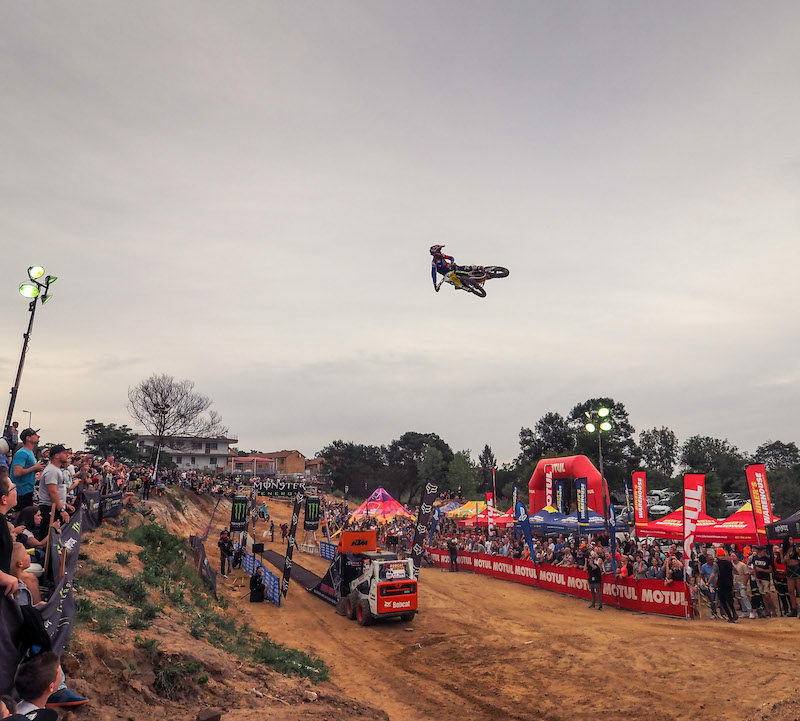 Scott Billett put in all on the line and had one of the craziest Turn-Down Whips we’ve ever seen to lay claim to the crown and the title of ‘King of the Whip’ 2019 by dethroning Dallan Goldman, who finished in a close 2nd place. 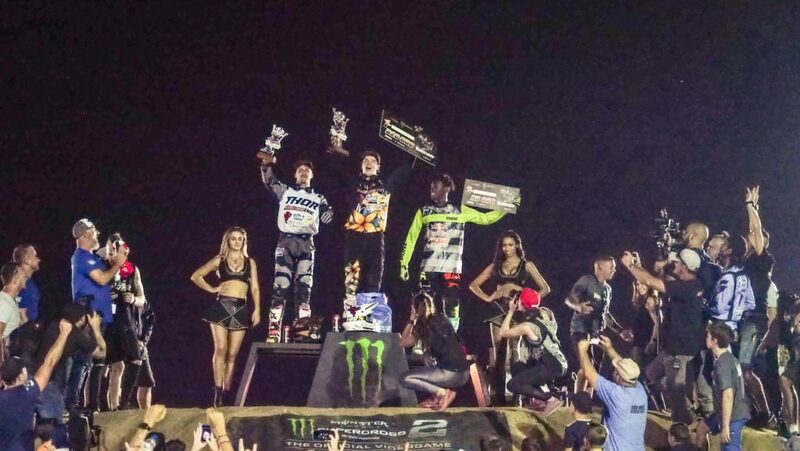 Joshua Mlimi was on form all night long and rounded off the podium in 3rd place. 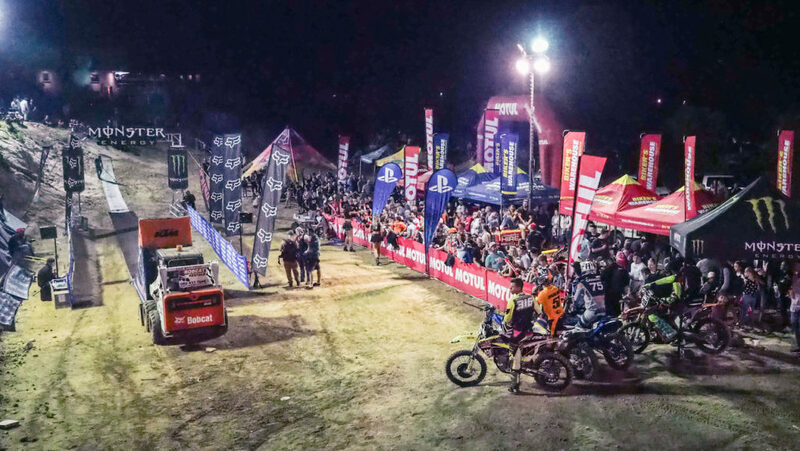 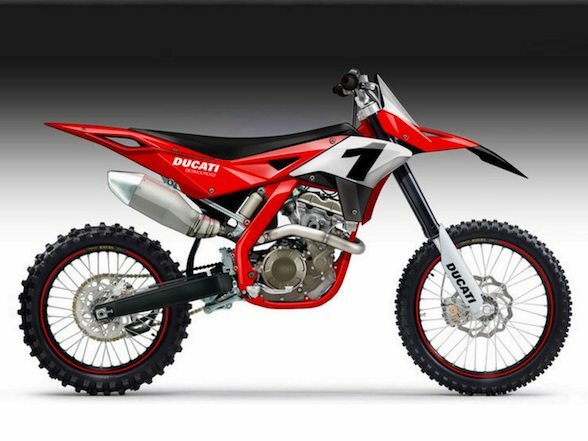 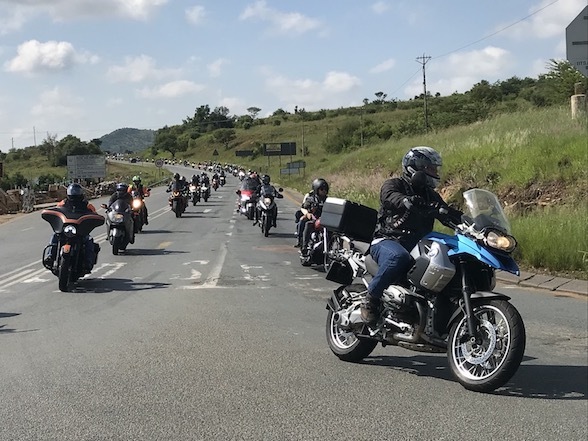 Each rider took home their share of the R40 000 cash prize. 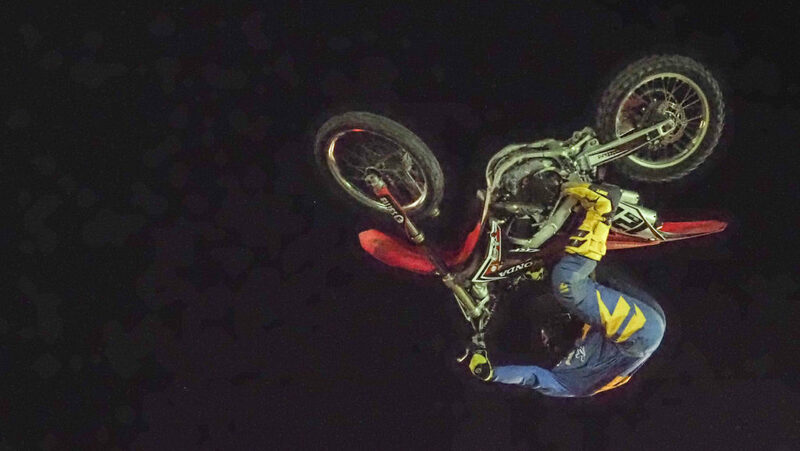 On a personal note, I’m almost at a loss for words – what an insane show! 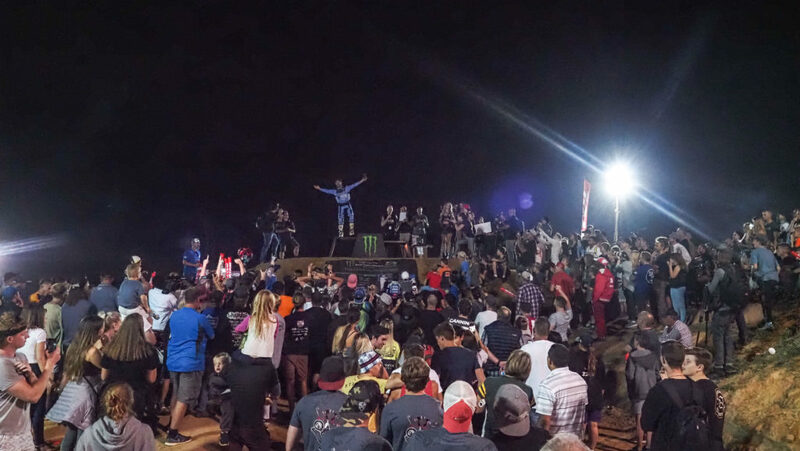 This event just keeps growing bigger and better, and is worth every second of time and effort that goes into making King of the Whip happen. 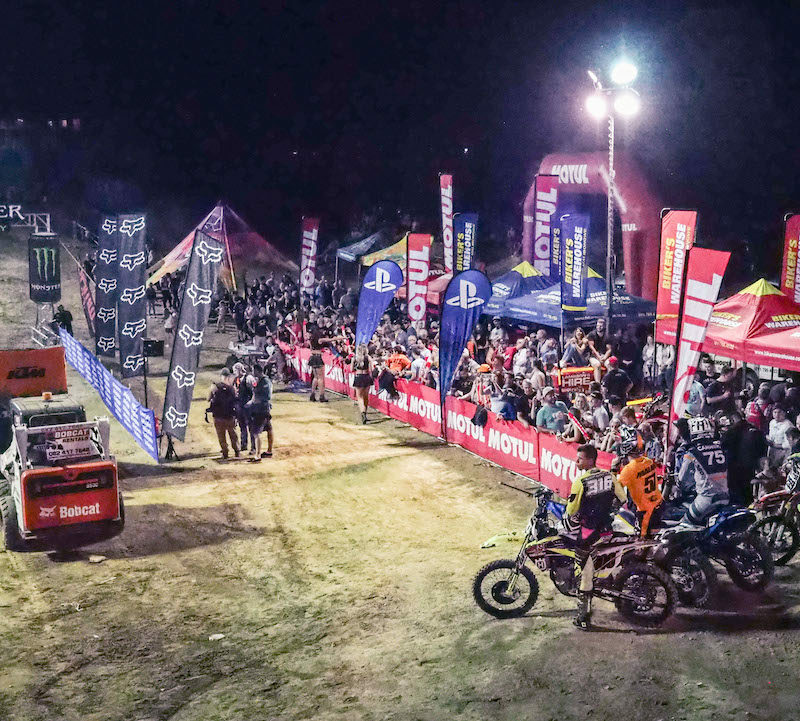 This event is for the riders and to see how much they stepped up their game this year was a privilege to witness. 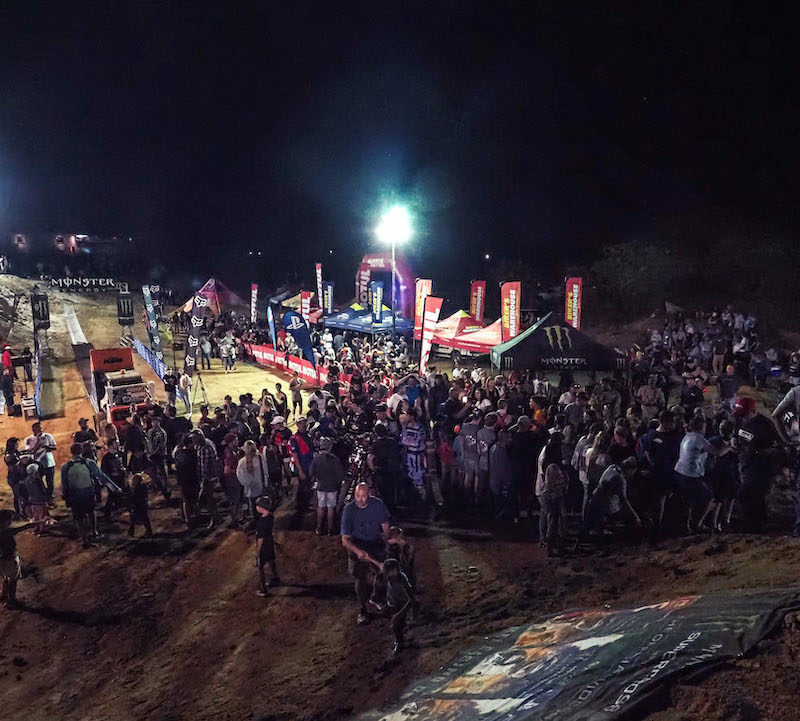 Thank you to our event partners and everyone involved behind-the-scenes in making this all possible, and of course, last but not least, thank you to the thousands of fans that came out to support and enjoy the organised chaos.